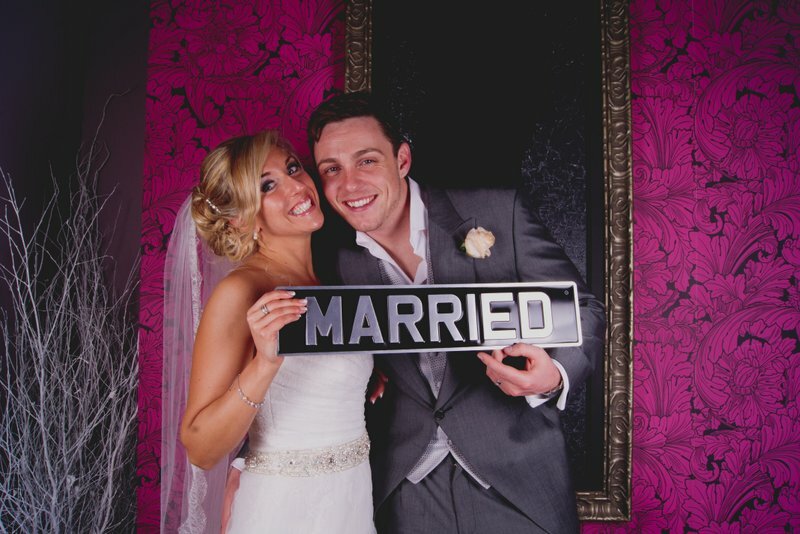 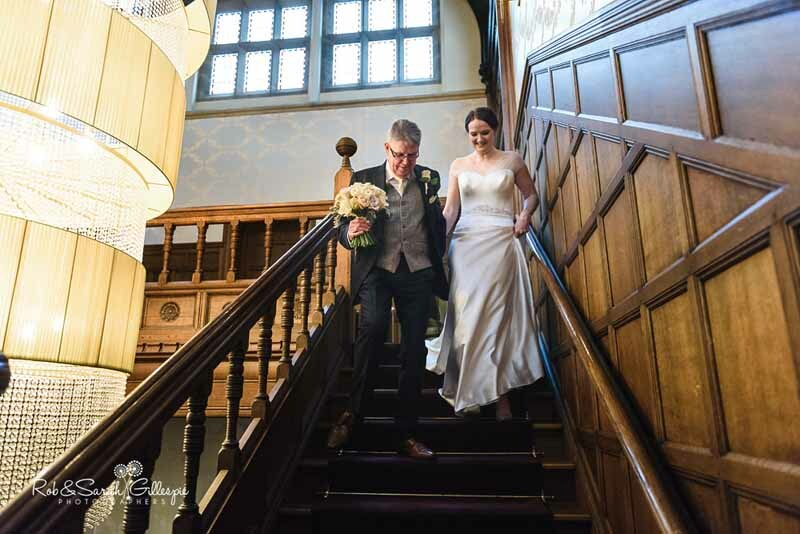 Tom and Jo or TOJ as they are known by friends and family celebrated with an amazing wedding at Hampton Manor at the beginning of the year. 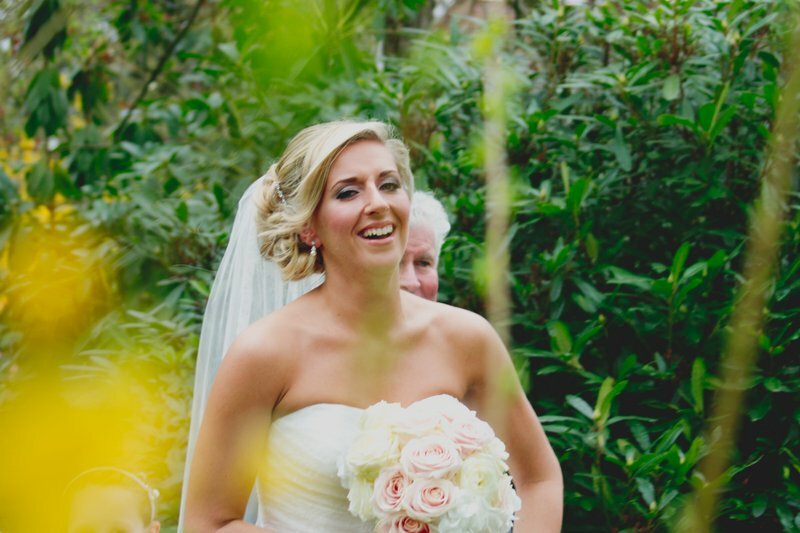 These images capture a beautiful day and their characters just perfectly. 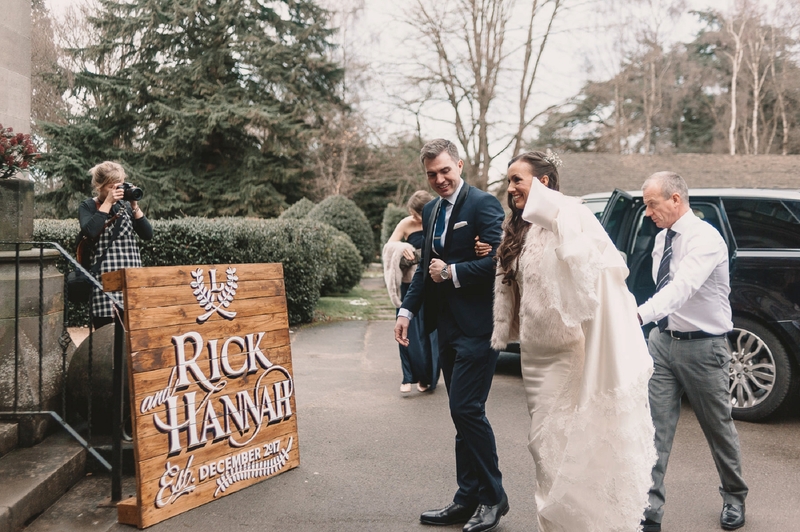 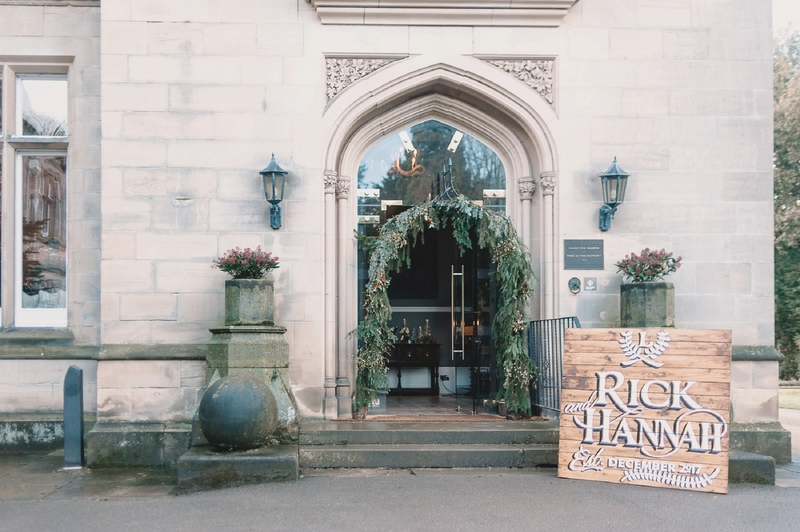 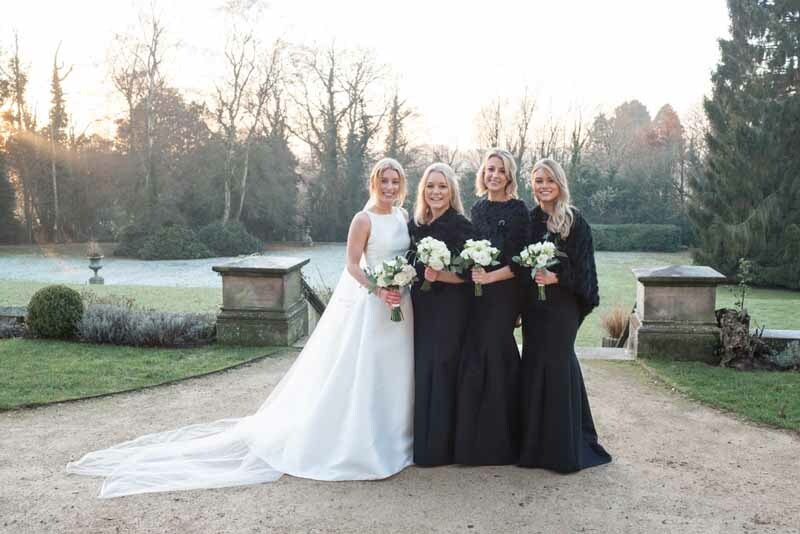 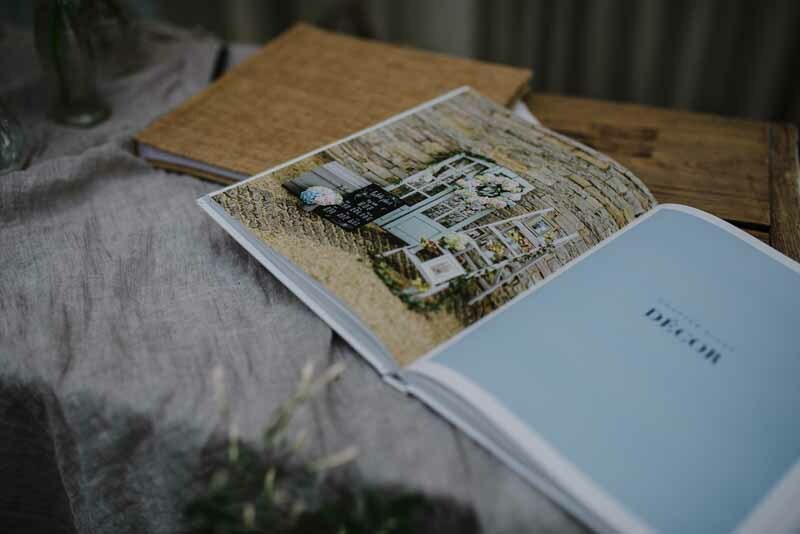 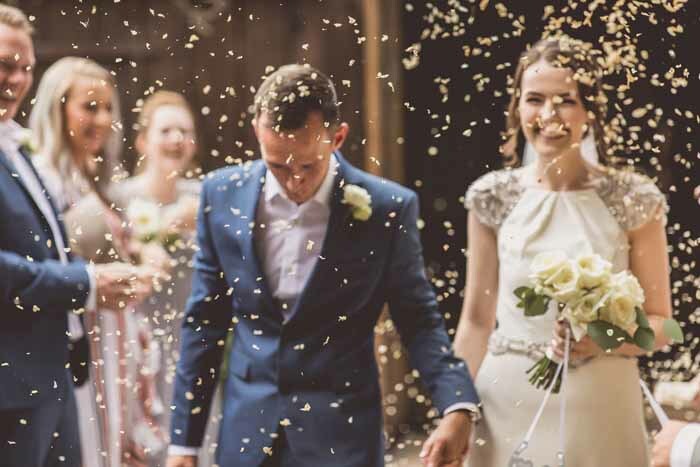 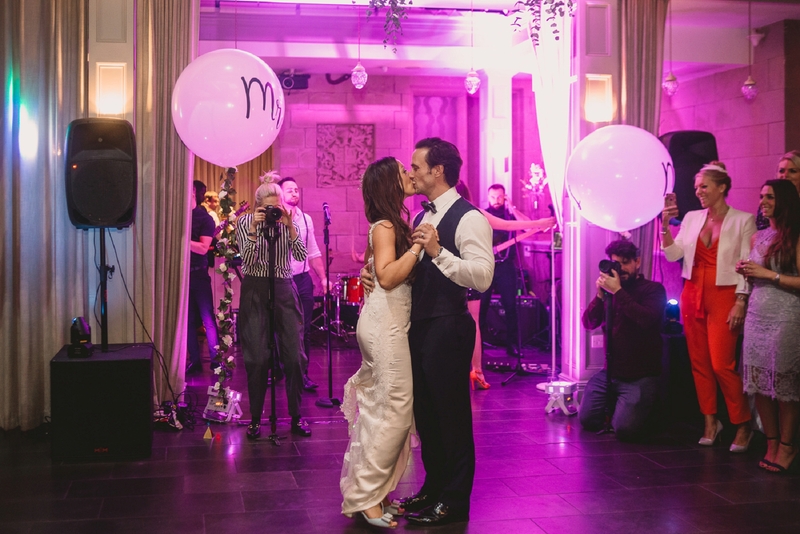 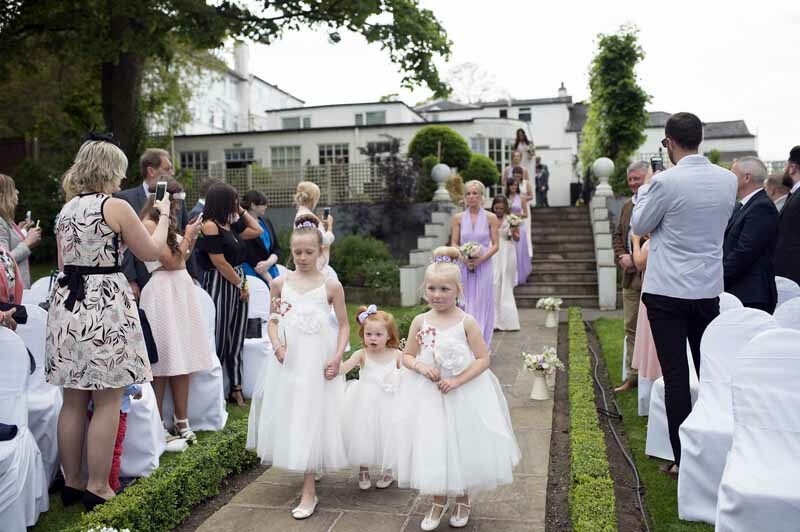 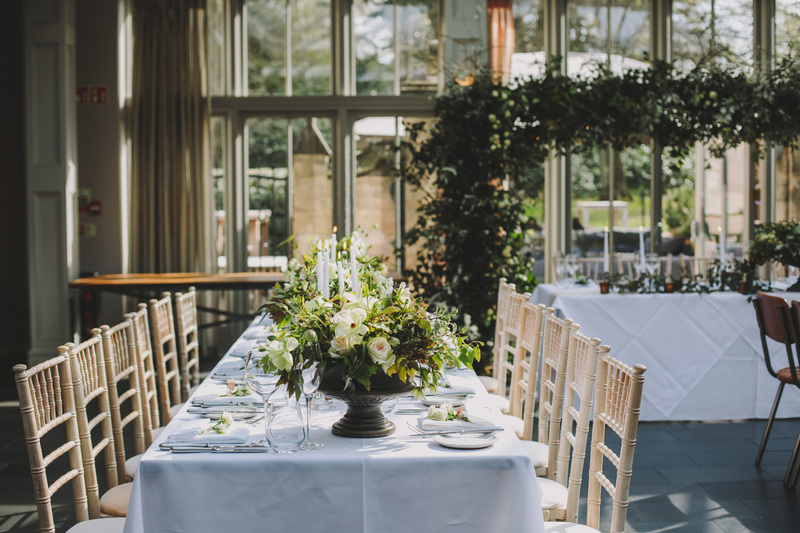 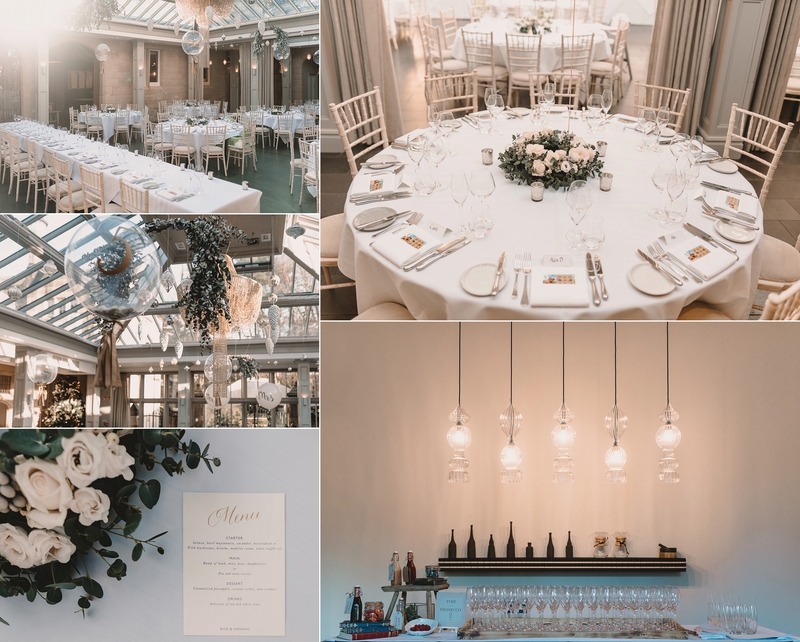 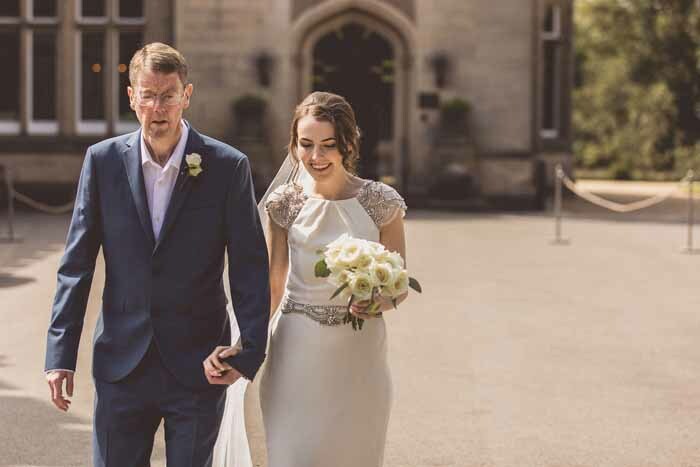 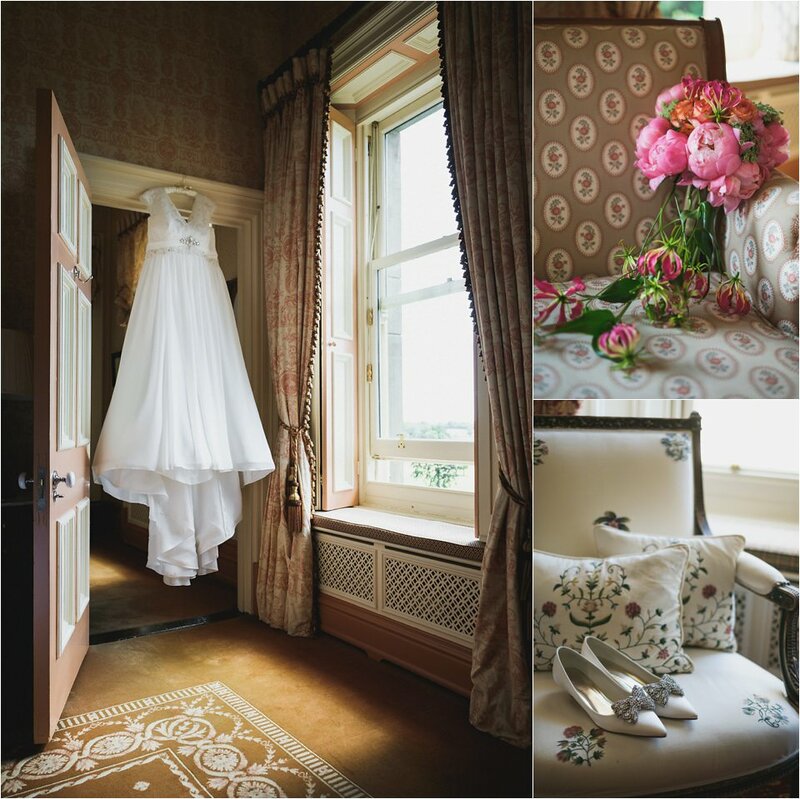 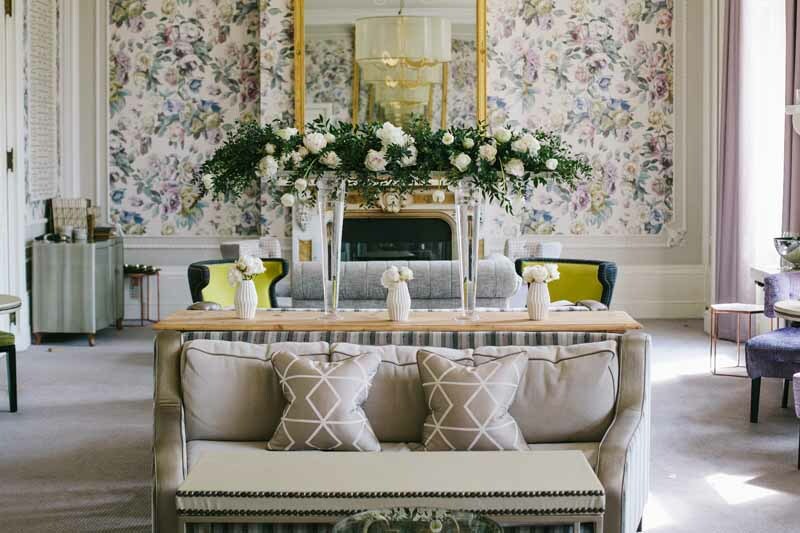 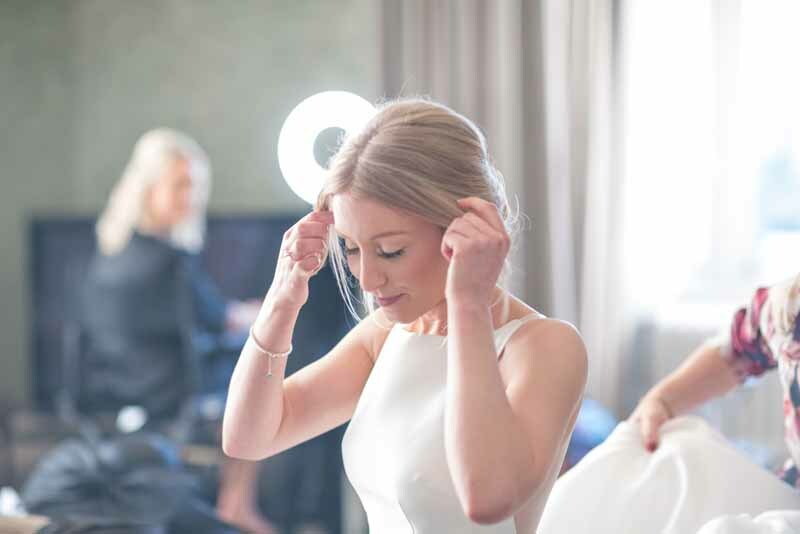 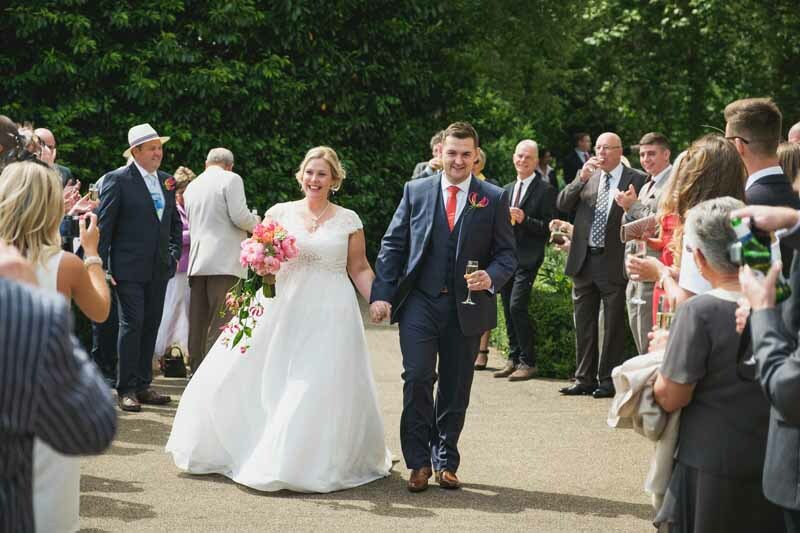 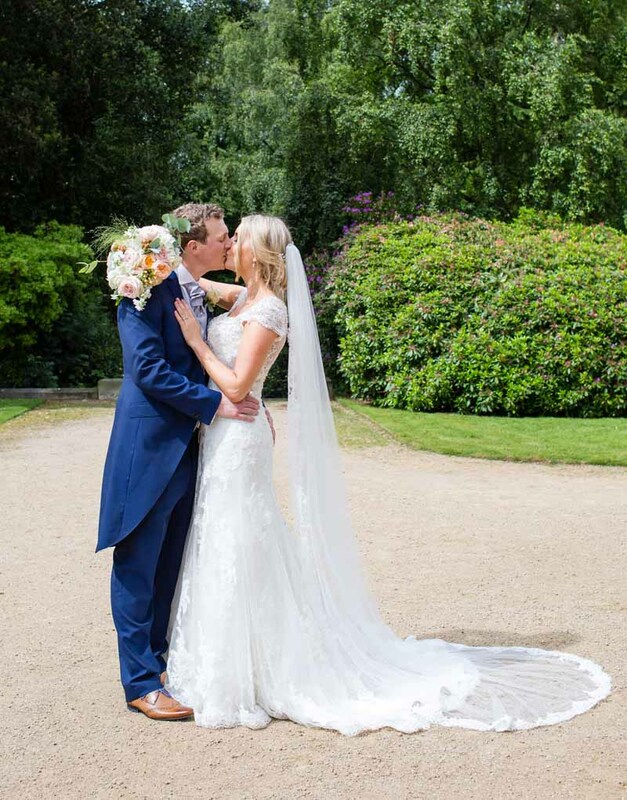 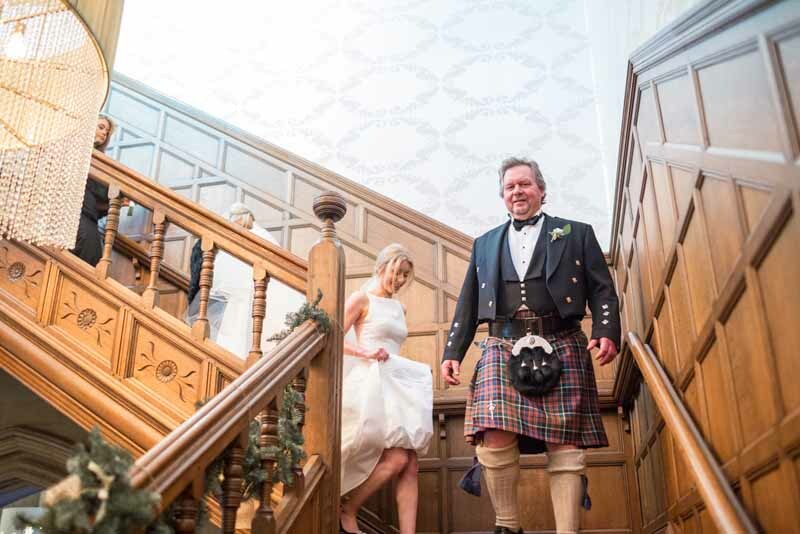 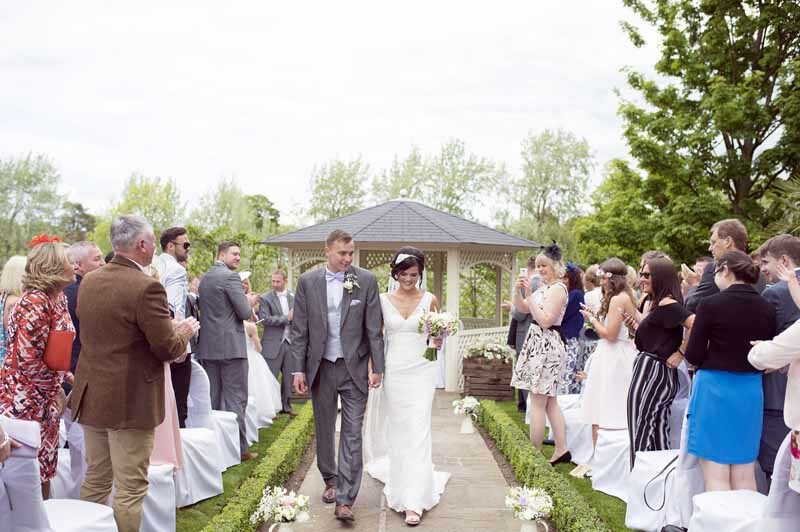 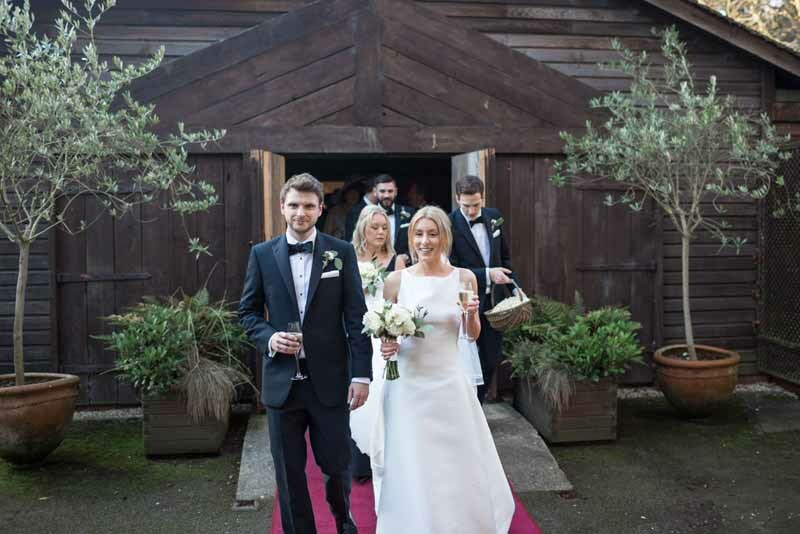 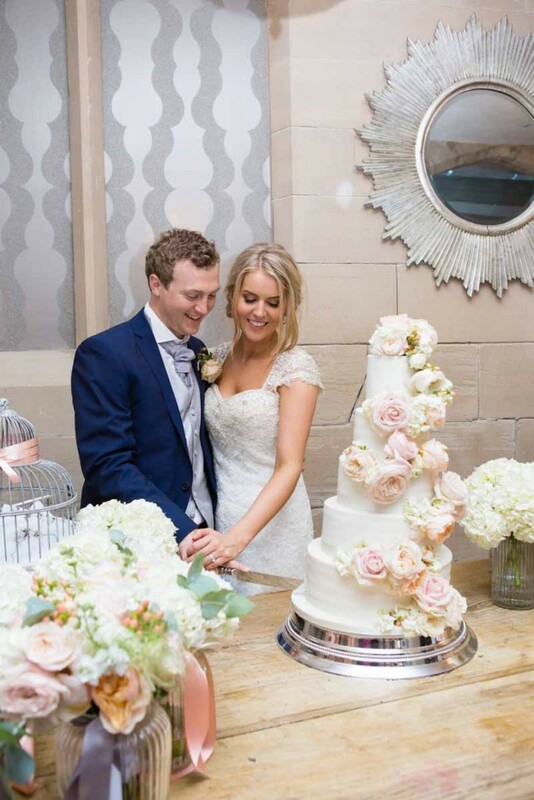 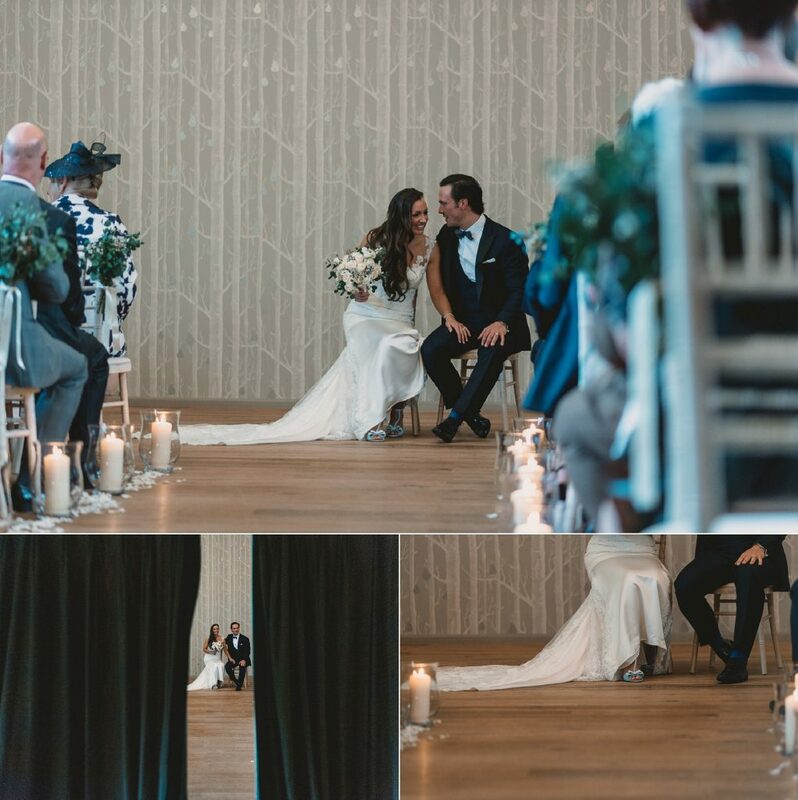 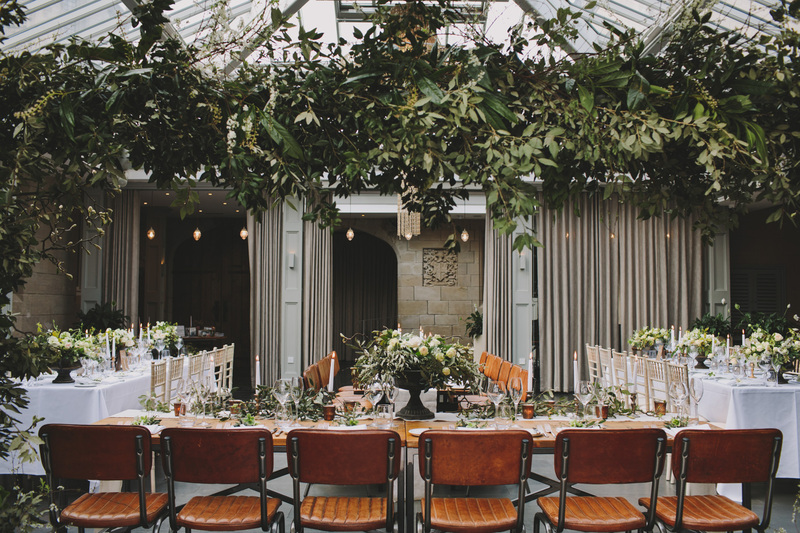 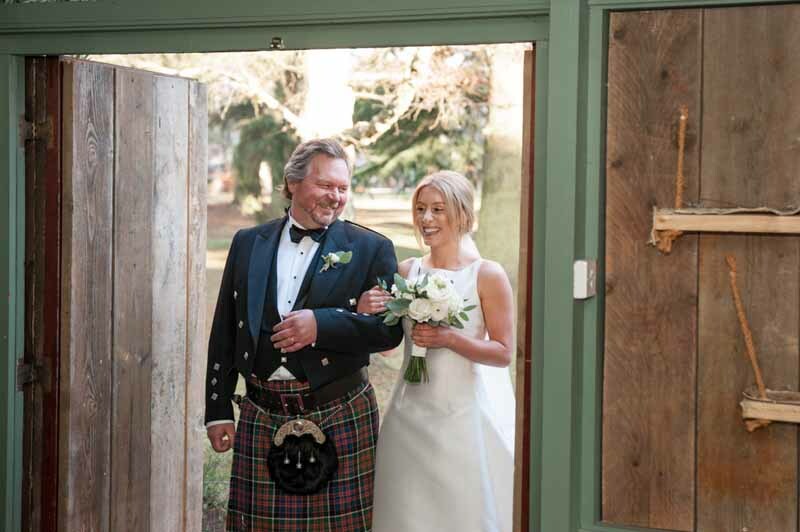 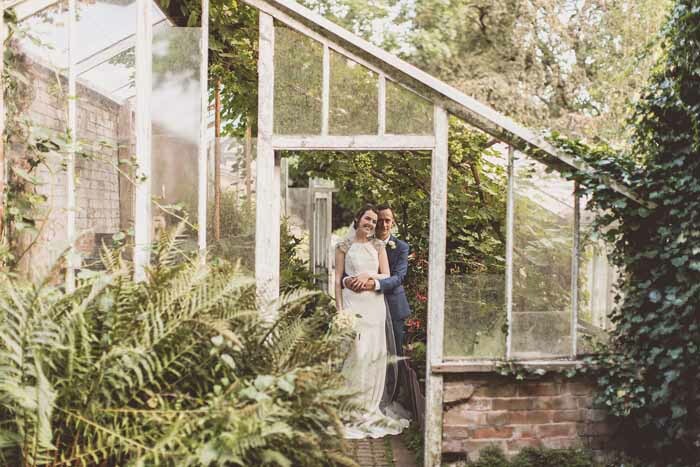 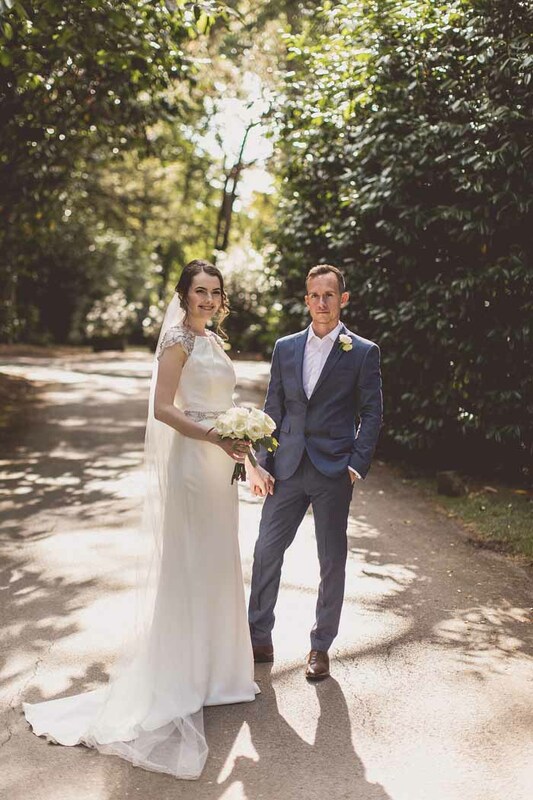 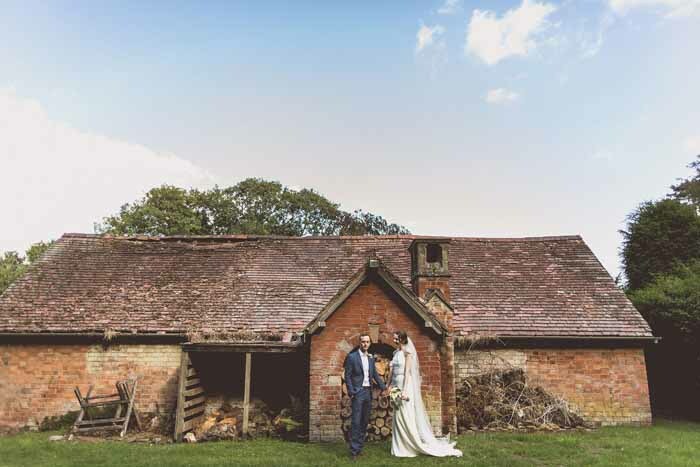 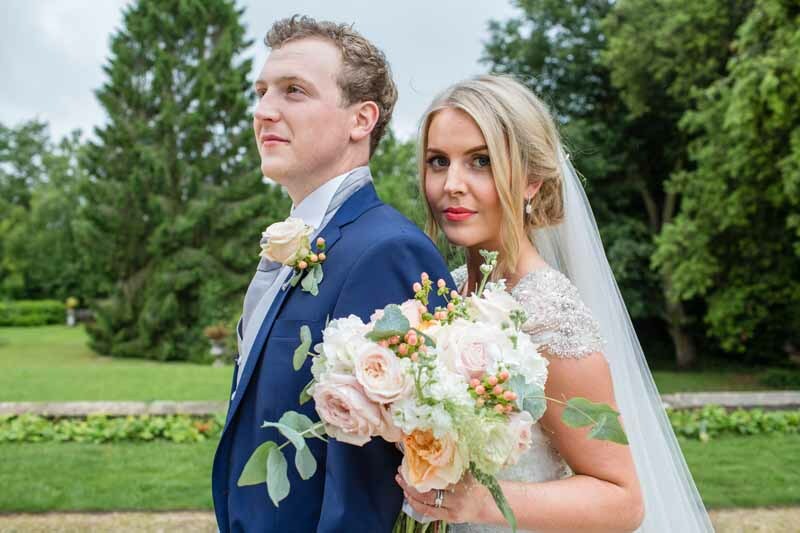 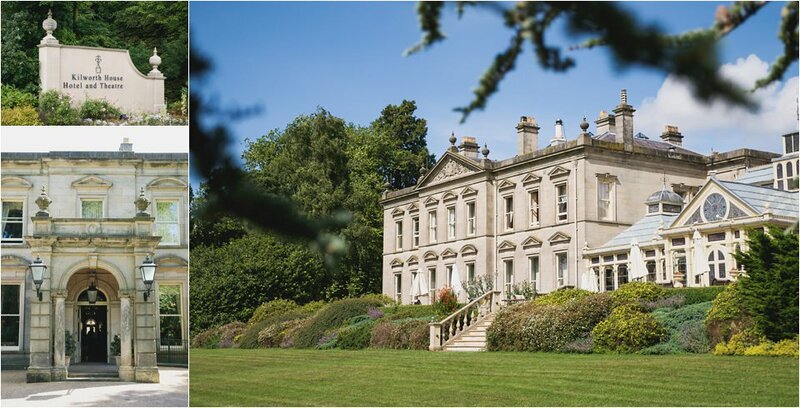 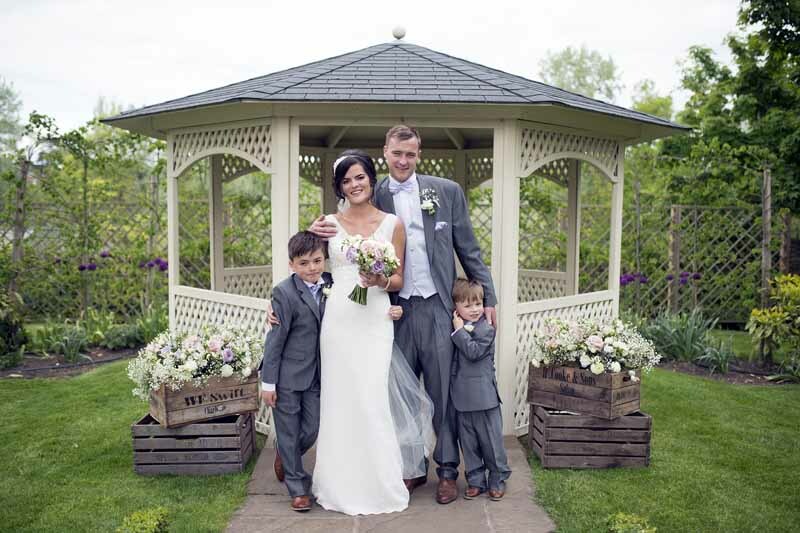 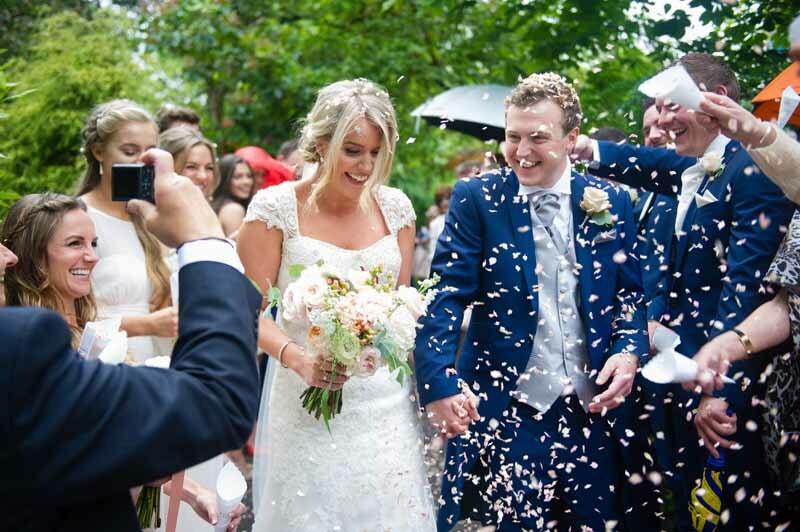 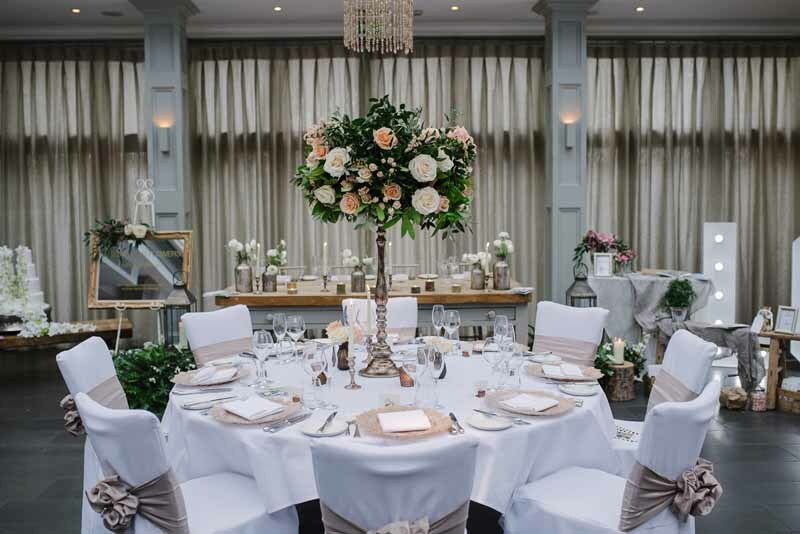 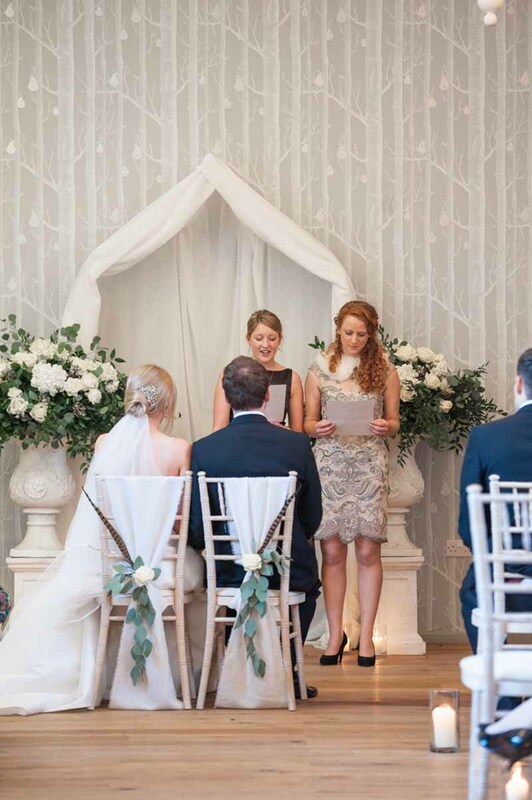 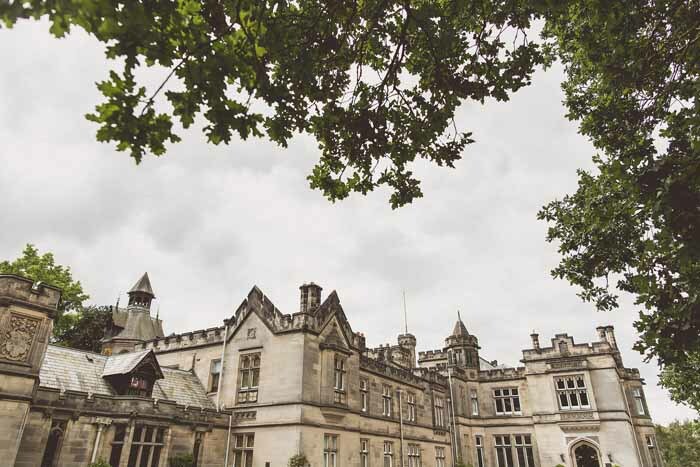 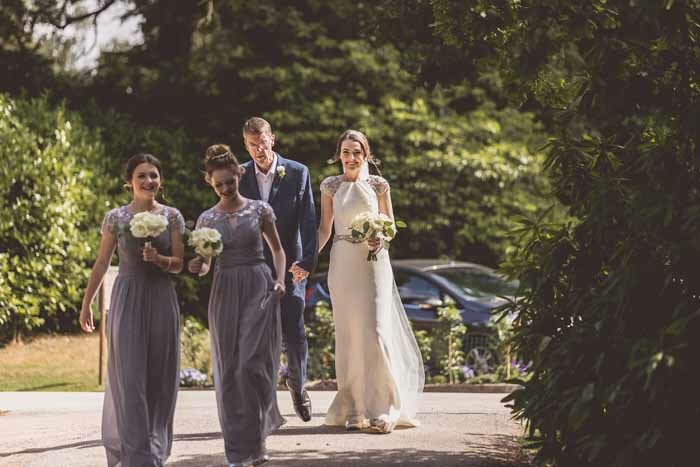 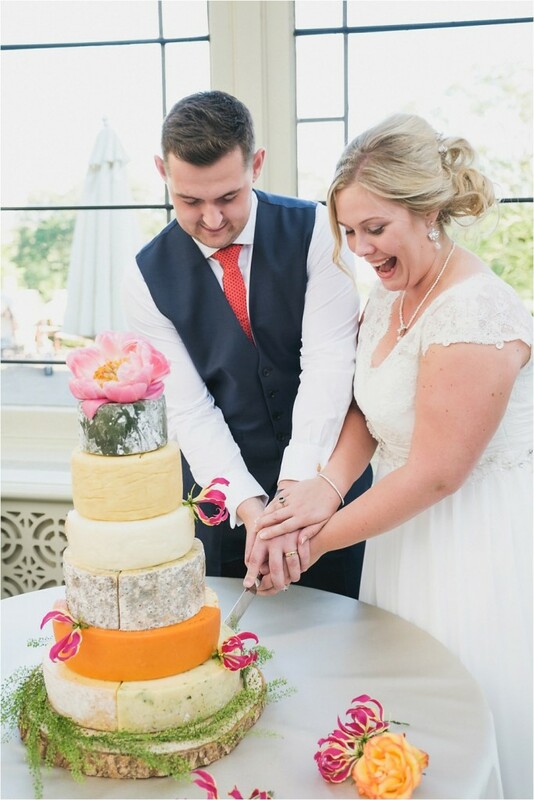 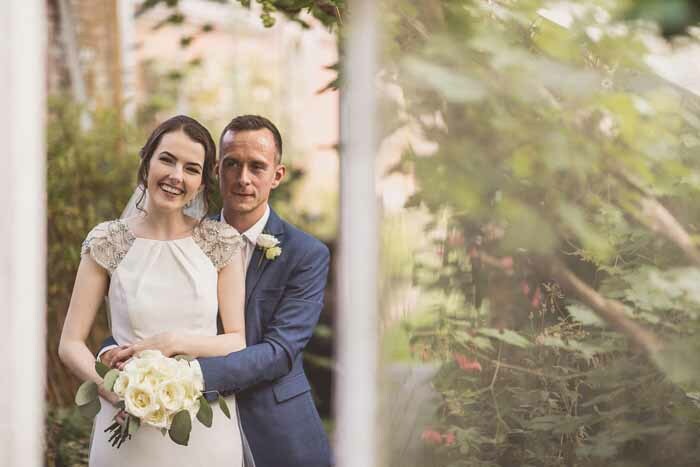 The couple chose Hampton Manor as their home for the day with a romantic, luxurious, cosy and warm look and feel to their wedding day with flowers in neutral colours white, creams, and some grey tones with soft blush. 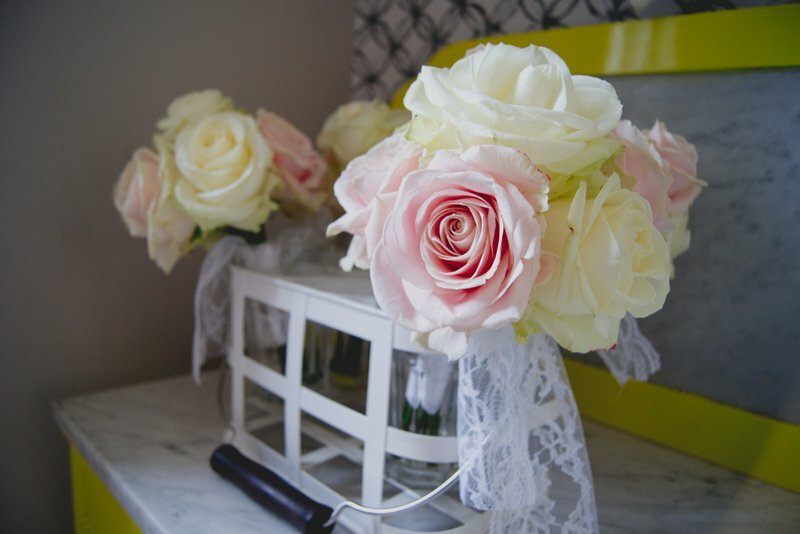 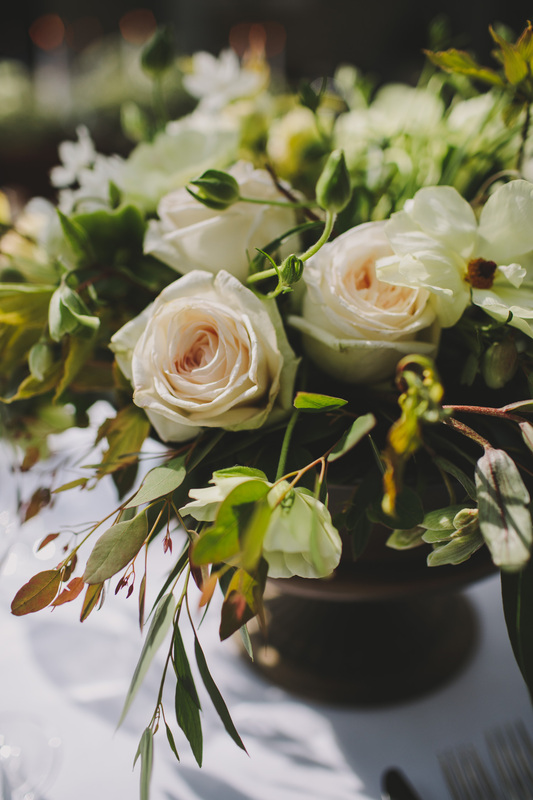 A romantic bridal bouqet with touches of Earl Grey roses and brunia suited the style of the day. 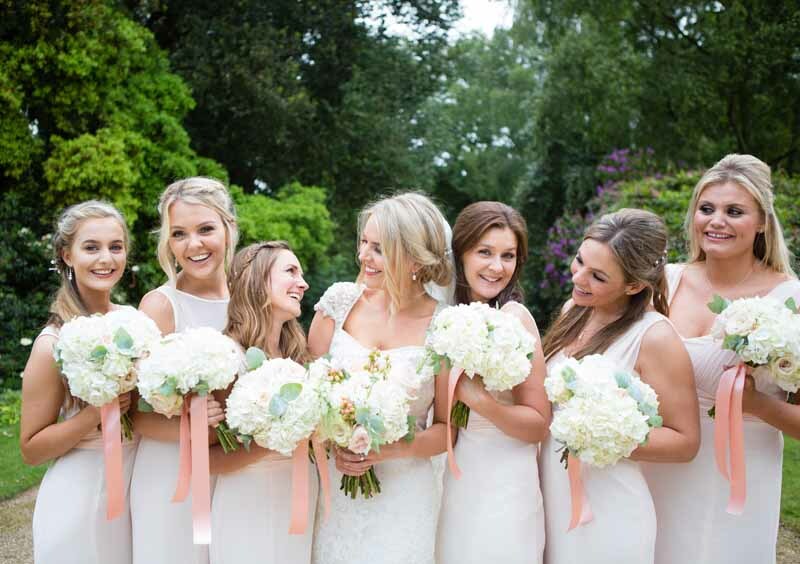 The bridesmaids carried smaller bouquets with touches of dusty miller and brunia, finished with the softest ribbon. 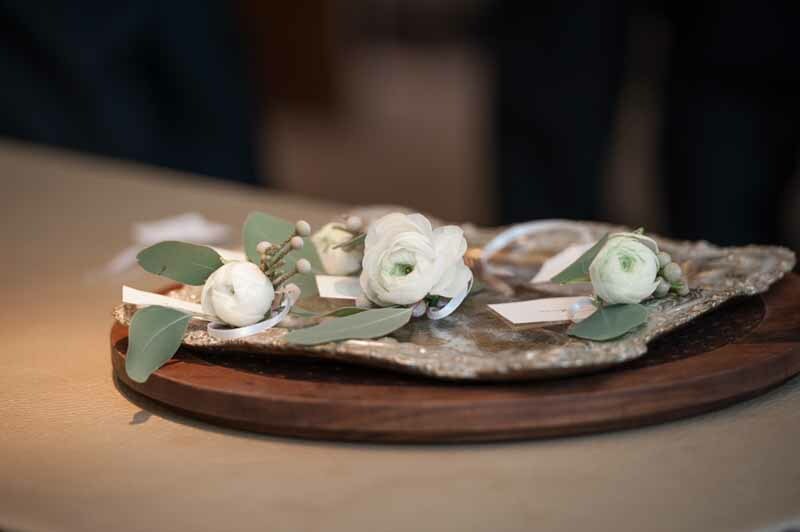 A touch of berried eucalyptus added interest to the corsages for the ladies in keeping with the rustic, elegant feel of the day. 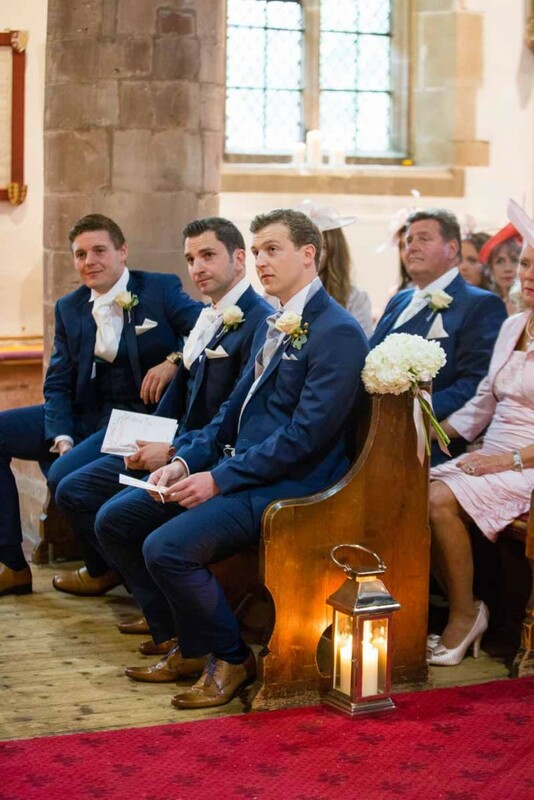 The boys looking dandy on the doorstep of the Manor before going over to the ceremony. 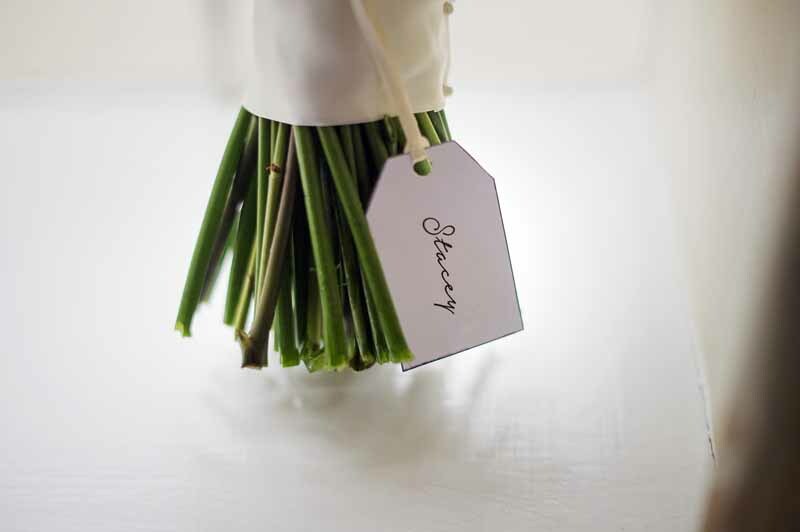 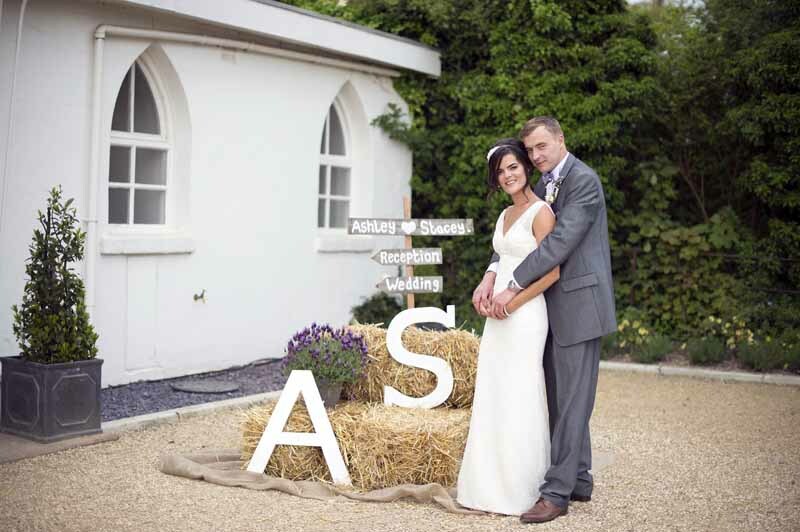 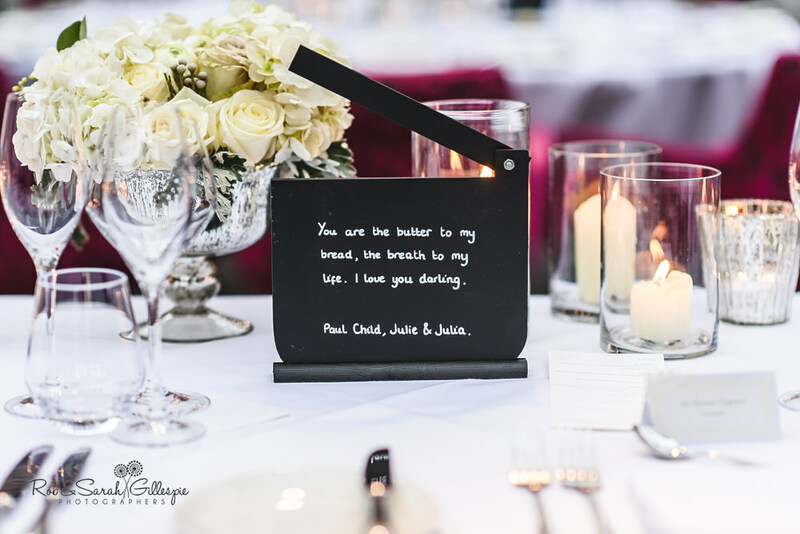 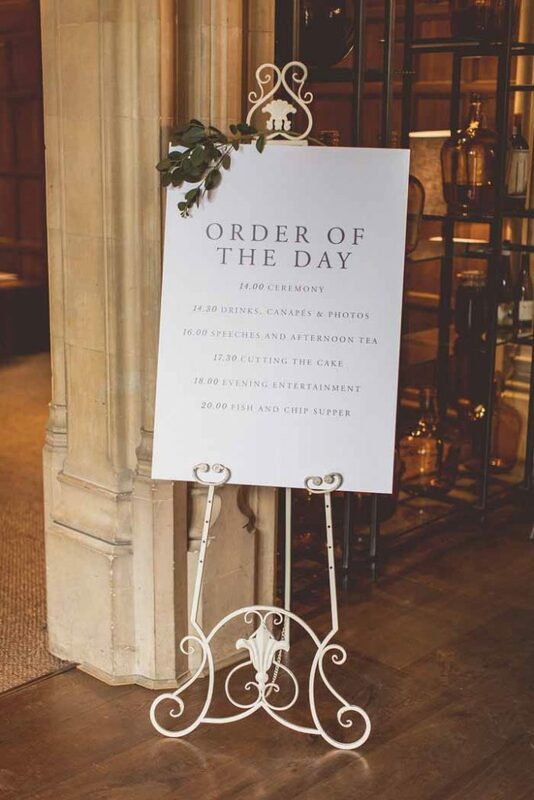 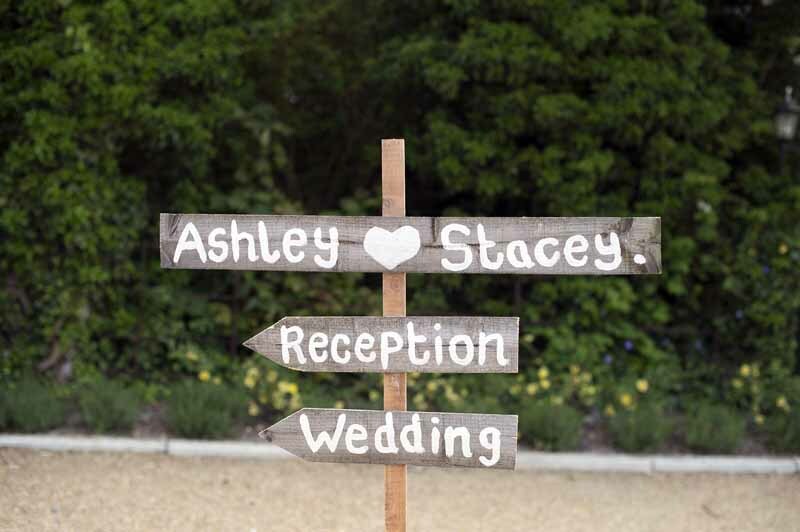 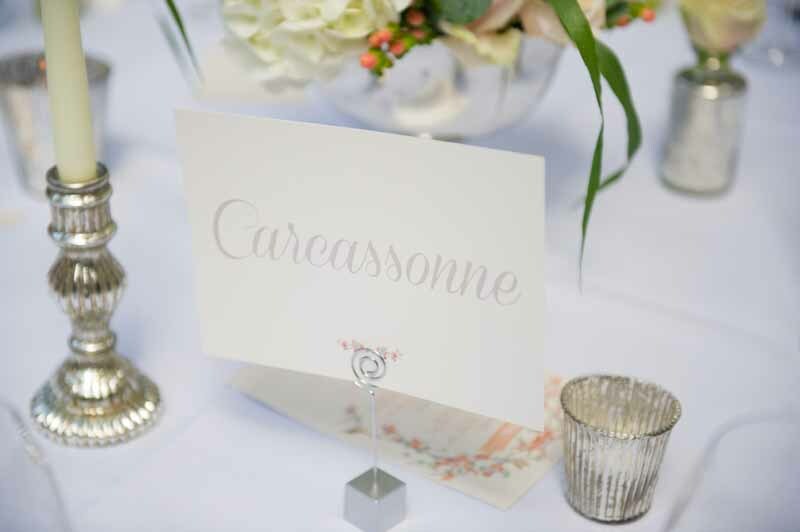 The calligraphy signs welcomed guests to the wedding with a posy of flowers and foliage from the day. 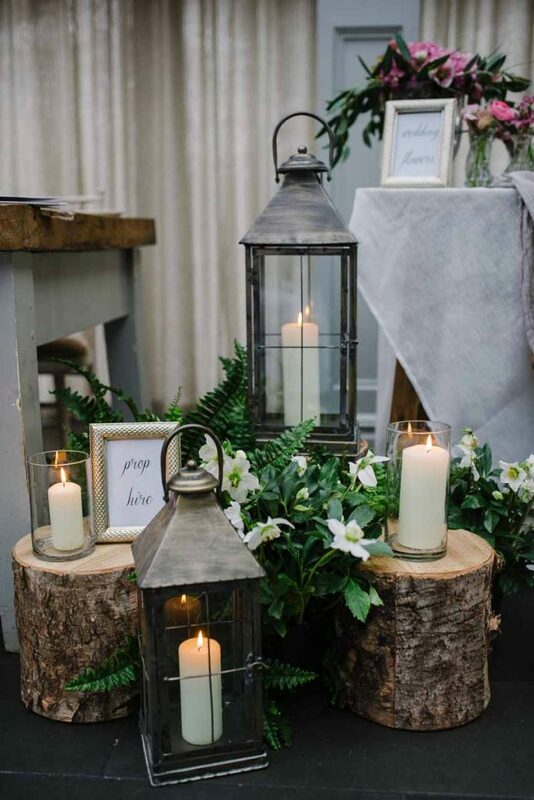 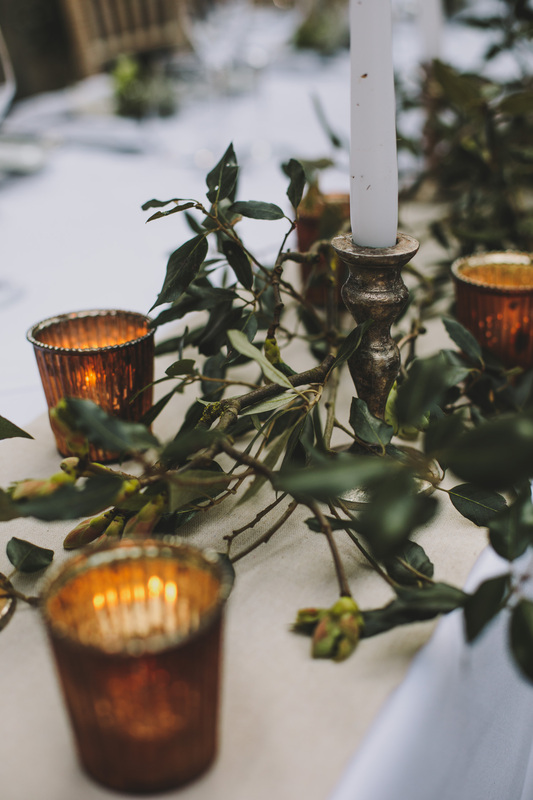 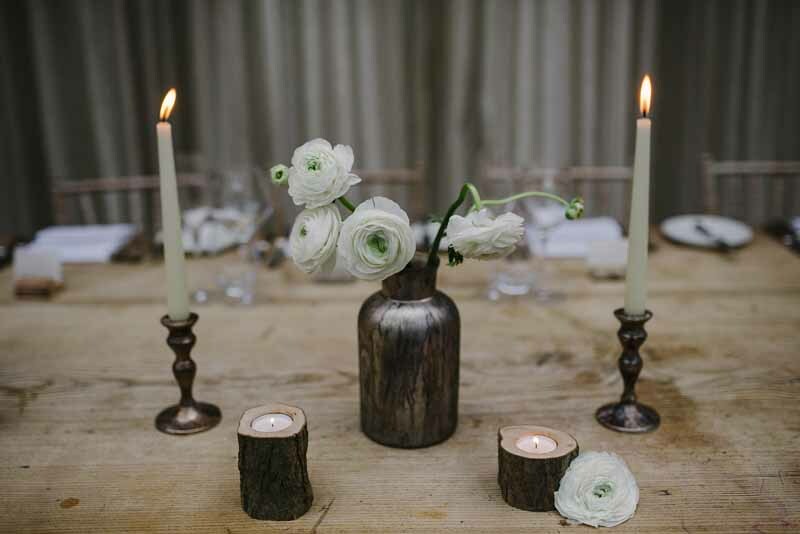 Candles and trees created a romantic backdrop to the ceremony with soft underplanting of helebores for freshness. 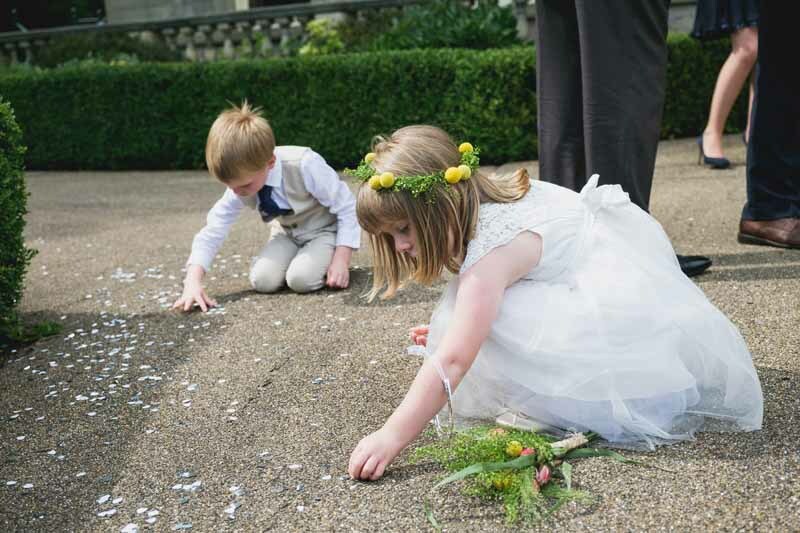 Scented delphinium petals created the confetti shot just outside the cermeony, always a moment to cherish. 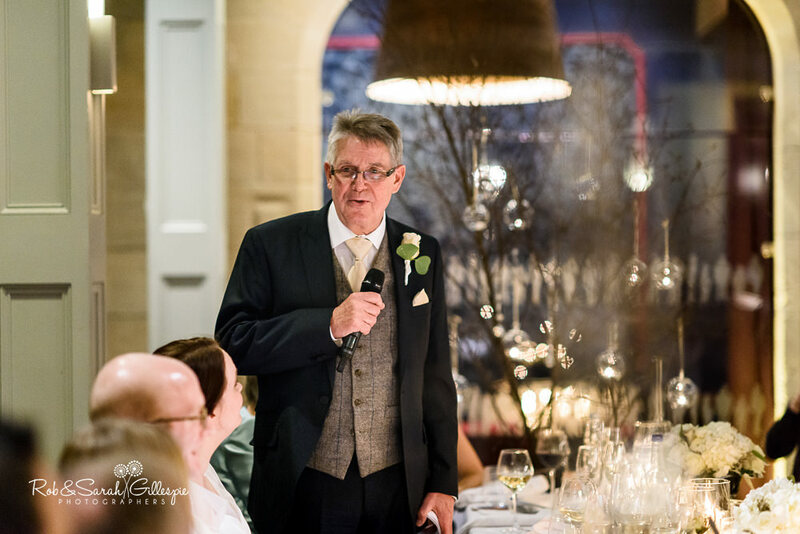 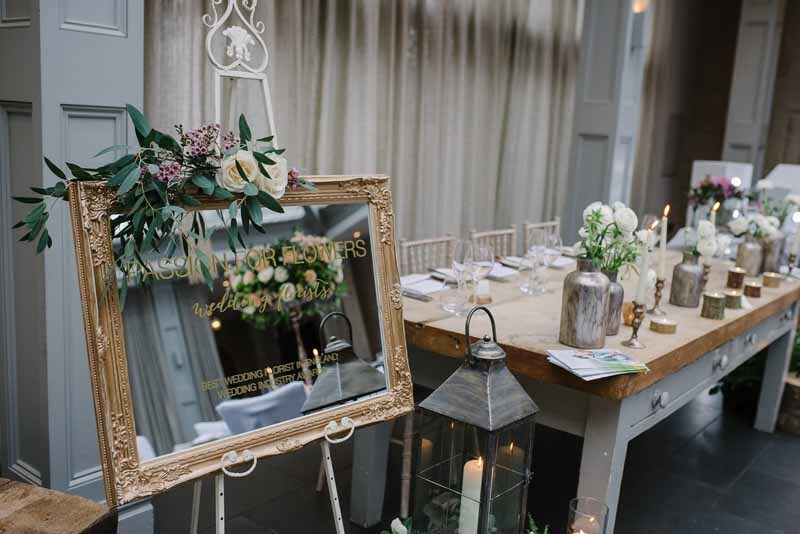 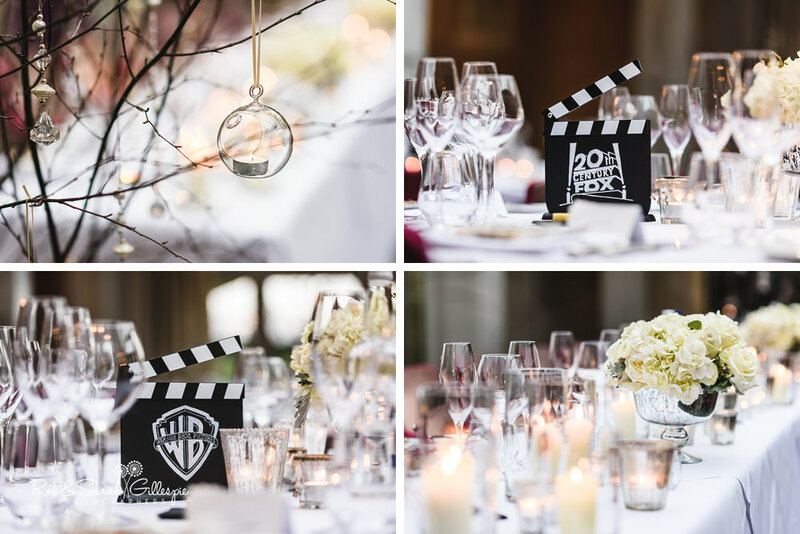 The mercury silver vases overfilled with the softest blooms looked elegant for the reception with hanging baubles and trees to frame the top table.The tables had quotes from favourites films to add a personal touch to the decor. 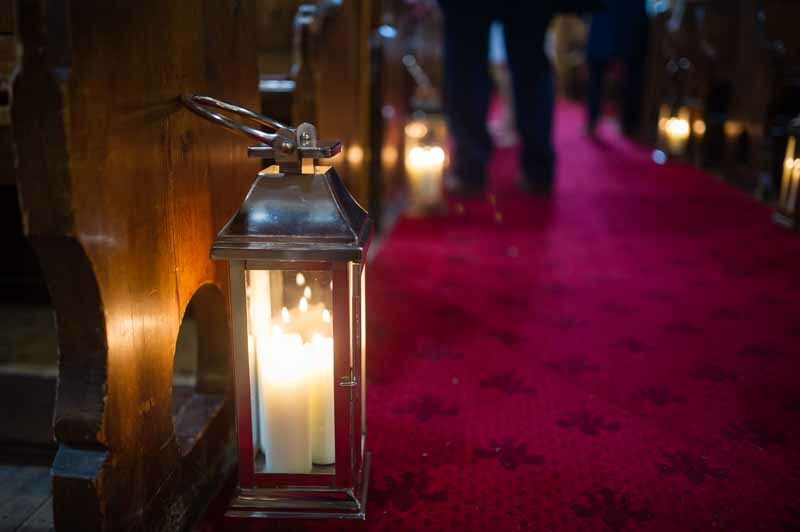 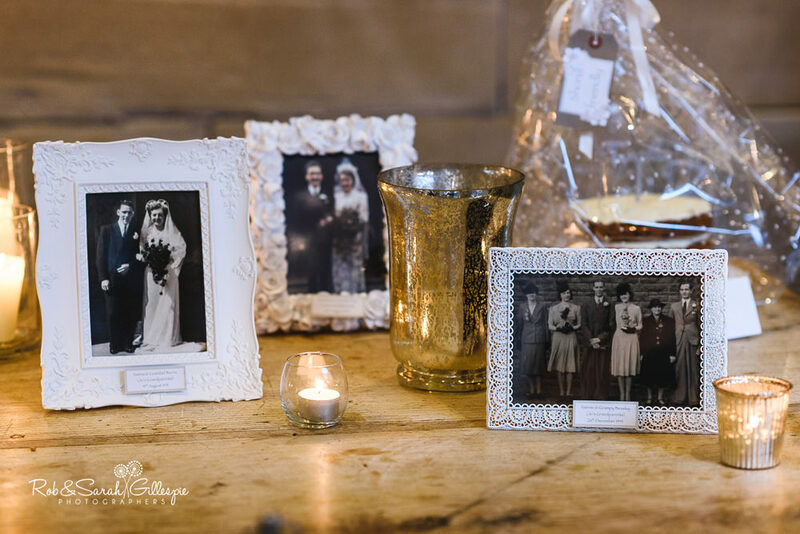 It is all in the detail and nothing had been forgotten to keep their guests warm and cosy as day turned to night and memories were made. 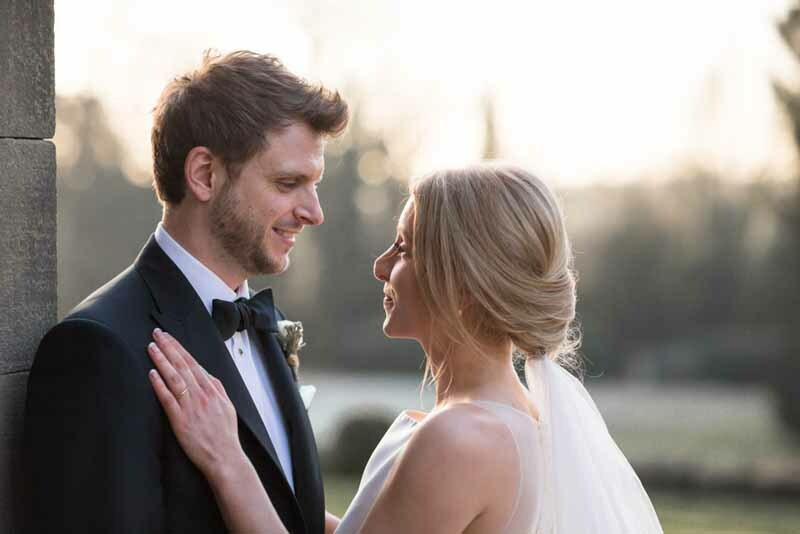 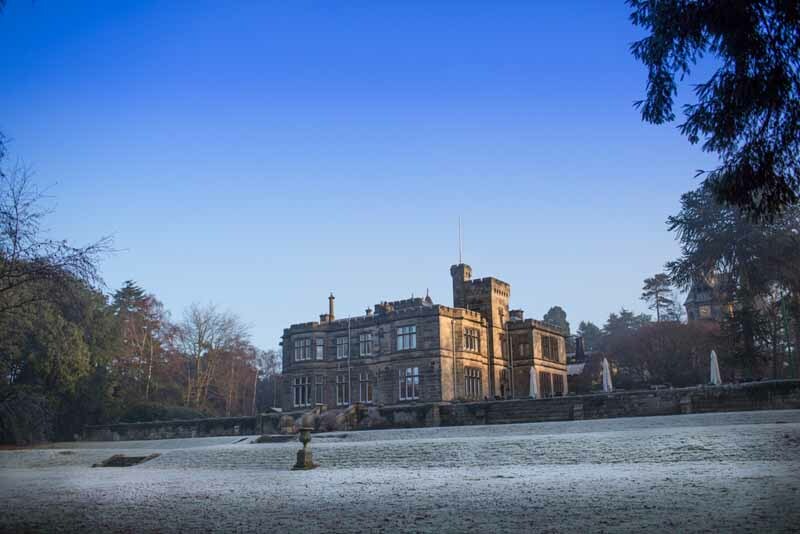 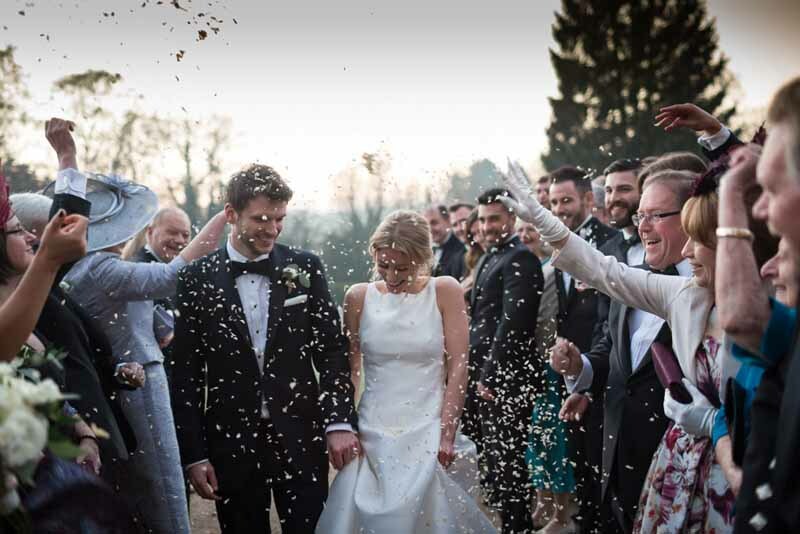 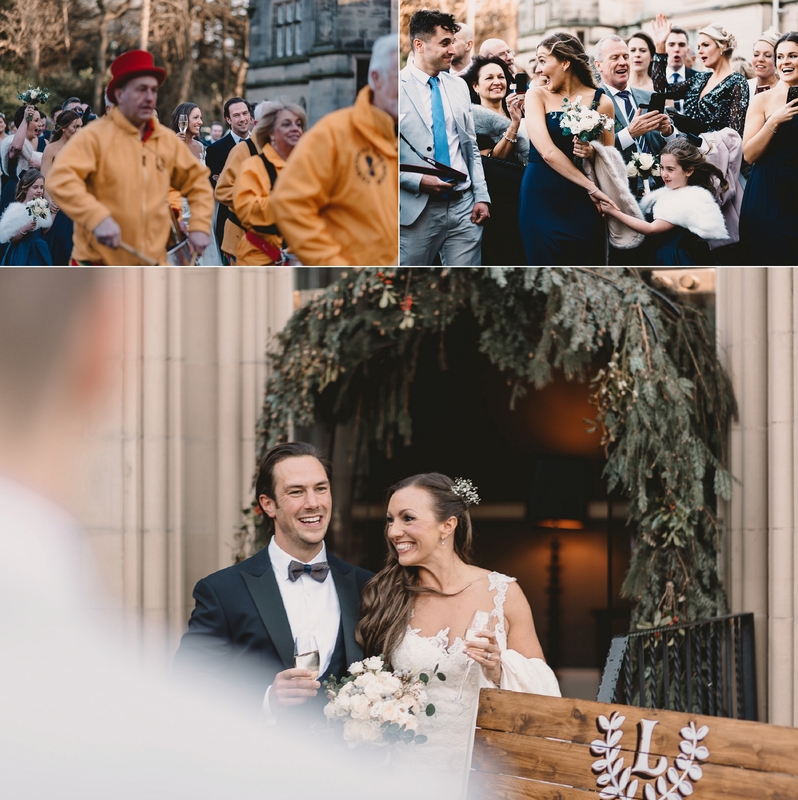 Tom and Jo were so wonderful to work with and we just loved their winter wedding at Hampton Manor, a most favourite venue of ours. 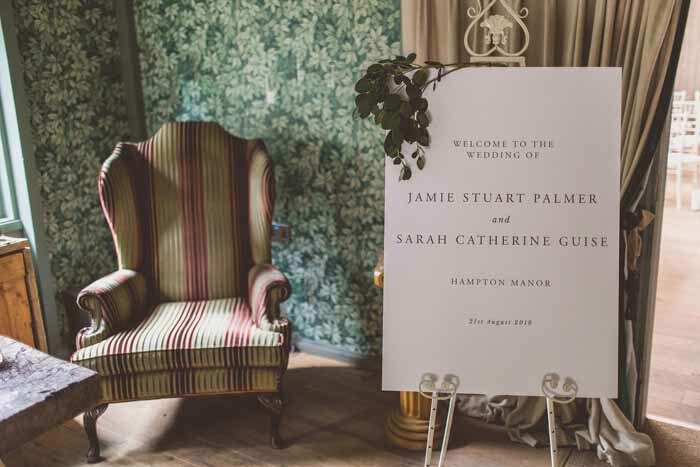 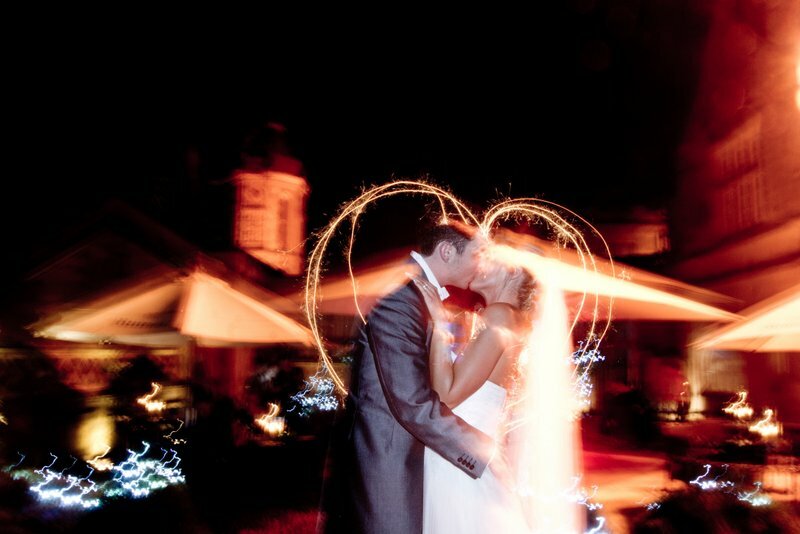 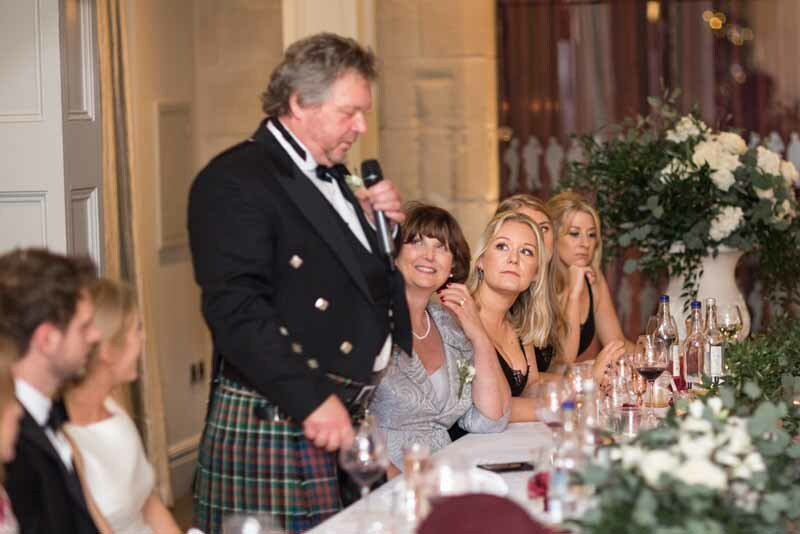 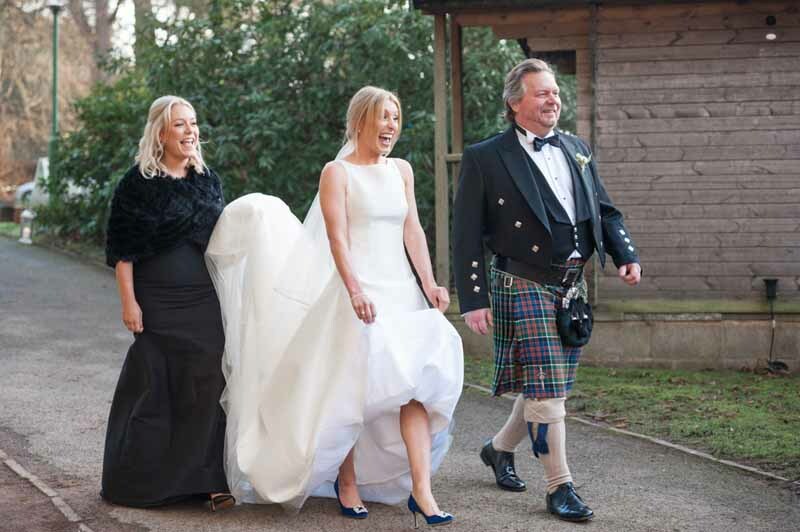 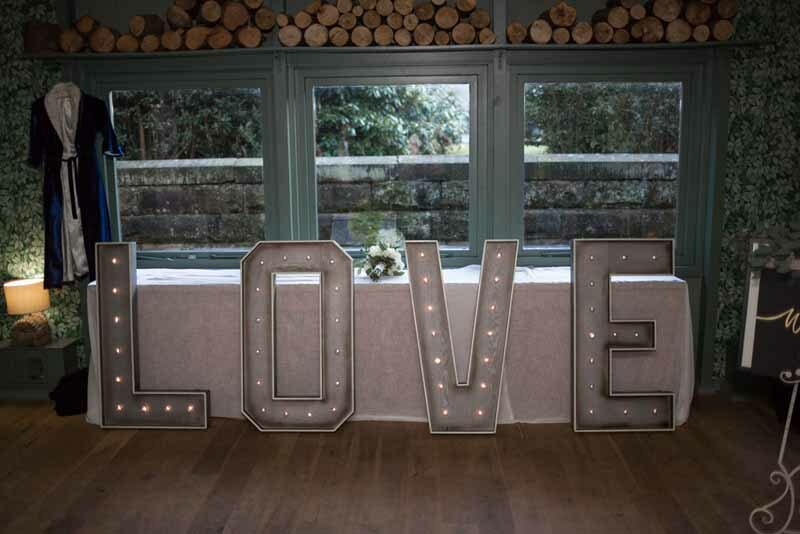 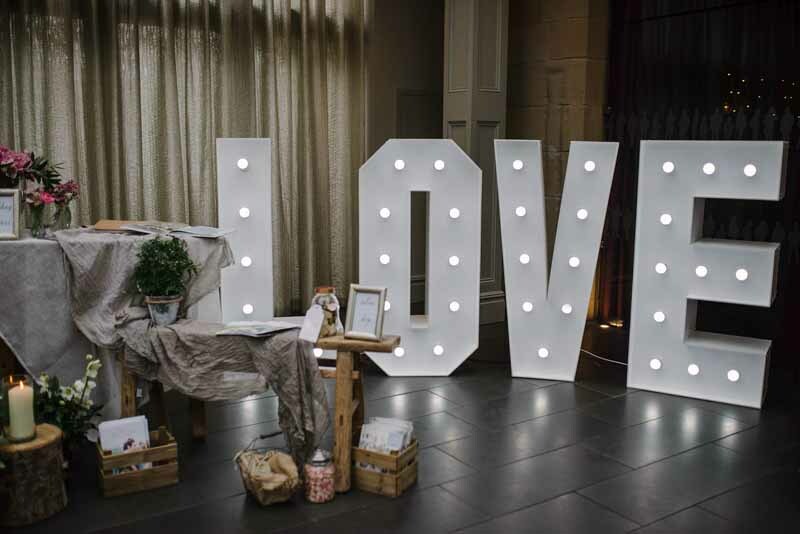 As we regularly work at Hampton Manor we love it when new changes are made to venues. 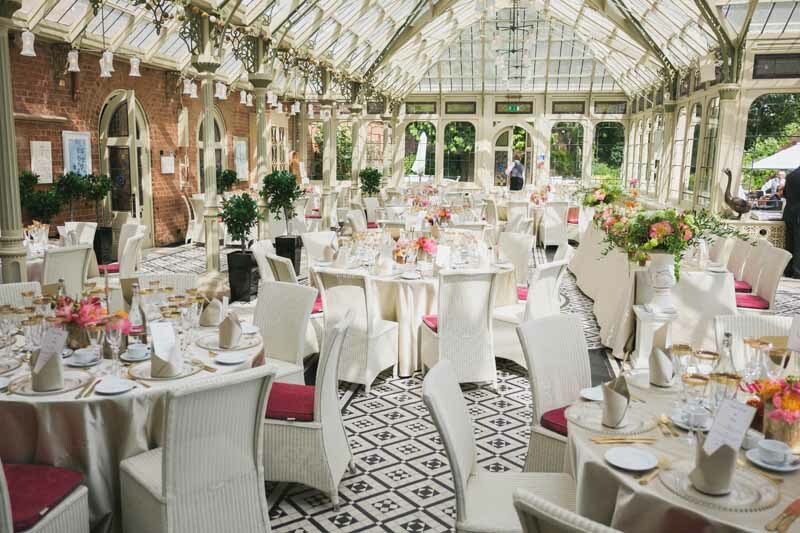 Hampton Manor have recently enhanced the outdoor area next to Elizabeth’s Court. 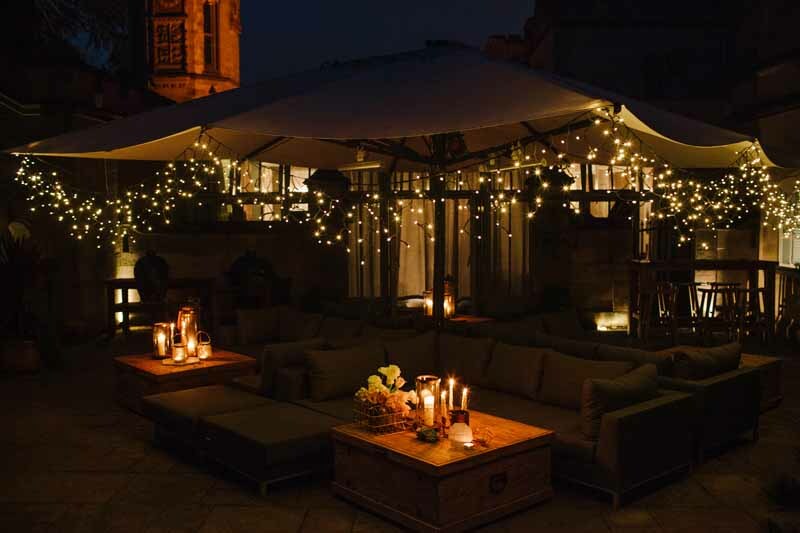 There is a new seating area for guests to relax which would be lovely on a summers evening. 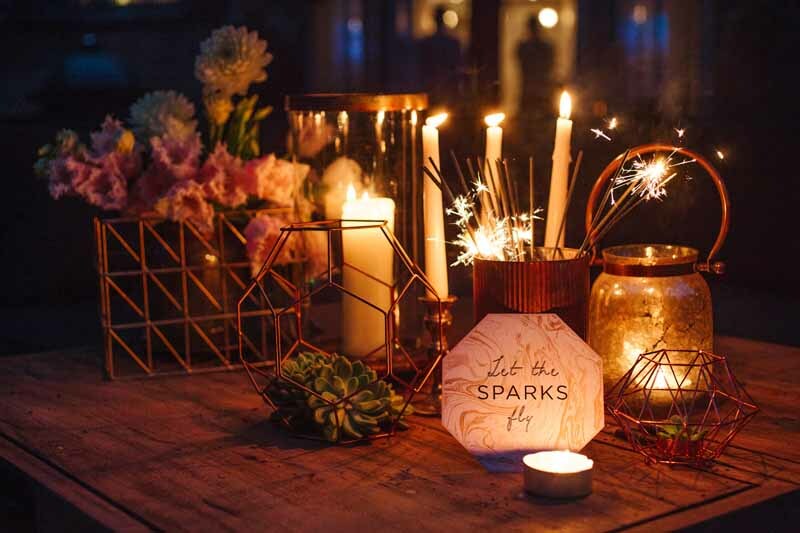 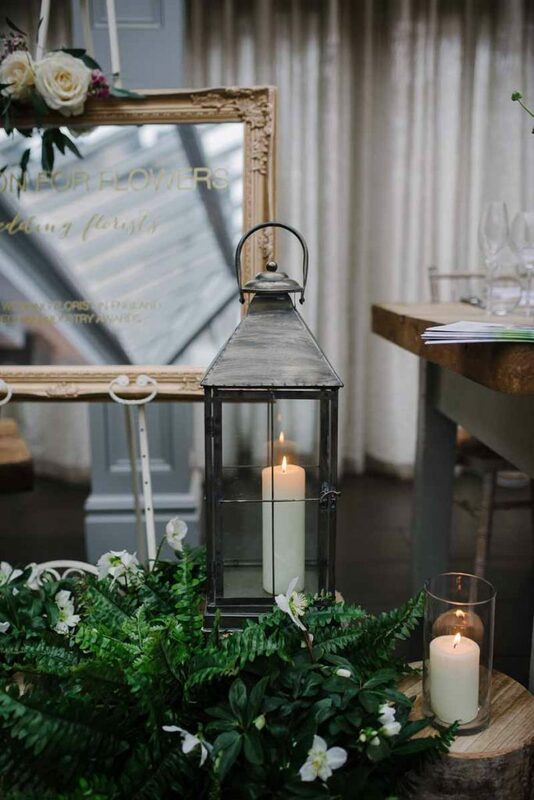 Have a look at the new seating area we recently styled with copper vases, pretty blooms lanterns, candles and sparklers. 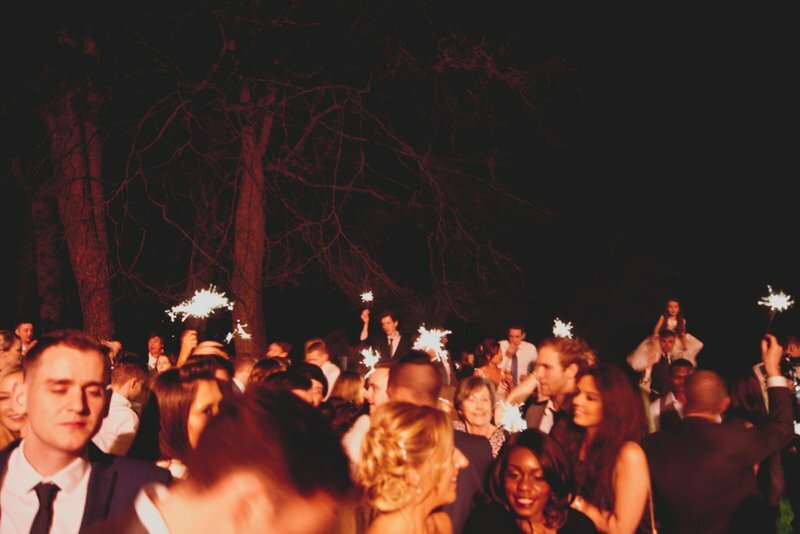 Doesn’t it look magical. 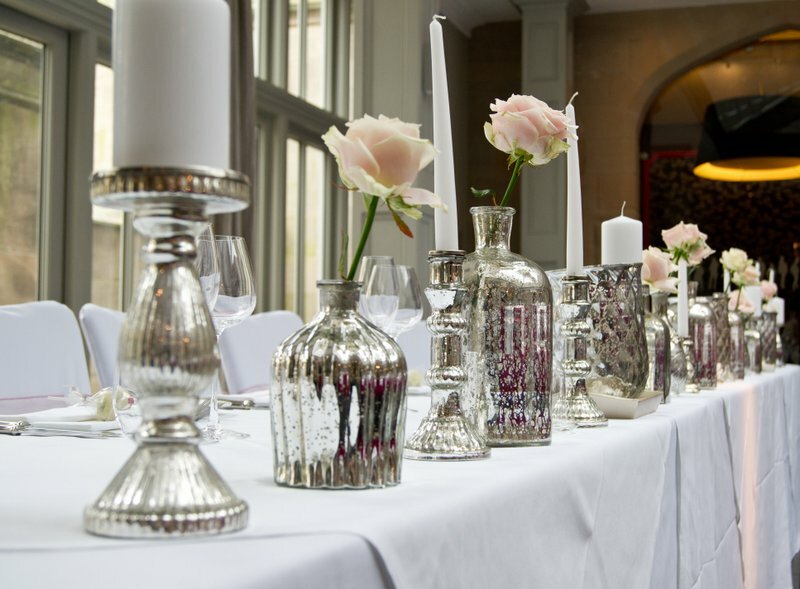 If you have longer tables the elevated display could continue onto another vase and another to match the length of your table. 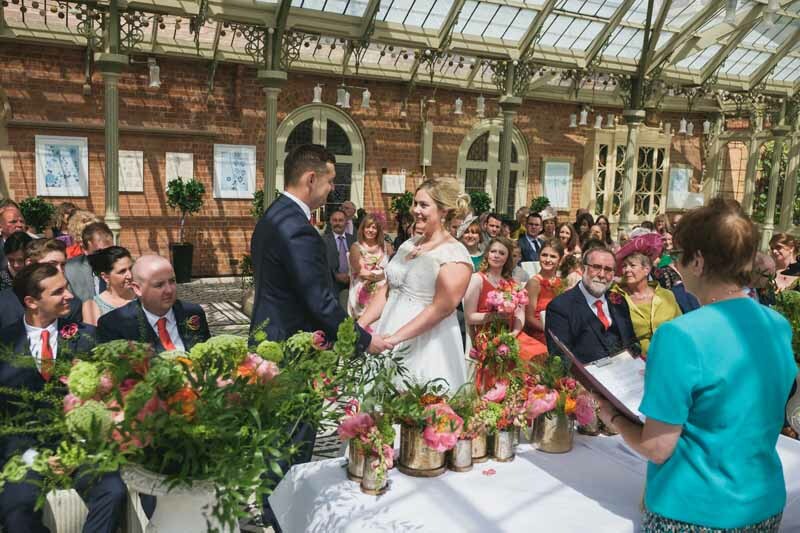 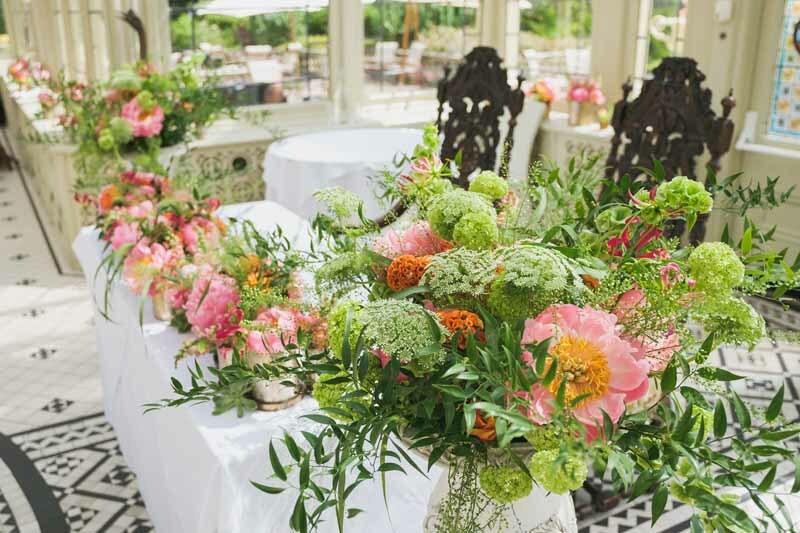 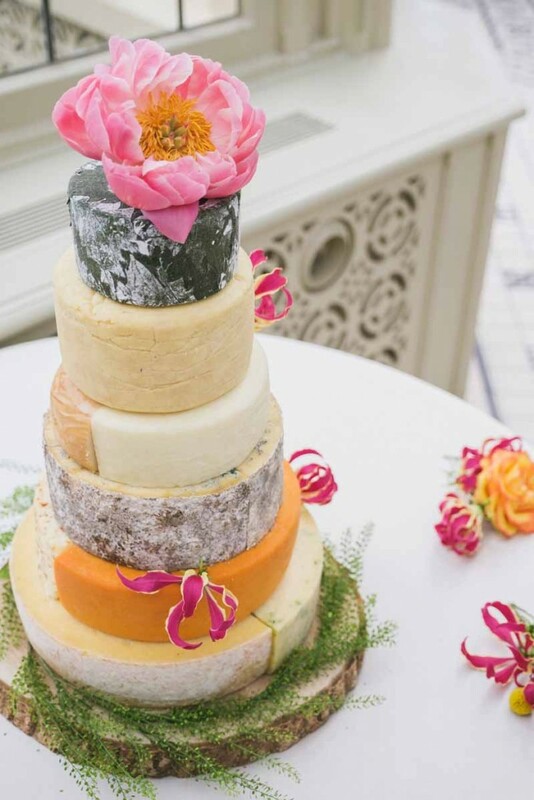 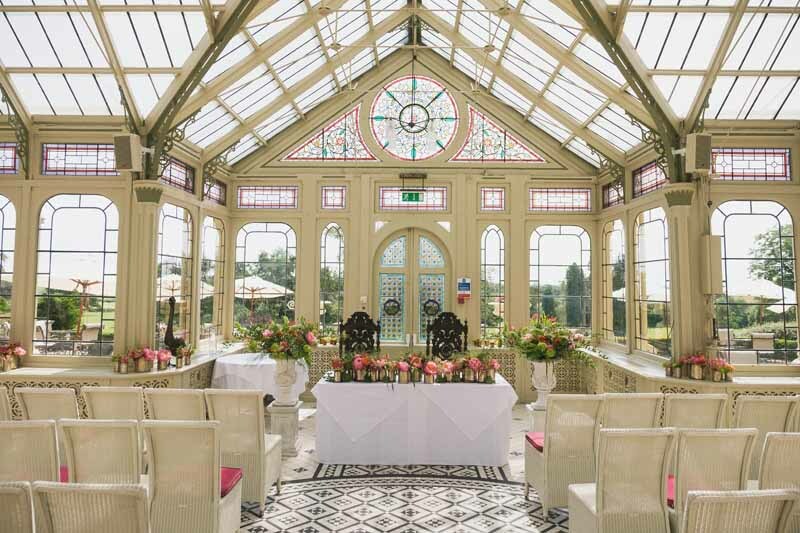 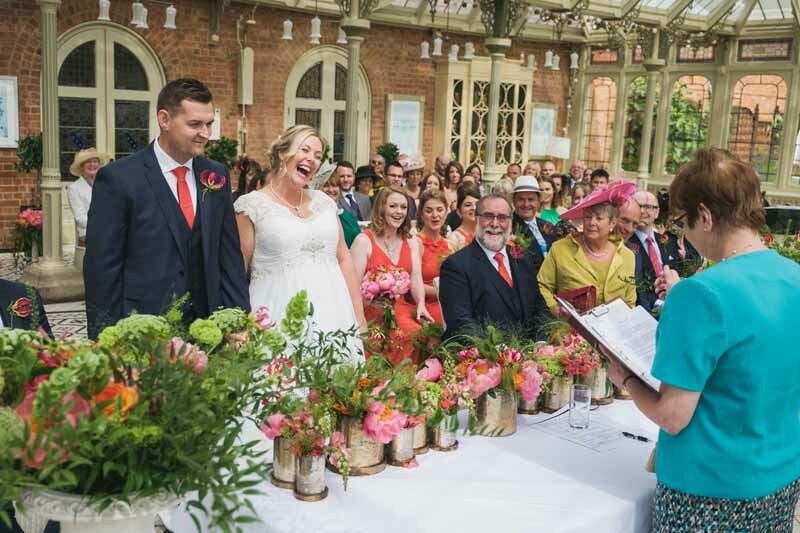 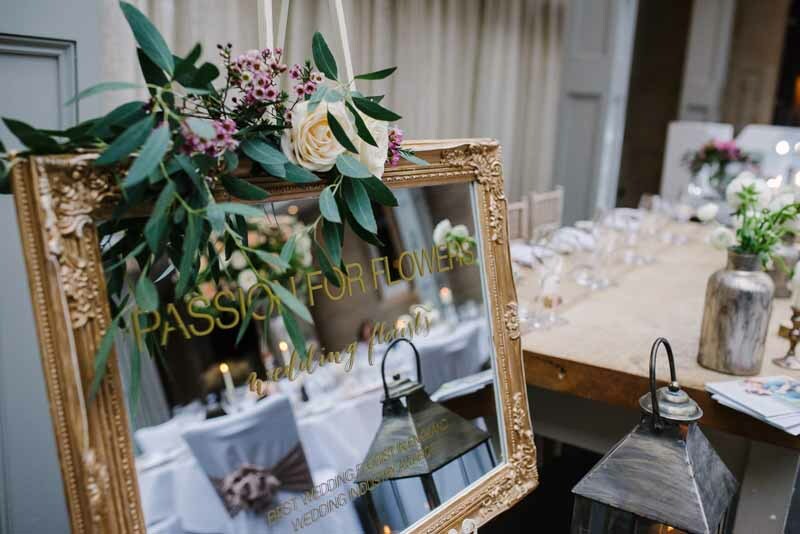 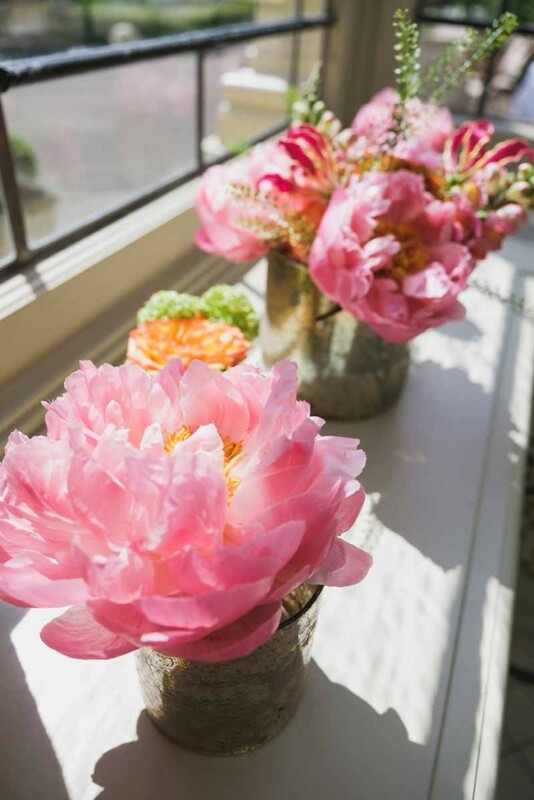 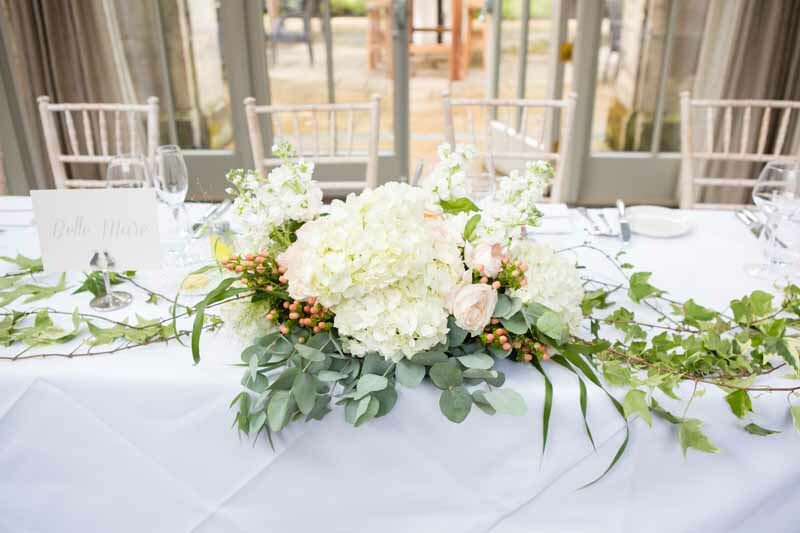 If you are getting married at Hampton Manor we love a little extra floral decoration in the Parlour, it will be sure to wow your wedding guests. 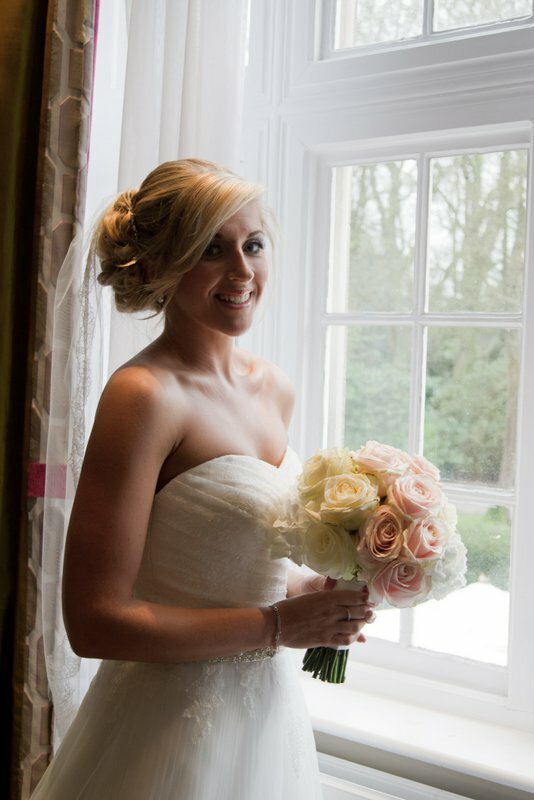 For a recent brochure shoot at Hampton Manor we created a modern elegant and sleek bouquet for the bride. 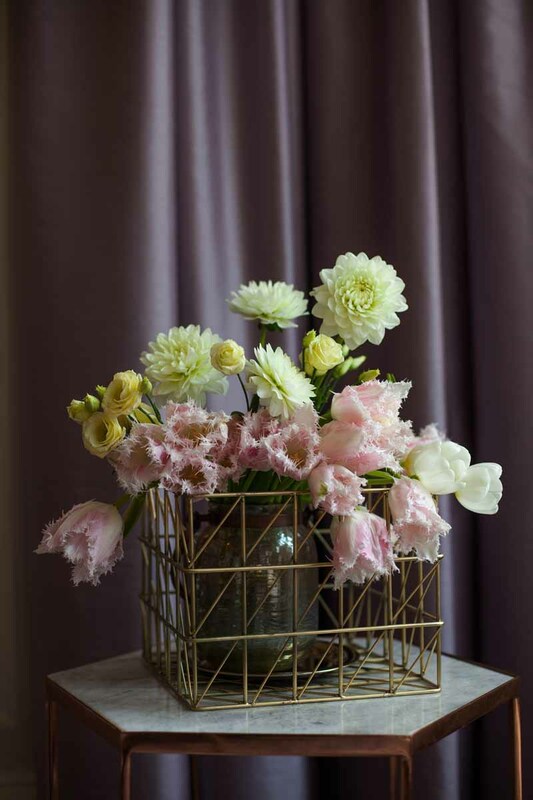 This bouquet was created from grasses and calla lilies for a very elegant look. 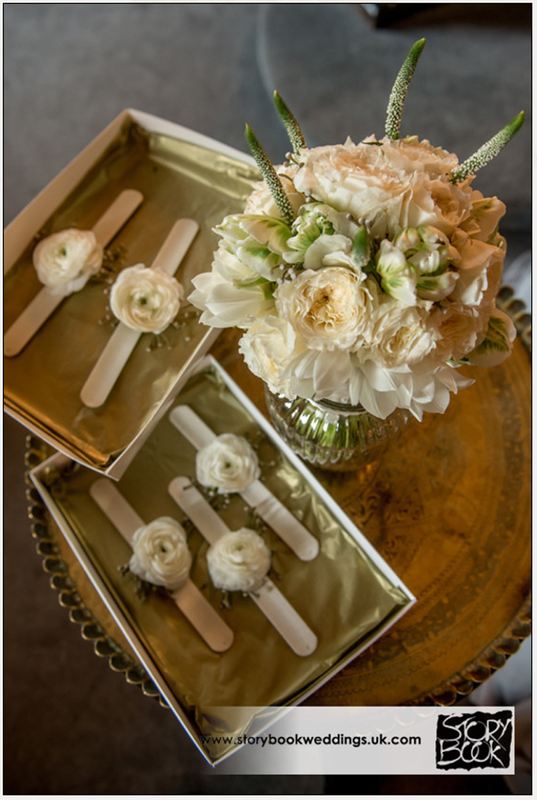 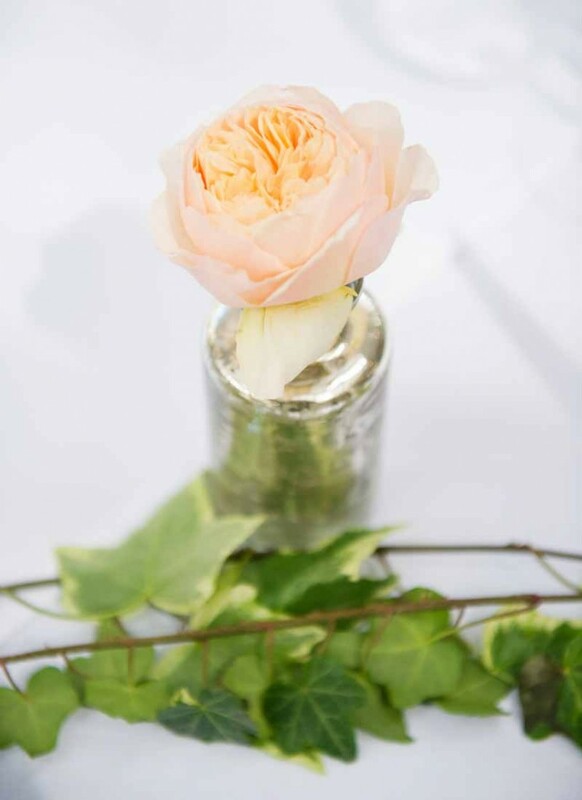 The rest of the shoot was centered around modern geometric wedding styling, we used copper and white colours for an elegant look. 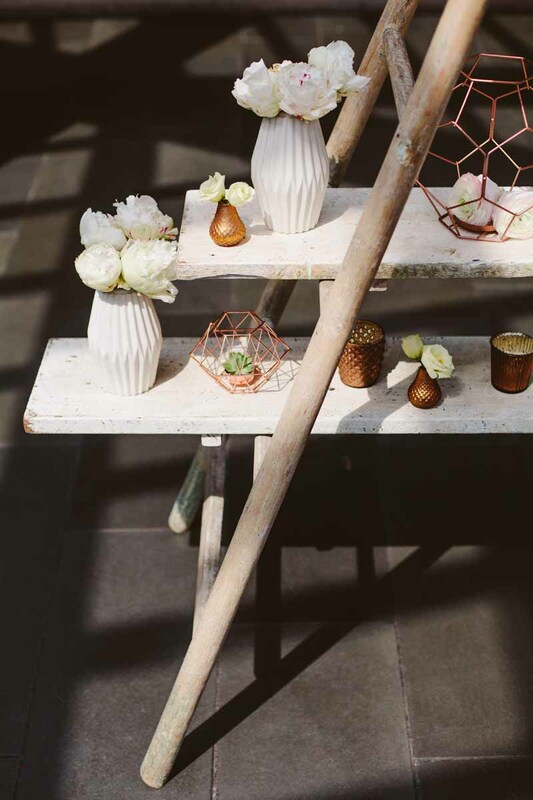 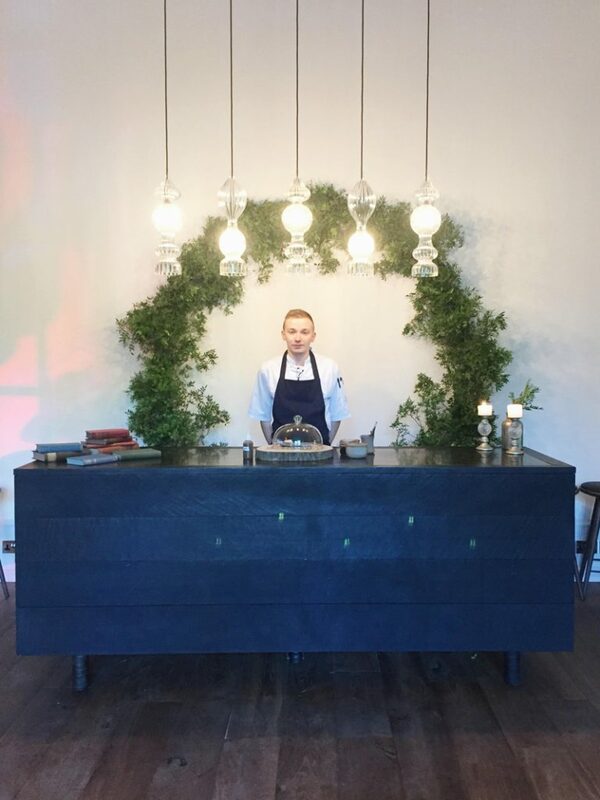 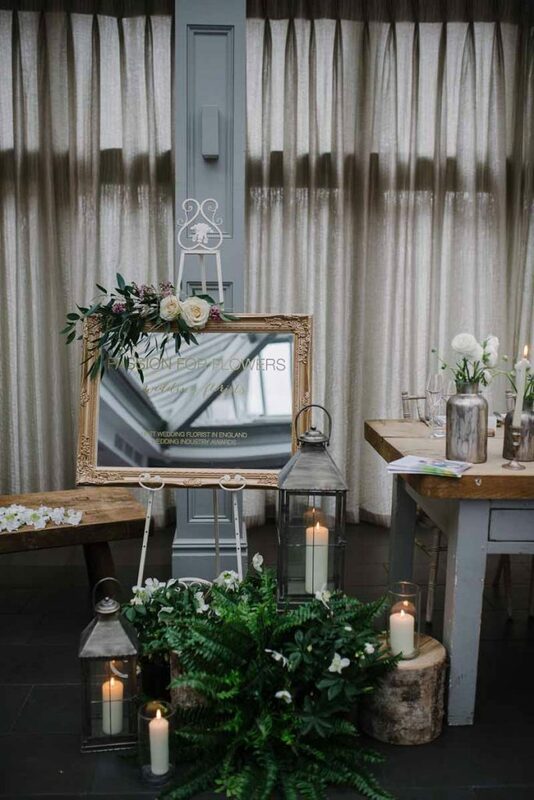 Our copper terrariums and bud vases mixed with the white vases look stunning set up on the ladders, just love this shot of them. 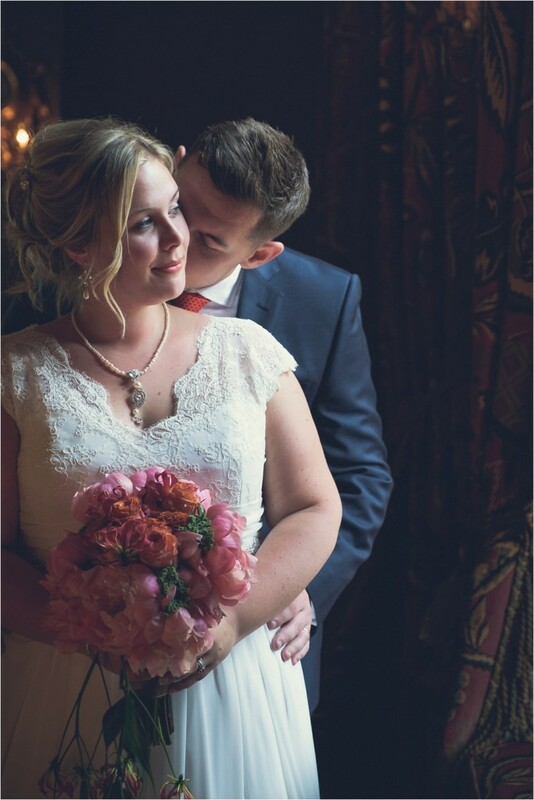 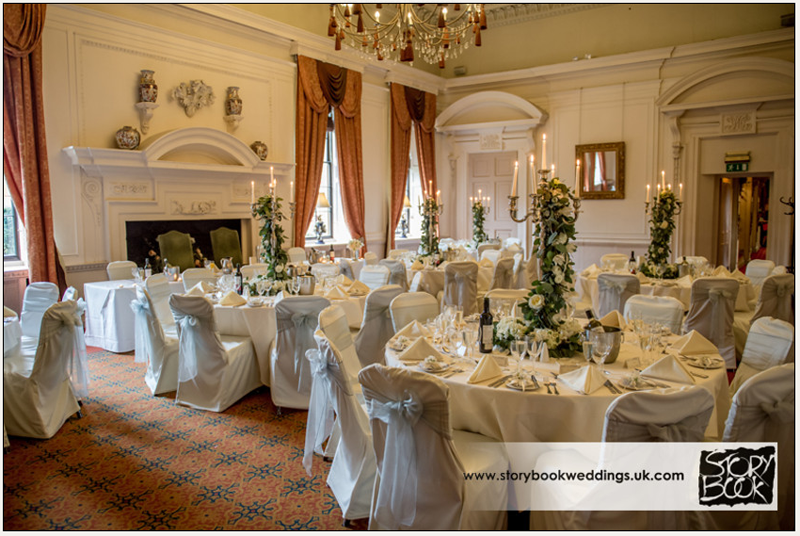 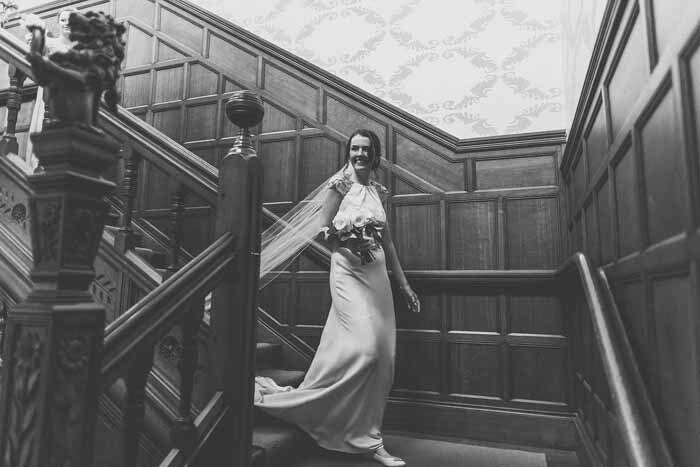 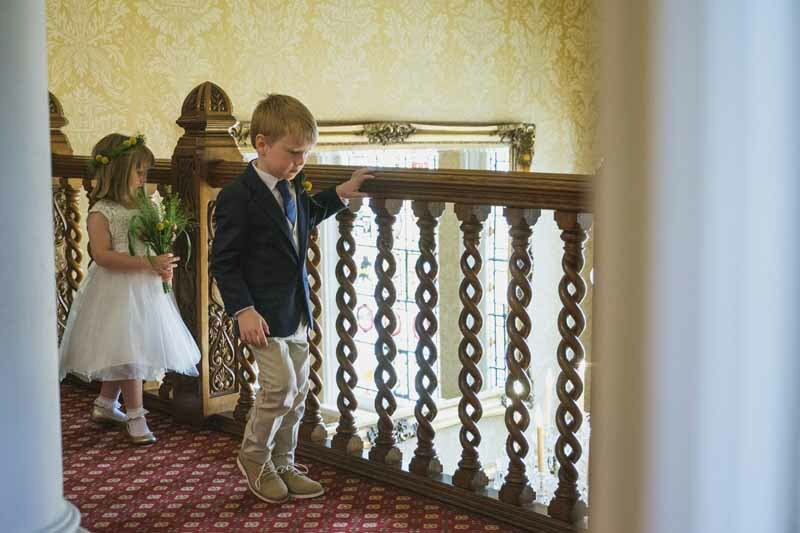 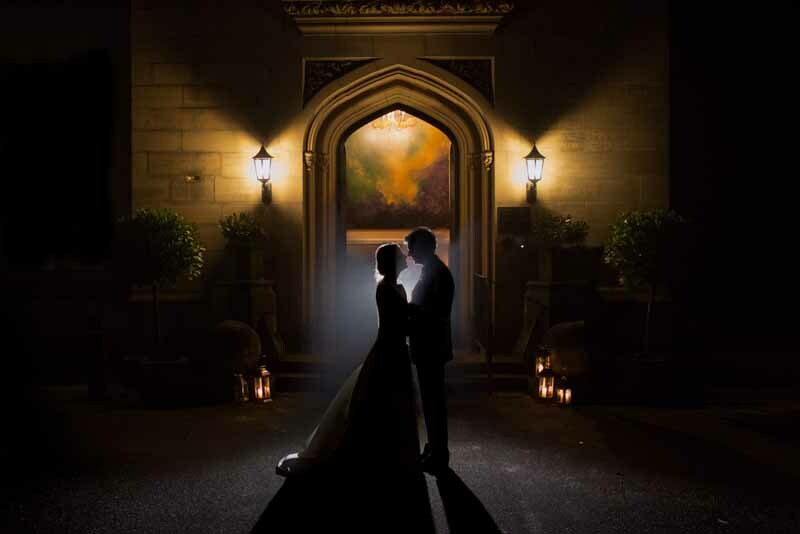 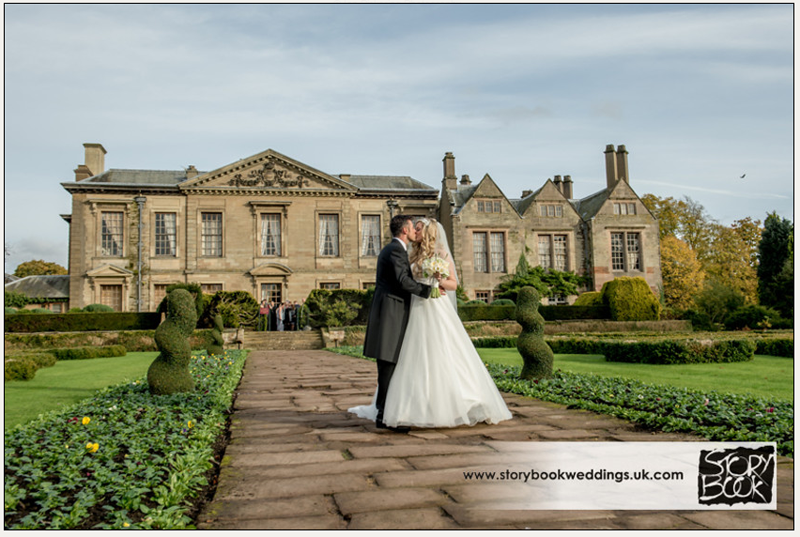 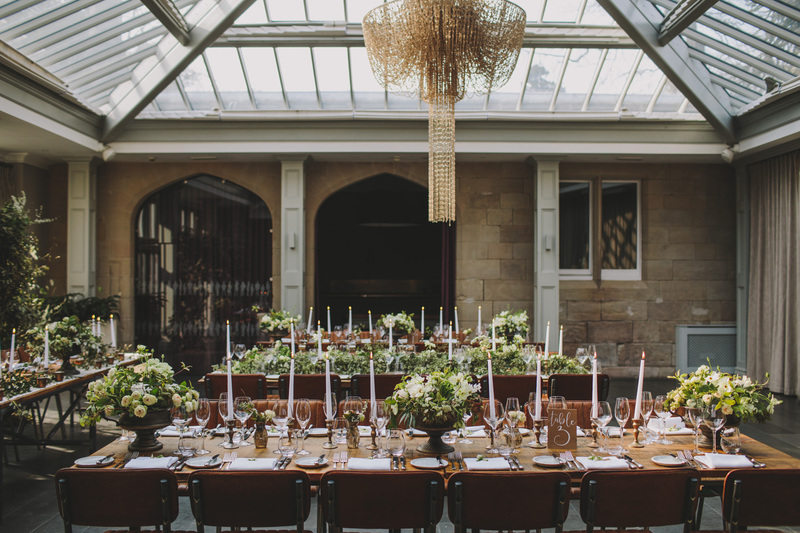 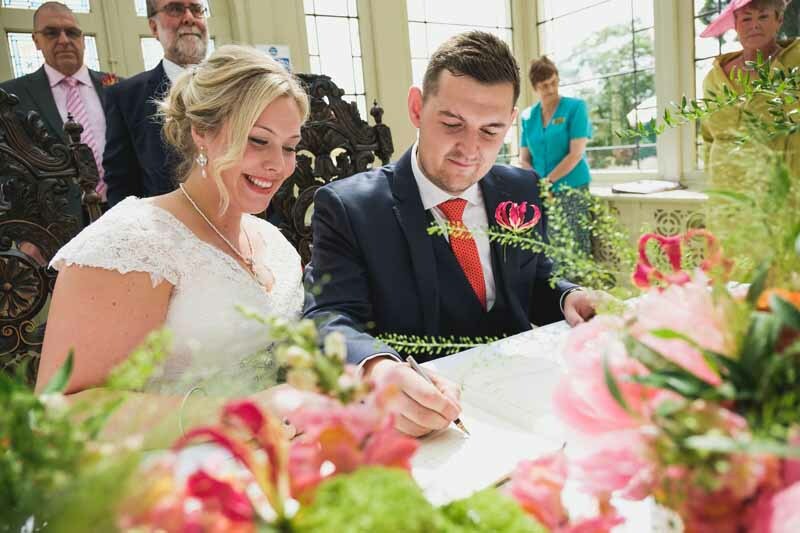 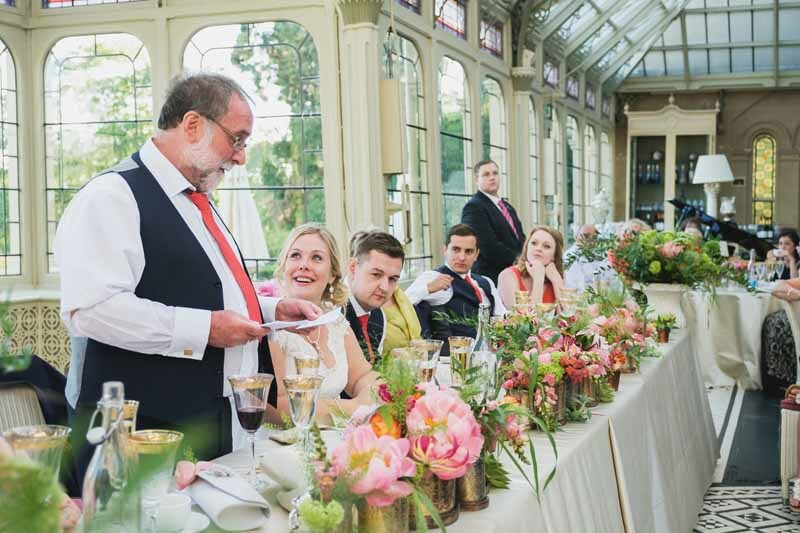 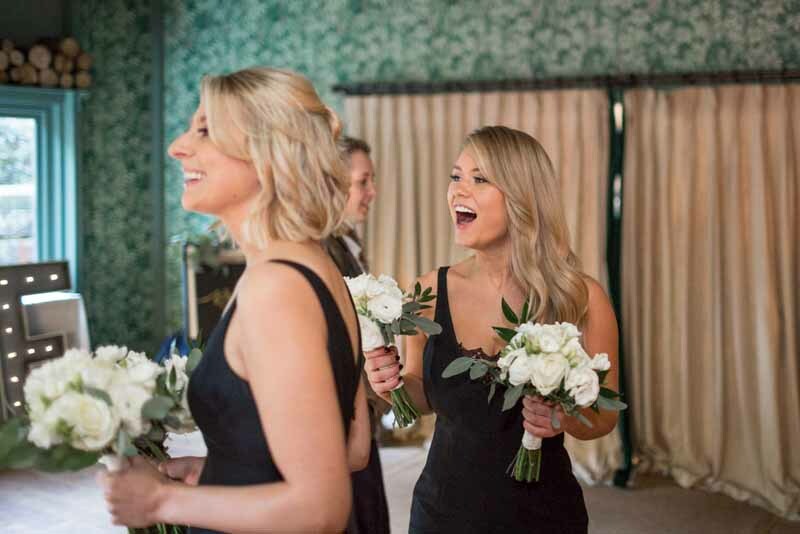 At Passion for Flowers we love elegant weddings and Sarah and Federico’s October wedding was a truly elegant occasion at Coombe Abbey. 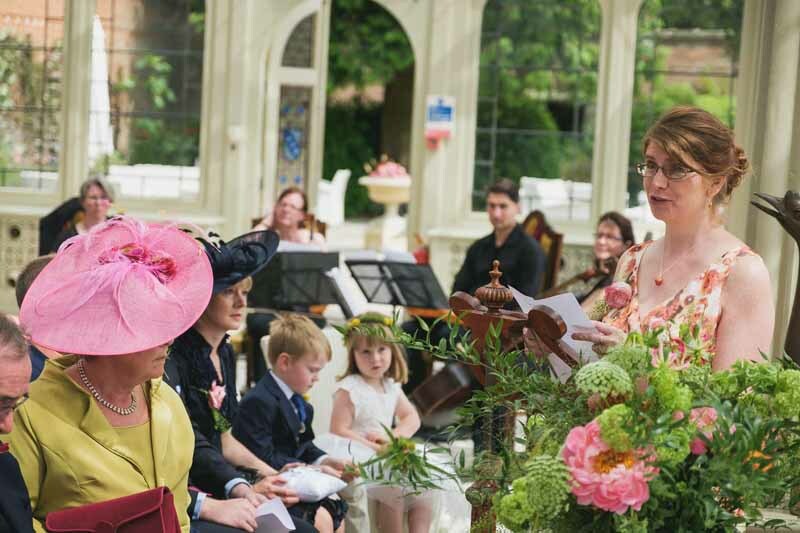 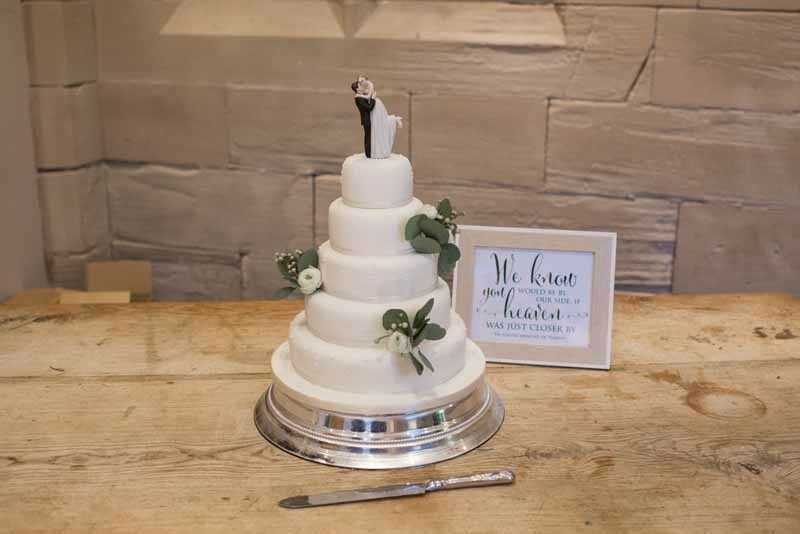 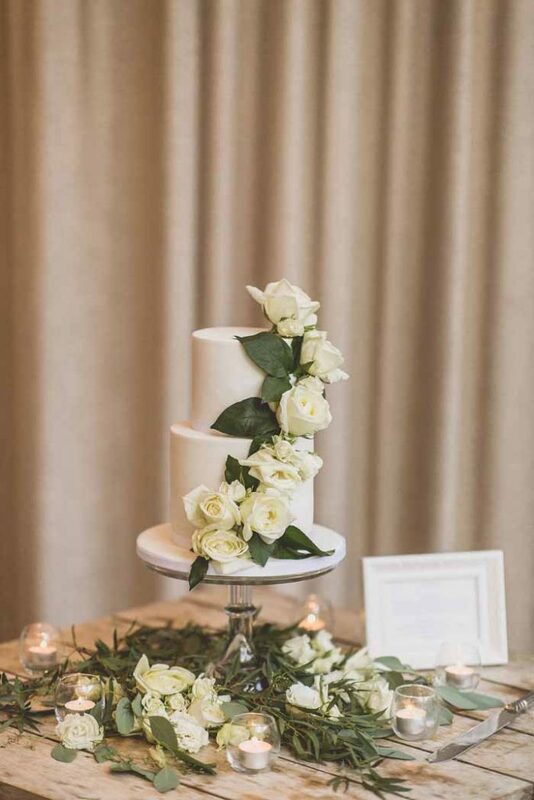 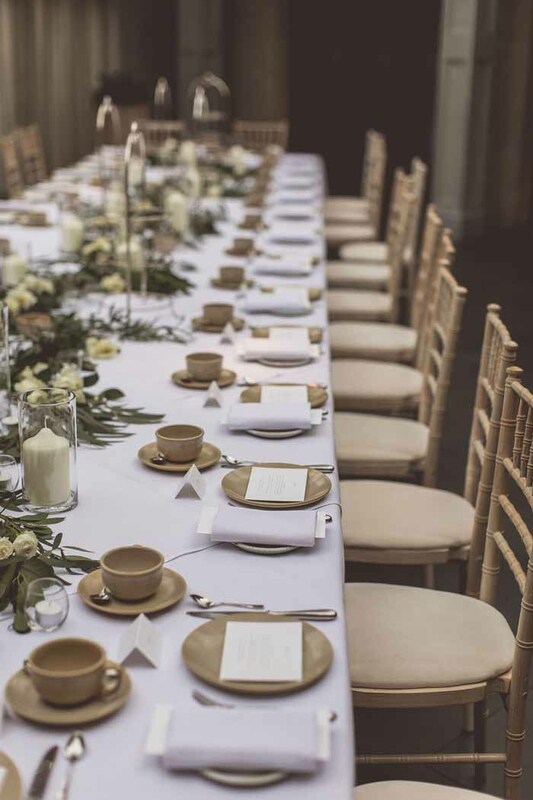 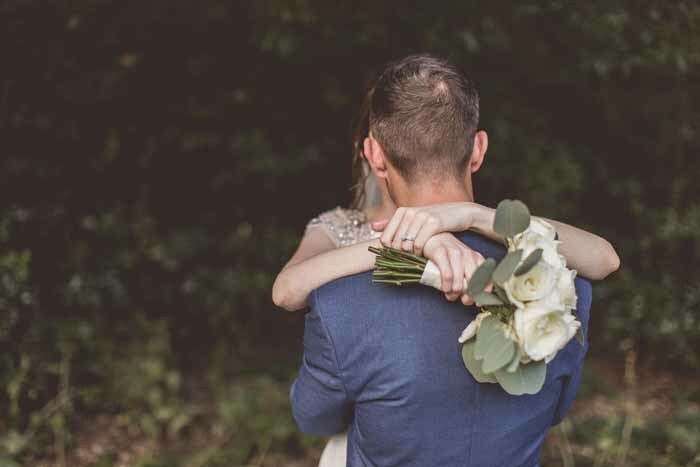 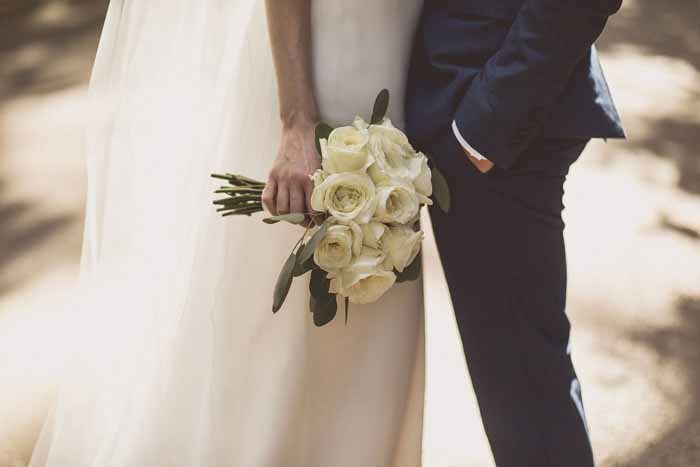 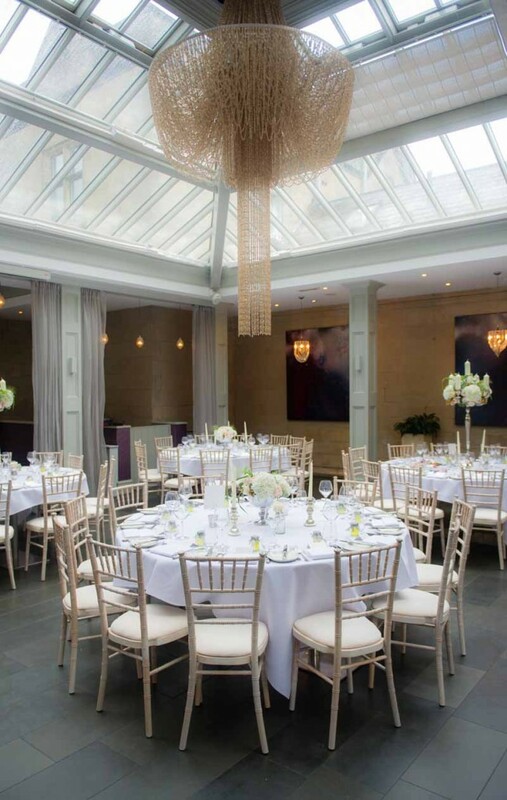 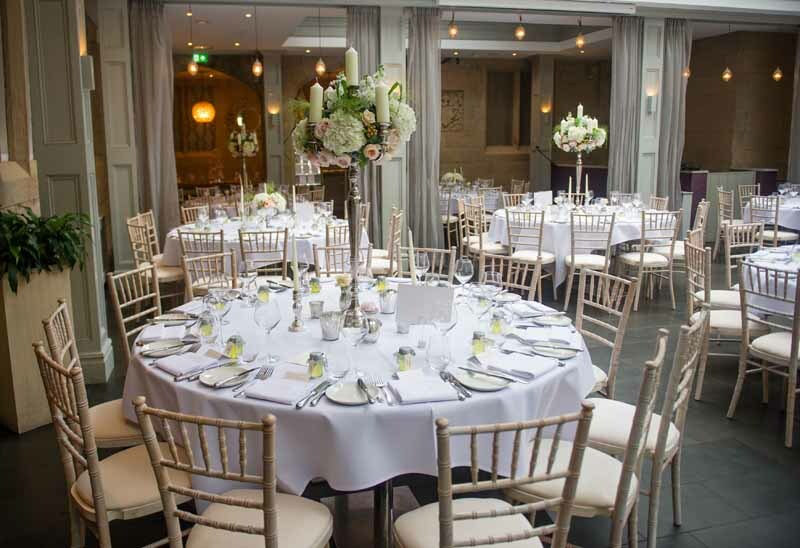 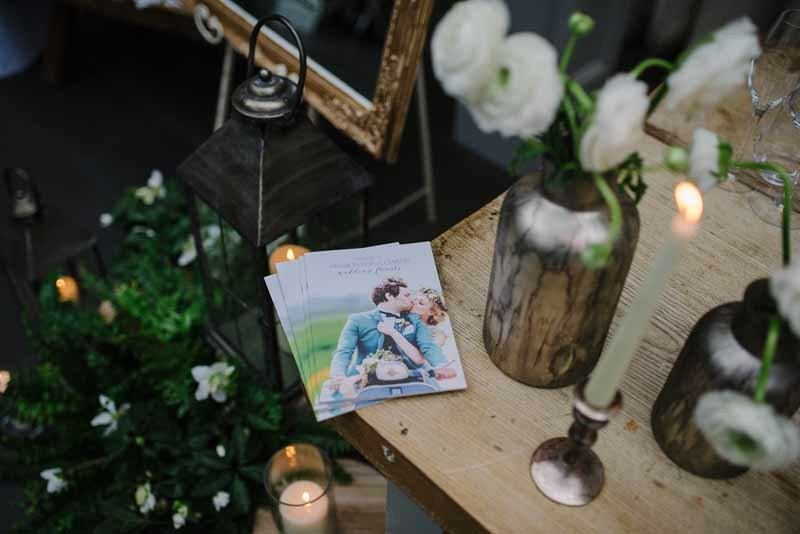 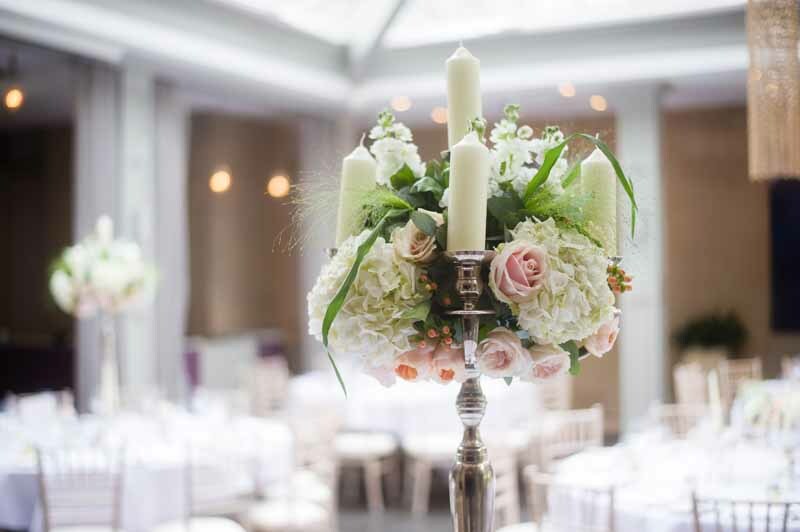 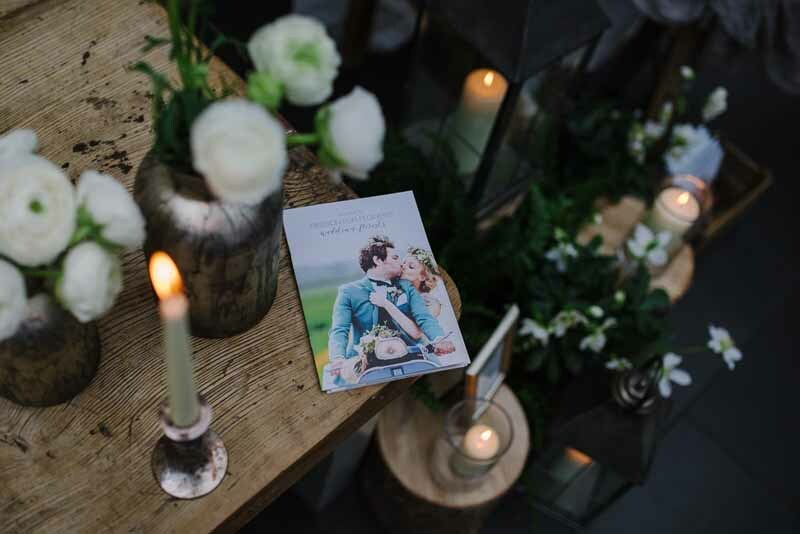 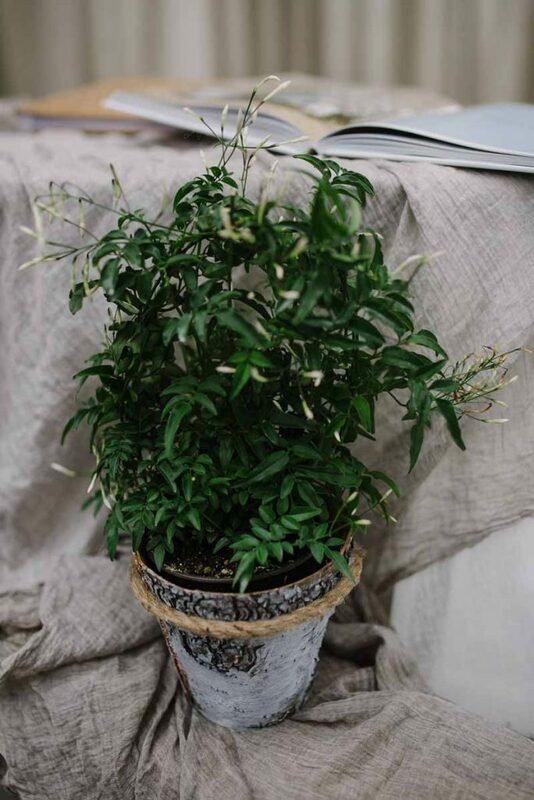 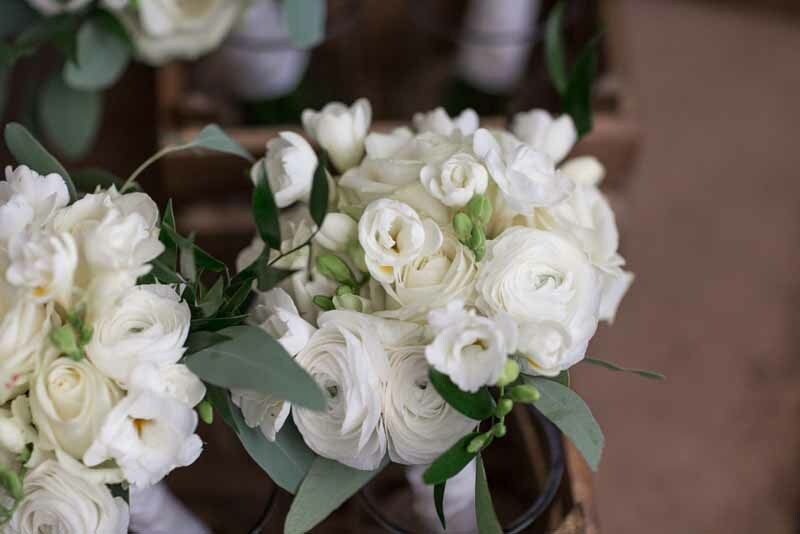 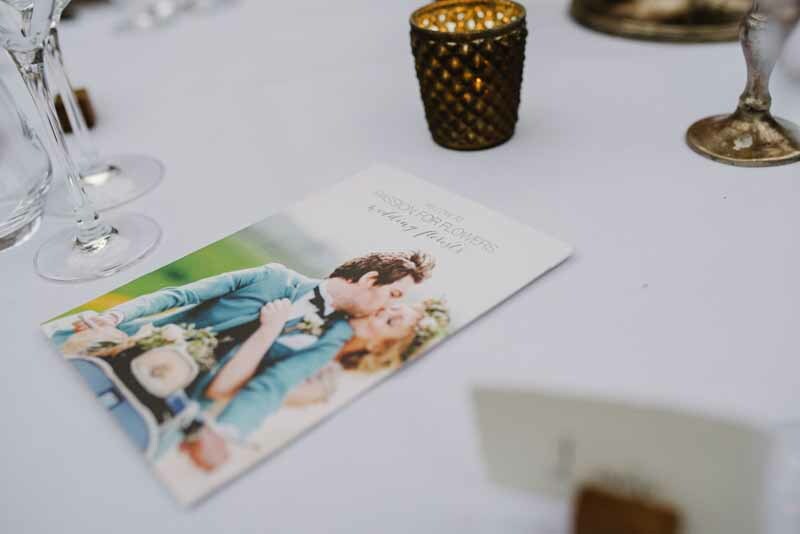 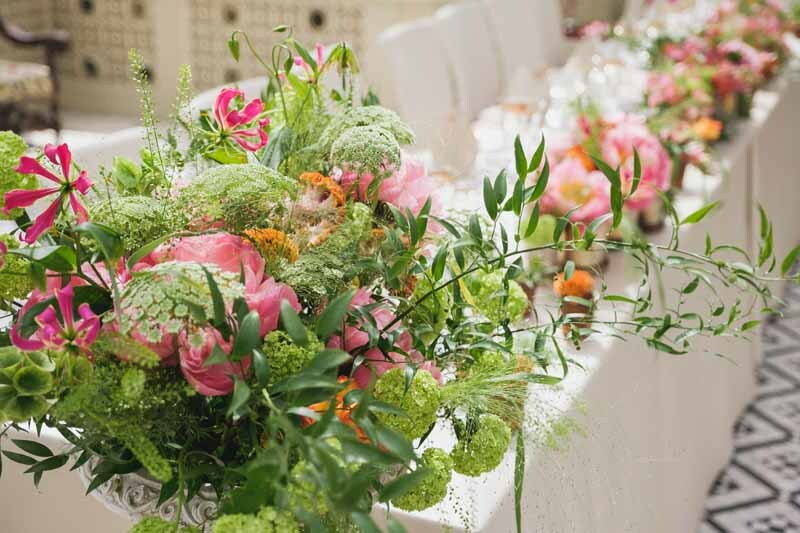 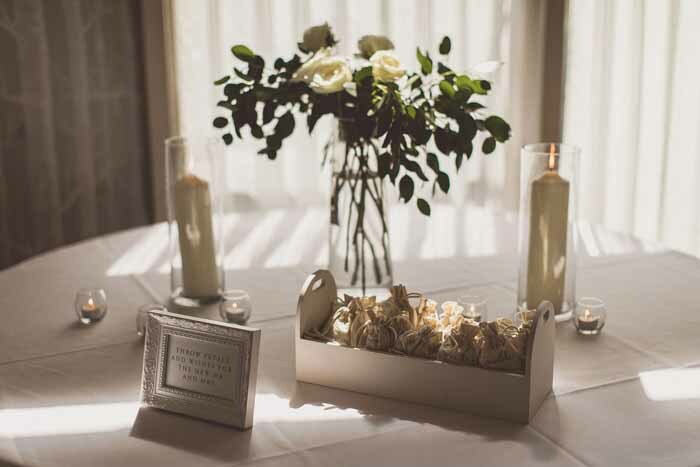 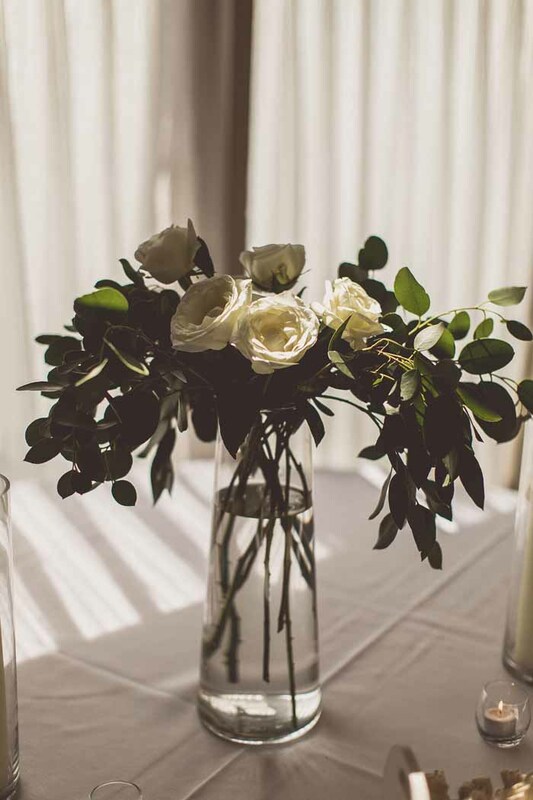 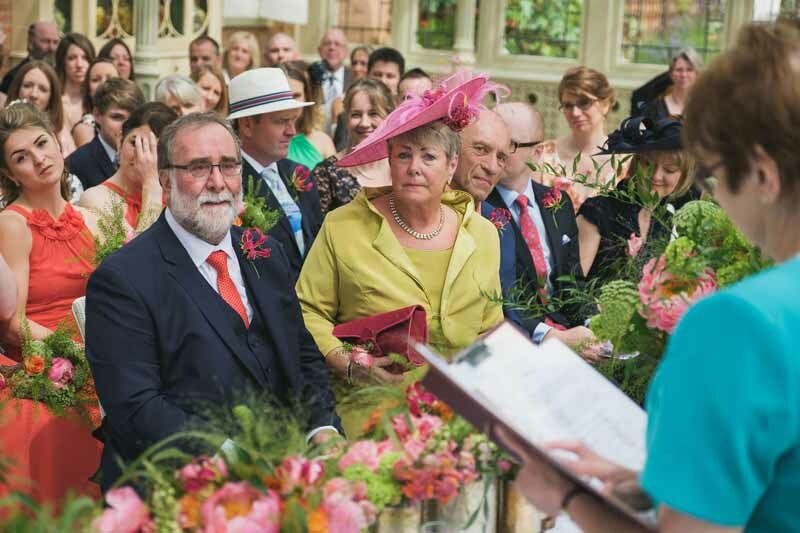 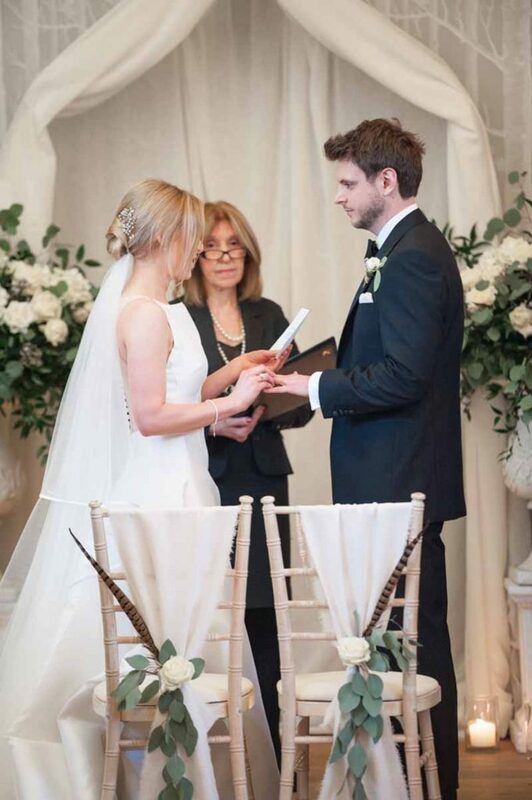 We designed the wedding flowers around a neutral cream, white, ivory and green colour scheme to create a simple, elegant wedding day for their family and friends many of whom had travelled over from Italy. 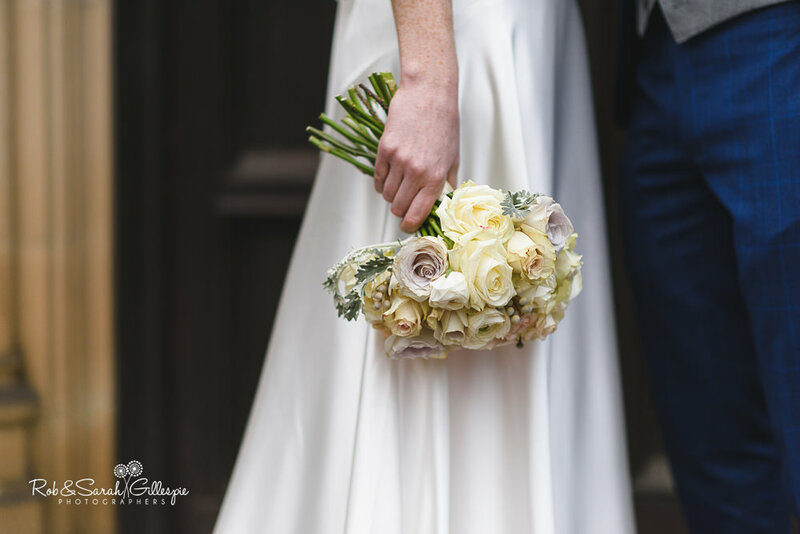 The bridal bouquet was created with scented Patience David Austin roses, frilly tulips and light touches of veronica and brunia for texture. 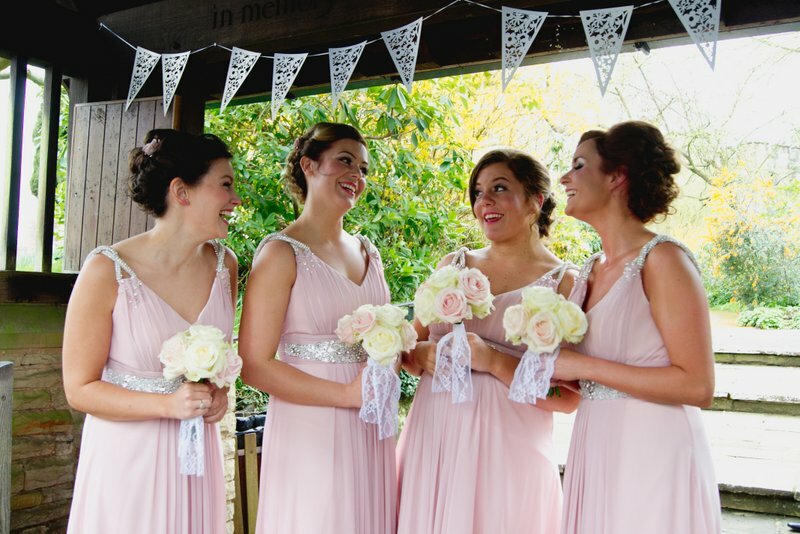 The bridesmaids wore elegant wrist corsages with ranunculus and snippets of brunia. 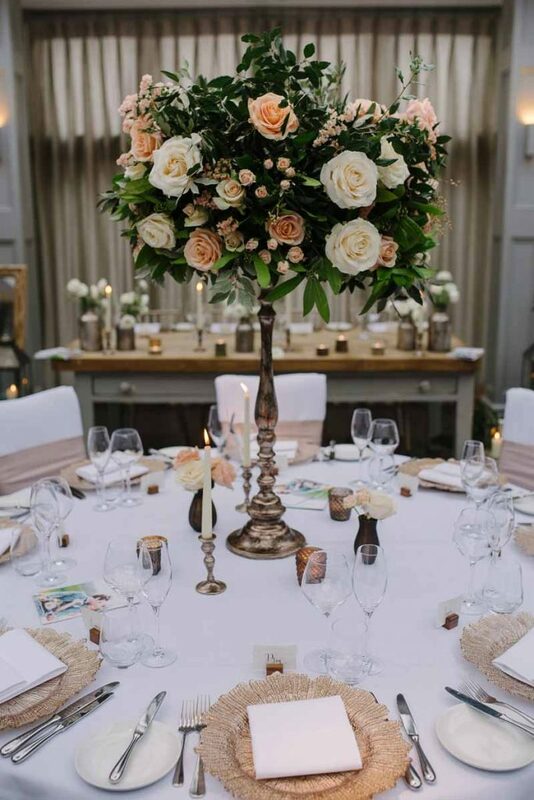 The Cloisters at Coombe Abbey is an elegant room and we decorated the tall silver candelabra with a cascading design of eucalyptus with roses, brunia, amaranthus and ranunculus. 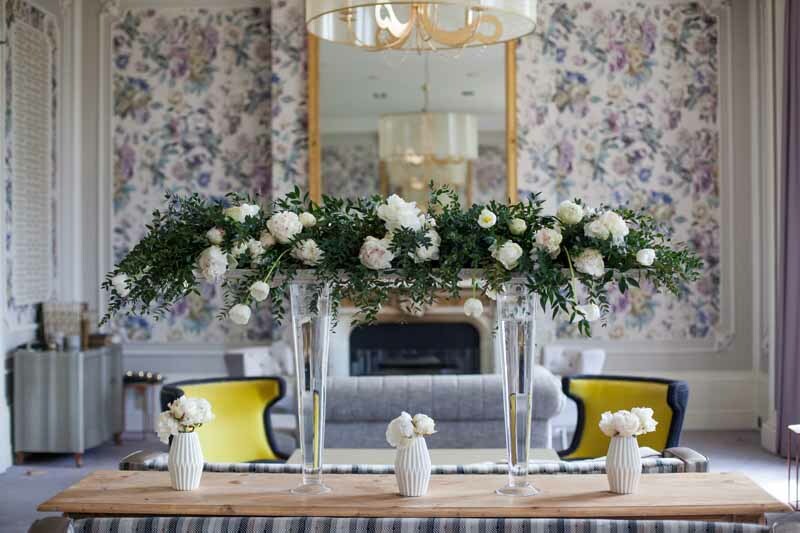 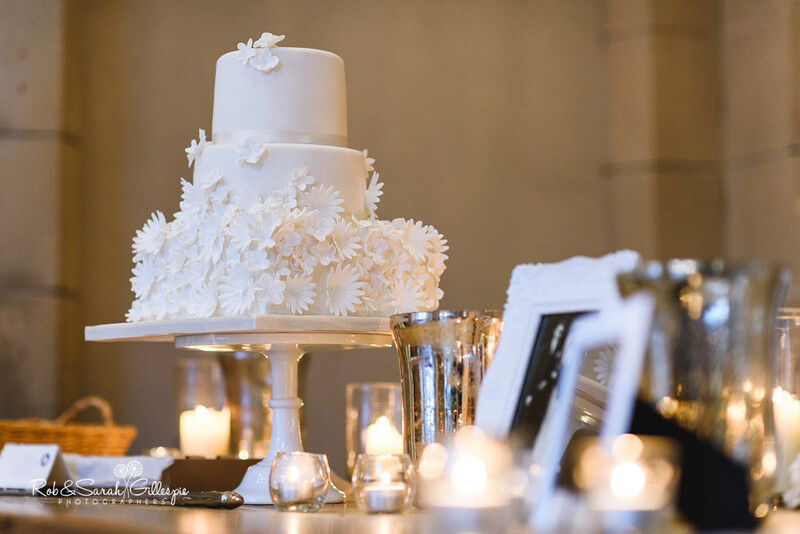 The design was completed with an elegant ring of flowers and foliage in creams, white and green. 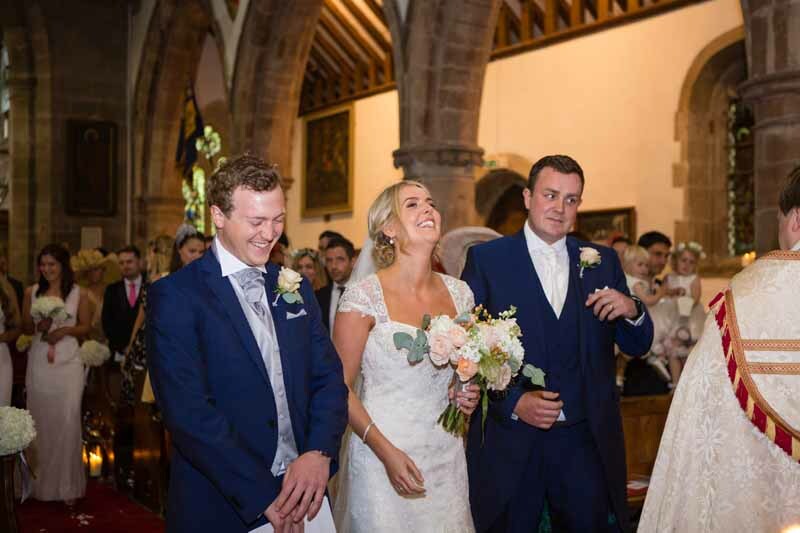 I was delighted to be chosen as the florist for Victoria and Ben’s mid-summer wedding at our local church in Hampton in Arden followed by a reception at the elegant Hampton Manor. 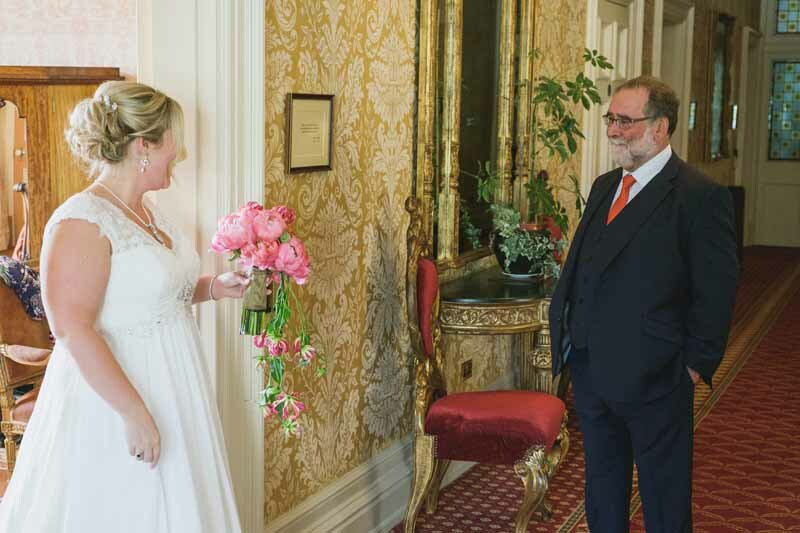 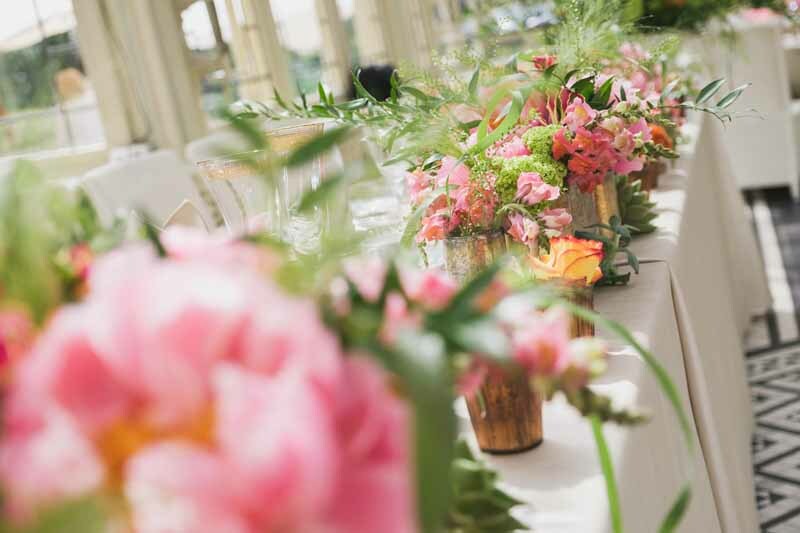 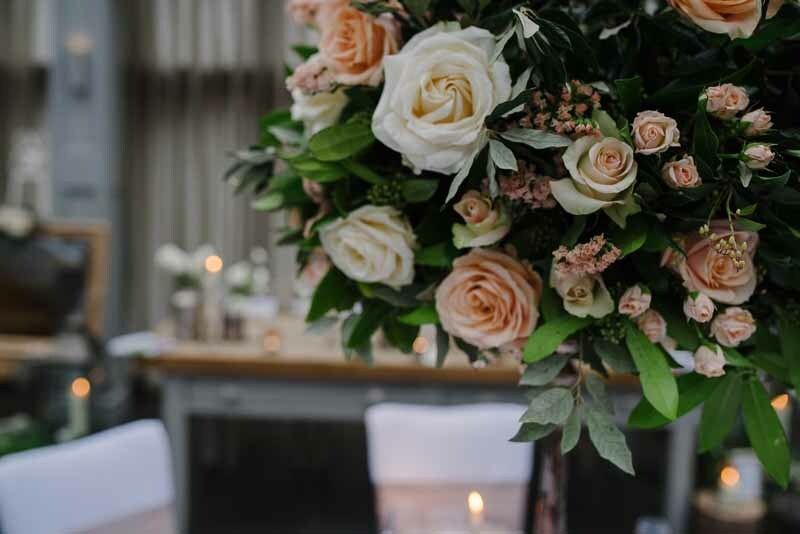 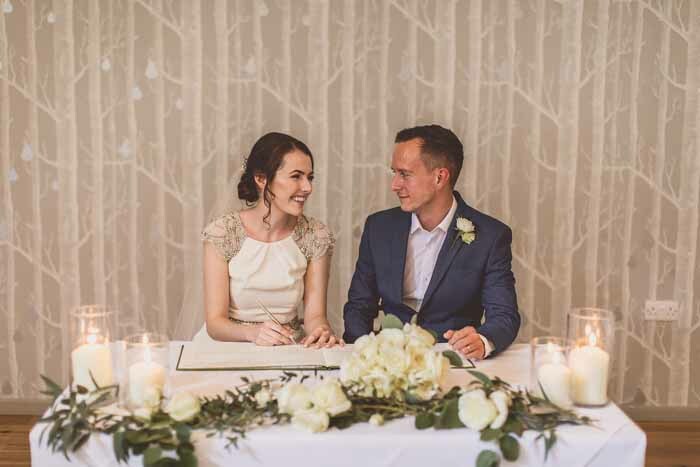 Victoria’s background in interior design meant she had clear views about the look for her wedding and we helped her create a wonderul day filled with an abundance of natural looking flowers in creams, soft blush and peach. 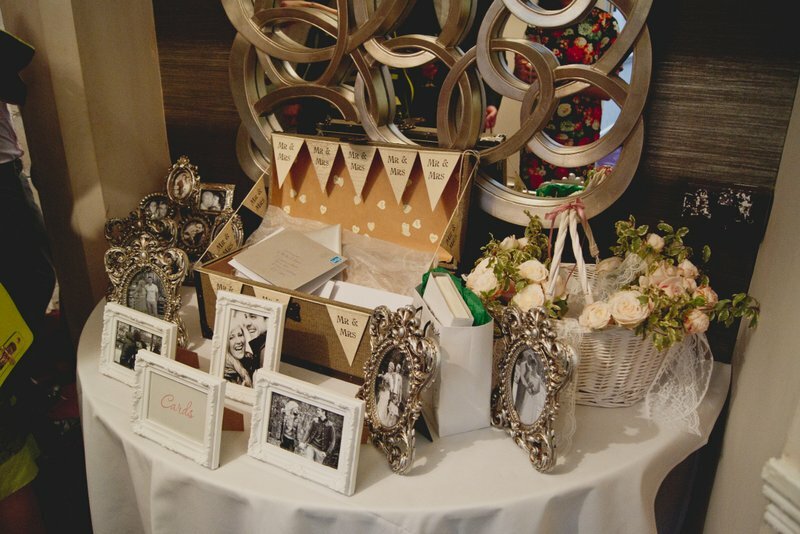 She came well prepared to our consultation with plenty of images and her pretty Save The Date as inspiration. 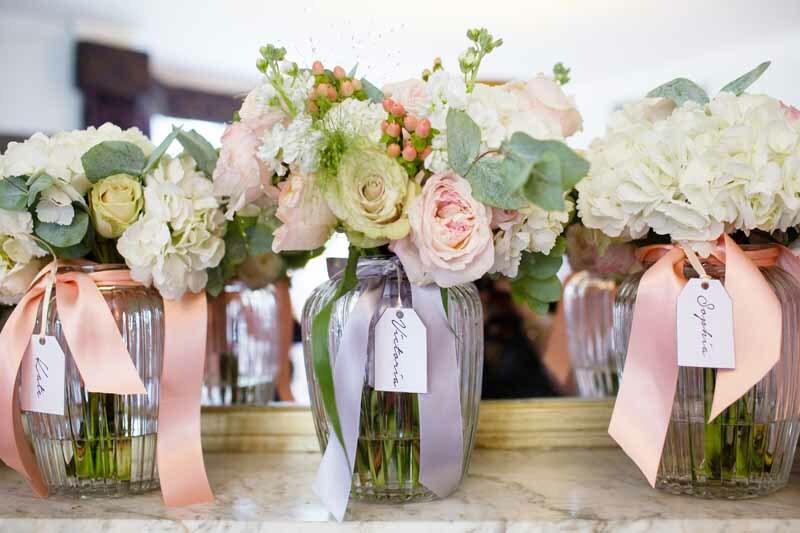 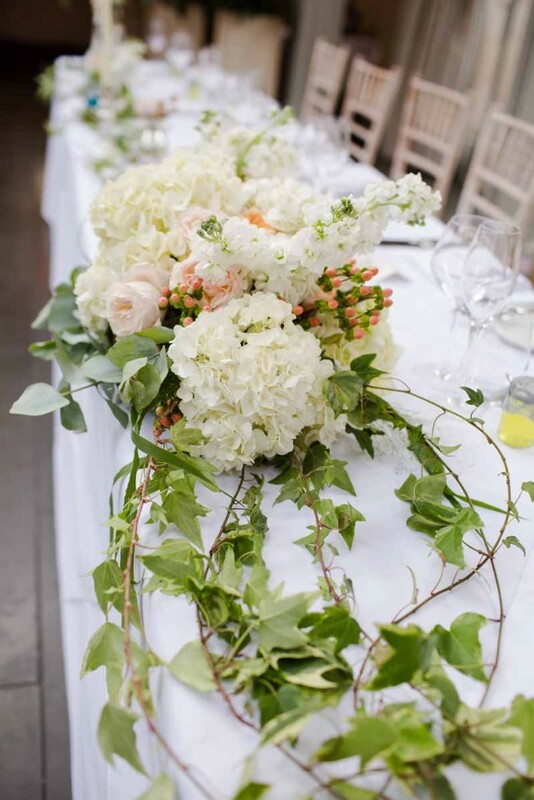 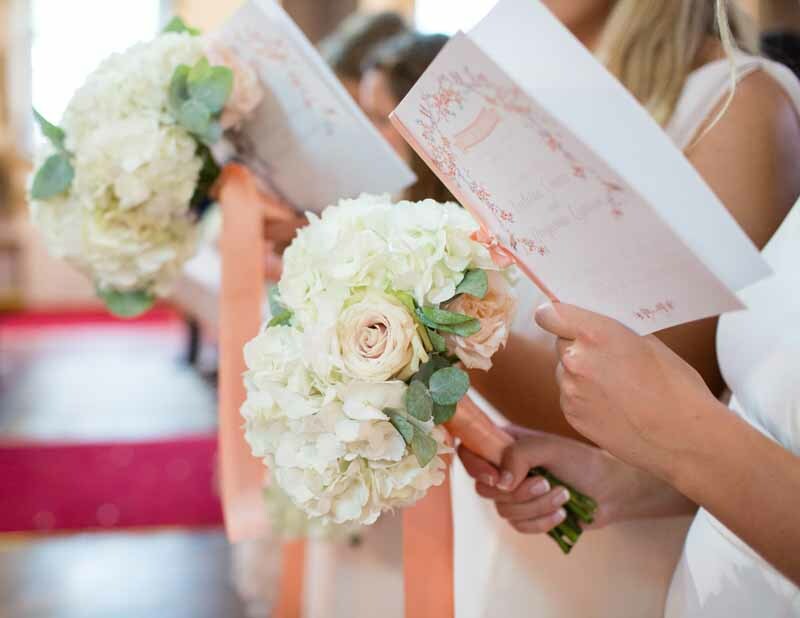 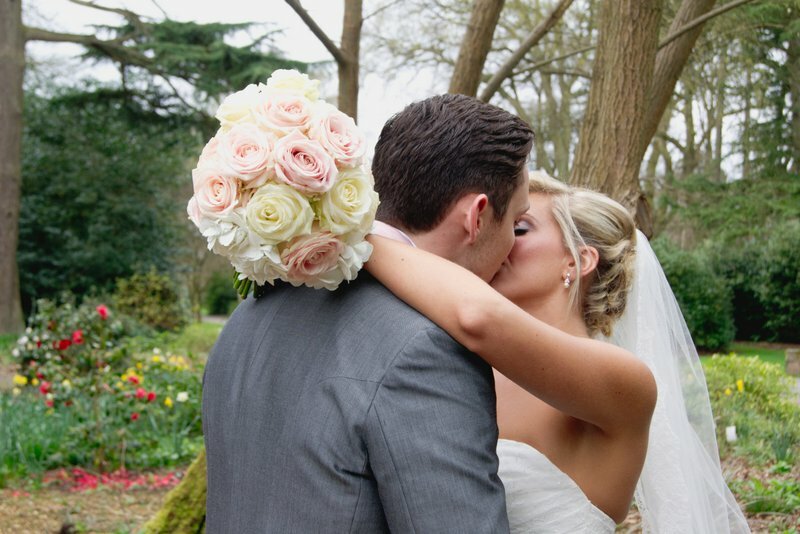 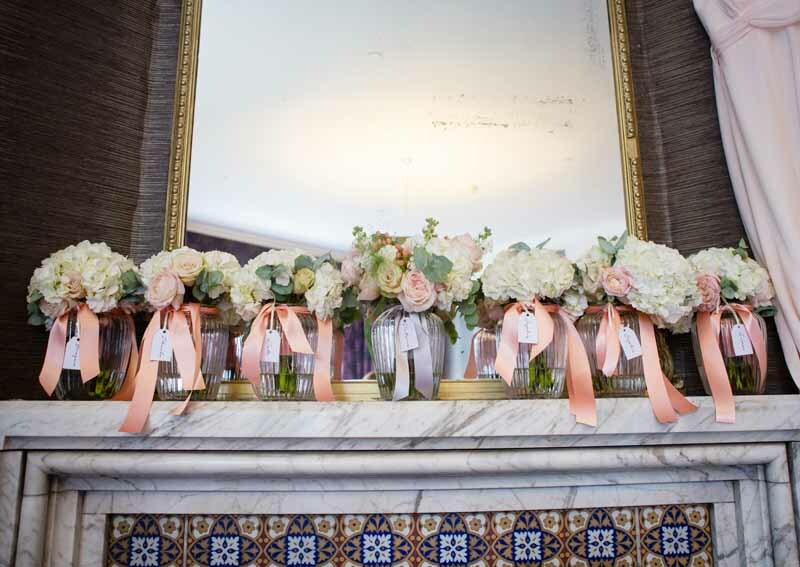 The hand tied bouquets were a soft mixture of peach, cream and blush with highlights of grey eucalyptus. 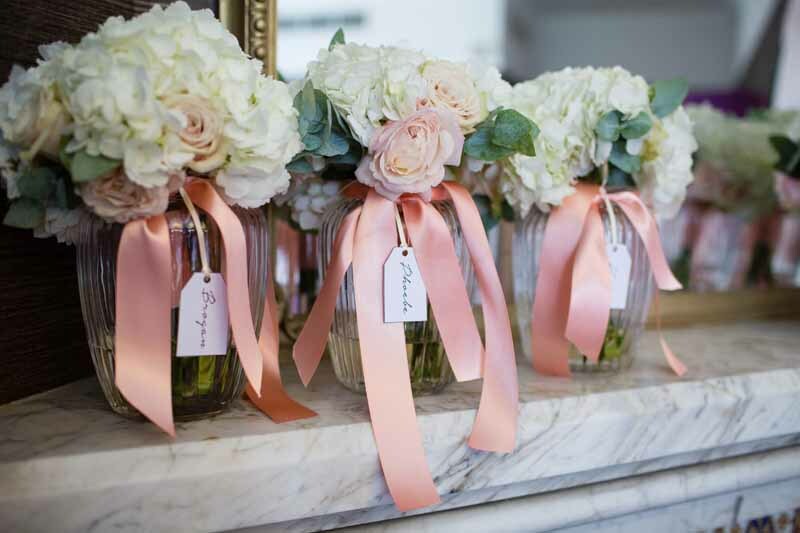 The bouquets were presented in elegant glass vases as a gift for the bridesmaids. 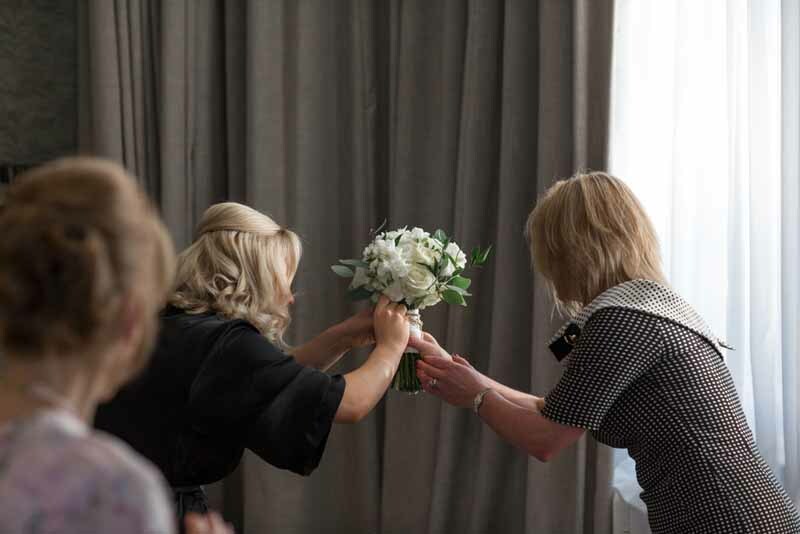 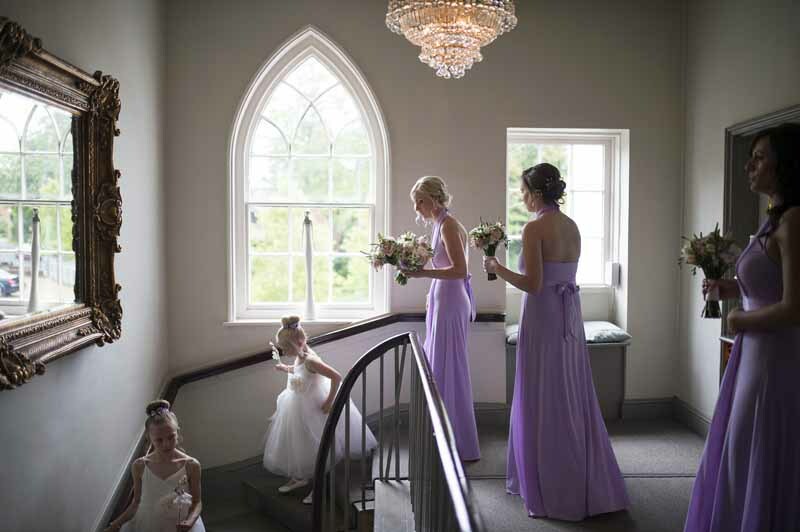 I just love the trailing ribbons and this image of the bouquets caught as the girls were getting ready at Hampton Manor. 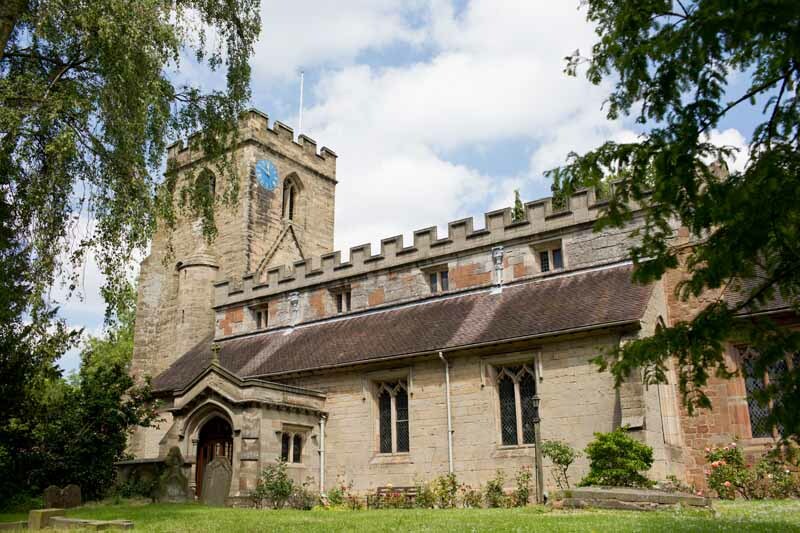 Hampton in Arden Church is a village church with a gate leading back into the grounds of Hampton Manor. 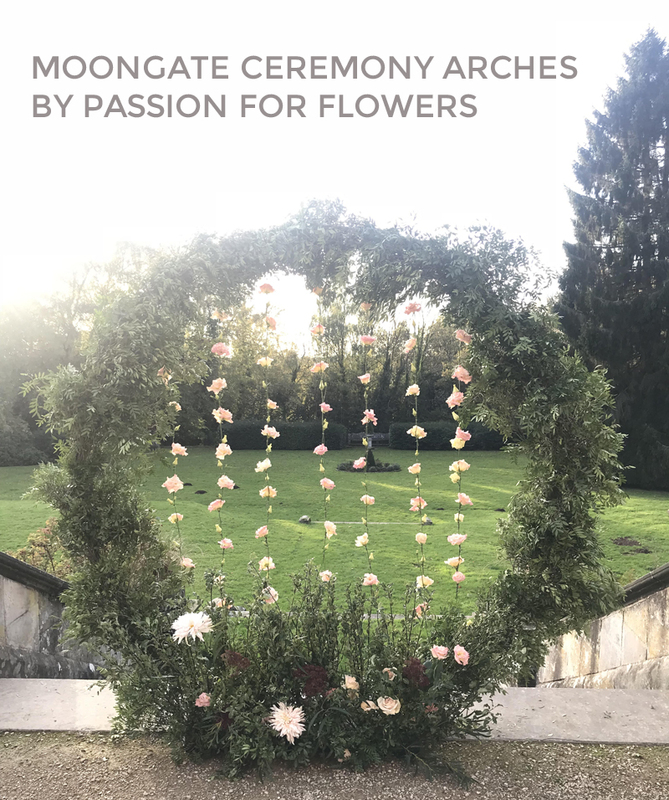 The lichgate is the perfect place for photographs and is perfectly set off with an asymetrical garland of flowers. 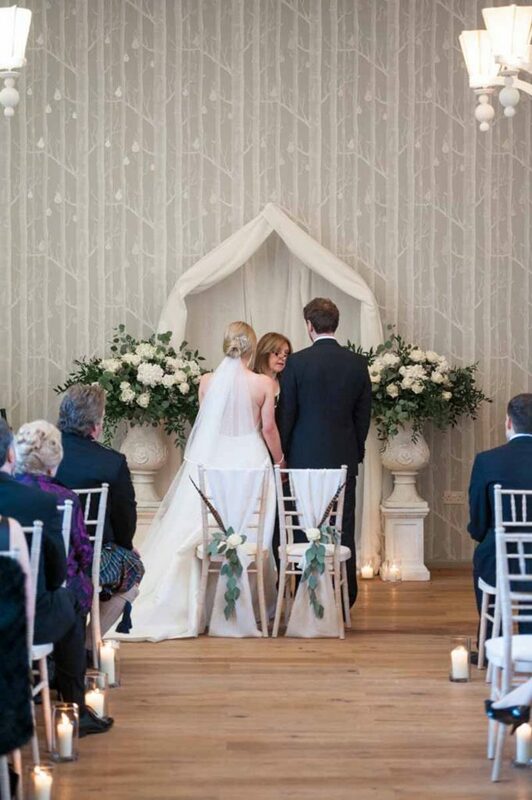 Pew ends of blousy hydrangeas and elegant silver lanterns framed the aisle. 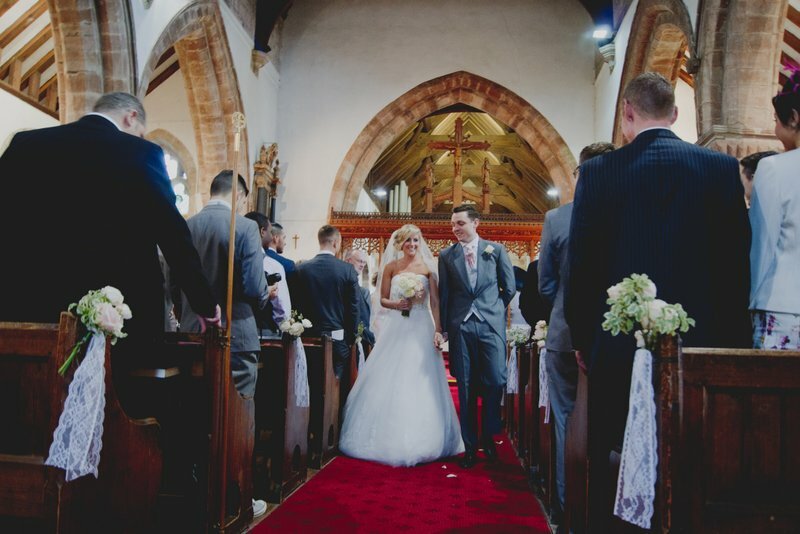 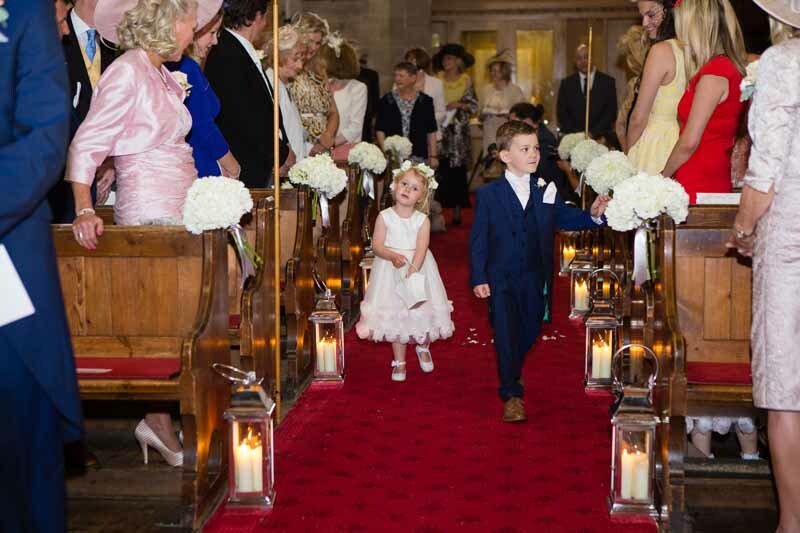 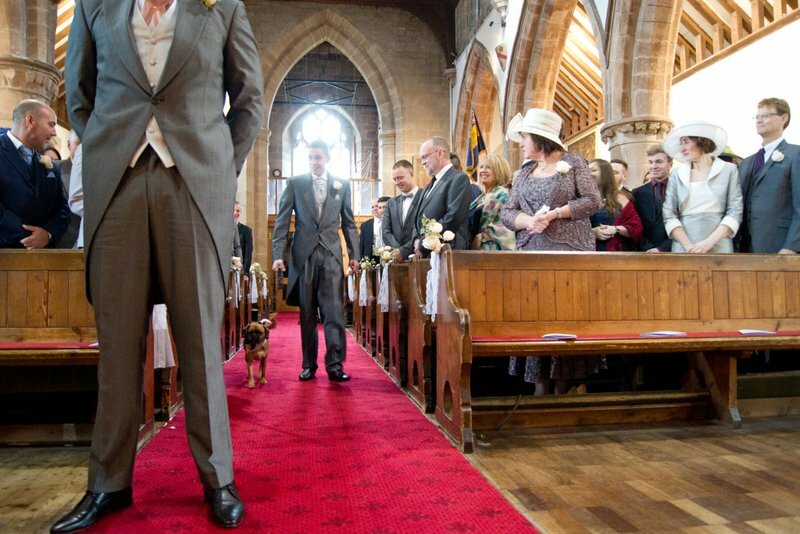 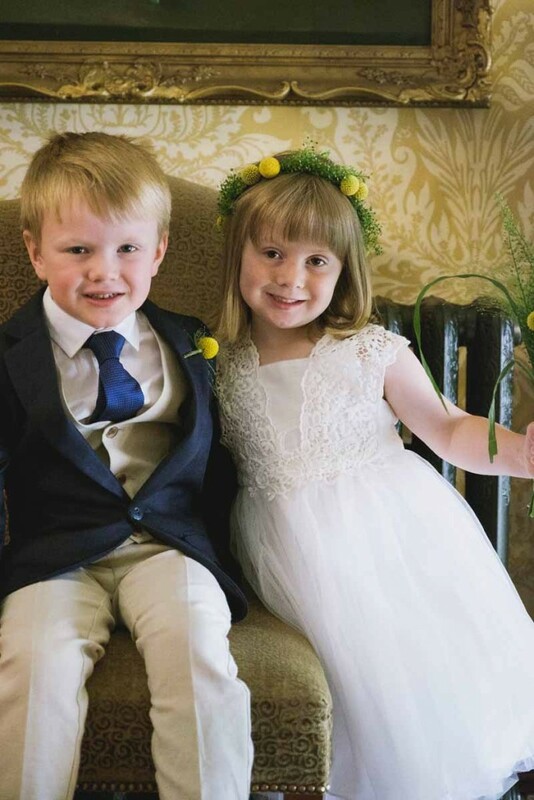 I just love the images captured in church, the page boy and flower girl look adorable and the cathedral veil is so soft and dreamy. 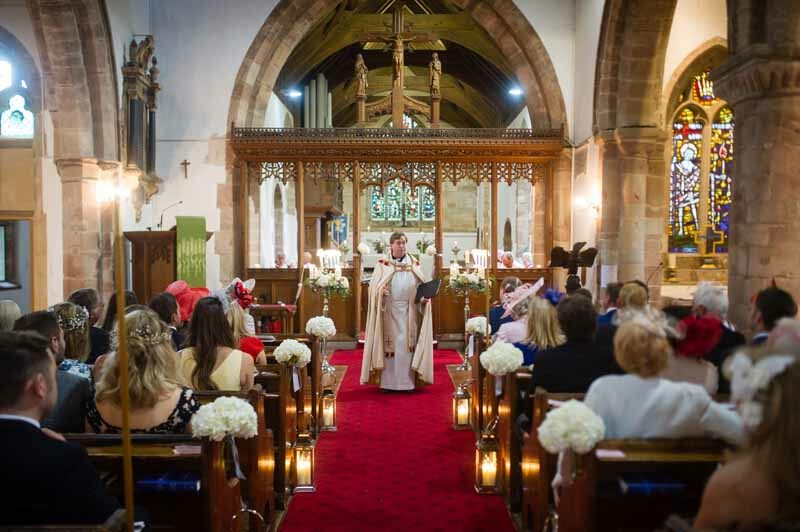 Duncan always has his congregation in his hands and is such a wonderful vicar, our couples tell us he holds his get togethers with them in the local pub. 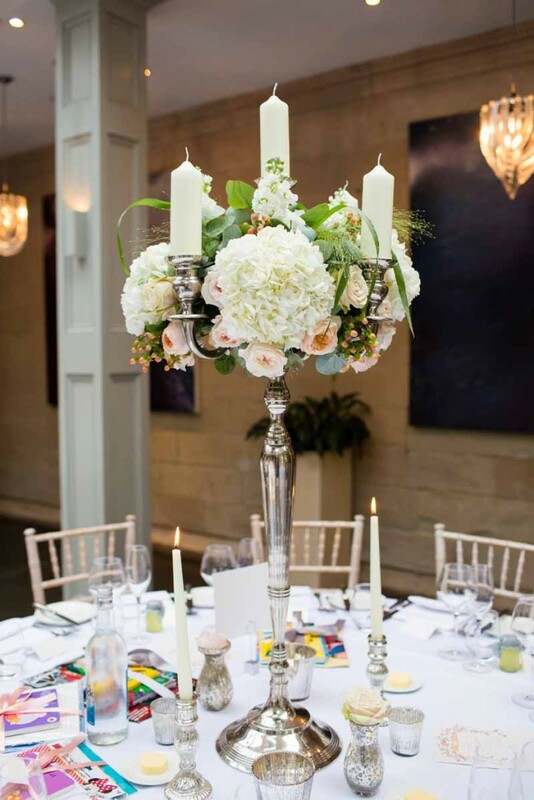 The elegant setting of Elizabeth’s Court at Hampton Manor was beautifully set out with a mix of high and low centrepieces. 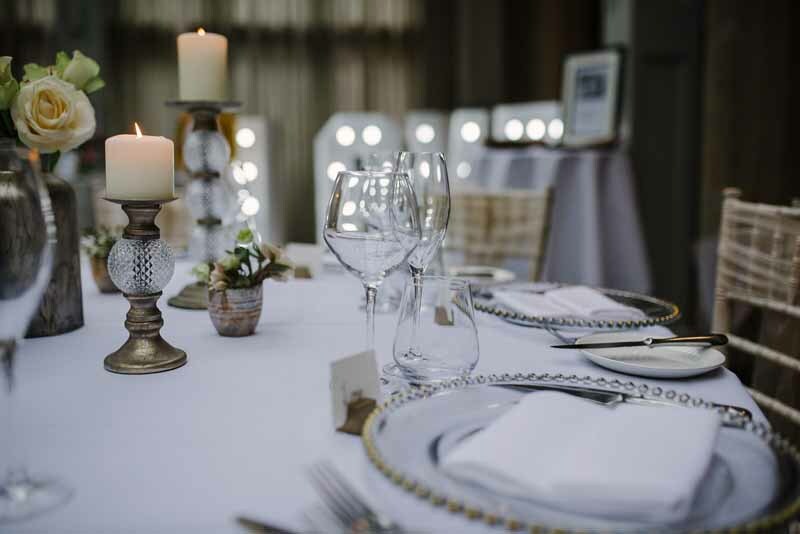 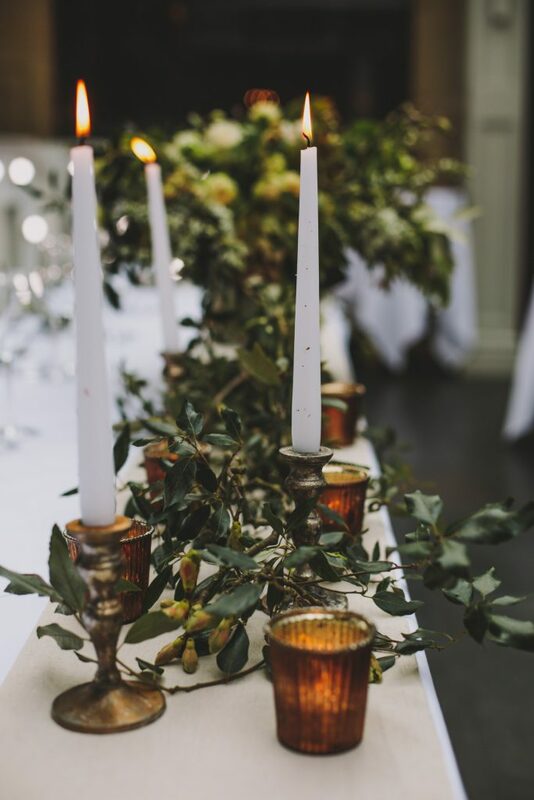 The tall silver candelabra had posy vases, candelsticks and large votives in mercury silver set out around the base to create a timesless look to the tables. 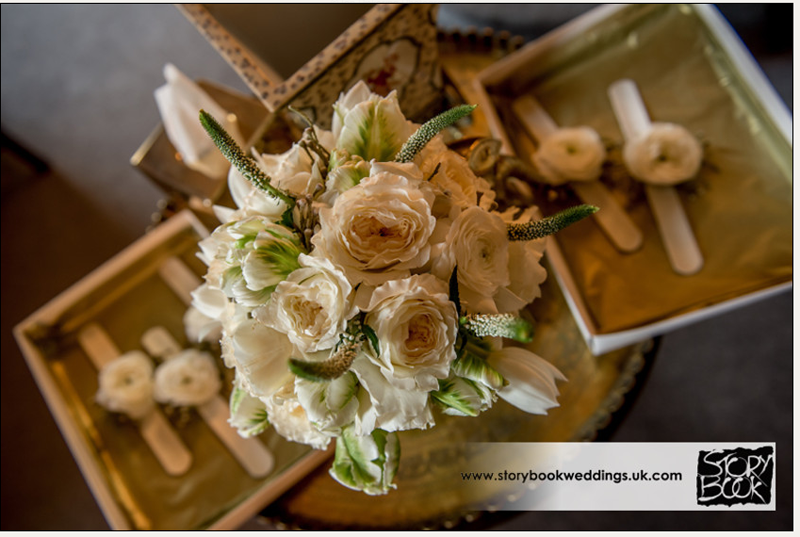 The silver footed bowls also had a lush arrangement with posy vases filled with scented roses, elegant candlesticks and votives to surround. 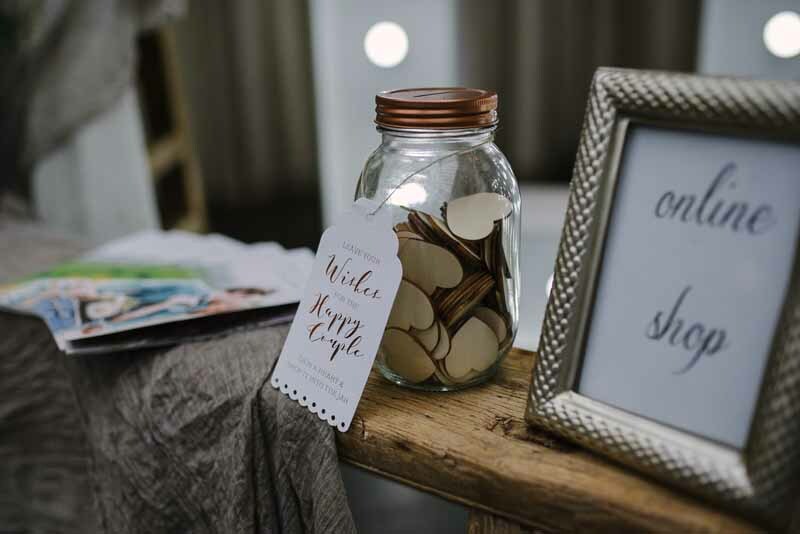 Victoria had created some lovely personal touches with shots as the favours, fun gifts for the children and so much attention to detail. 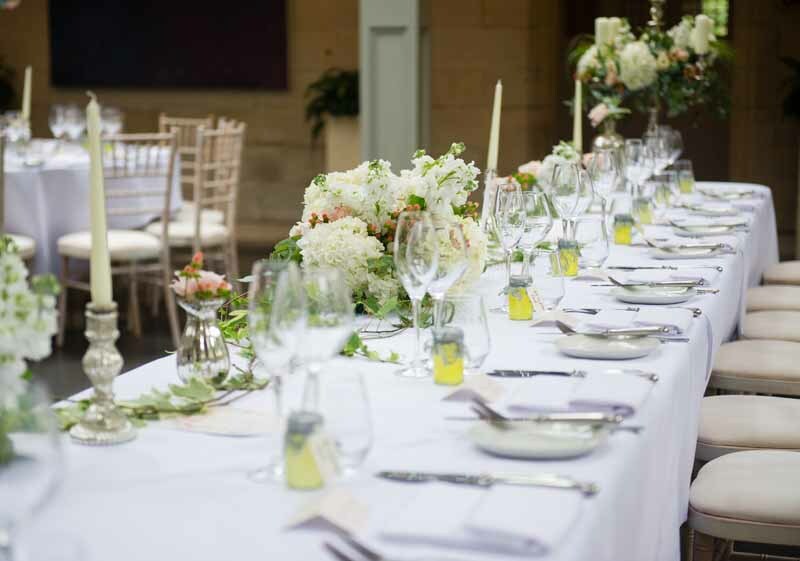 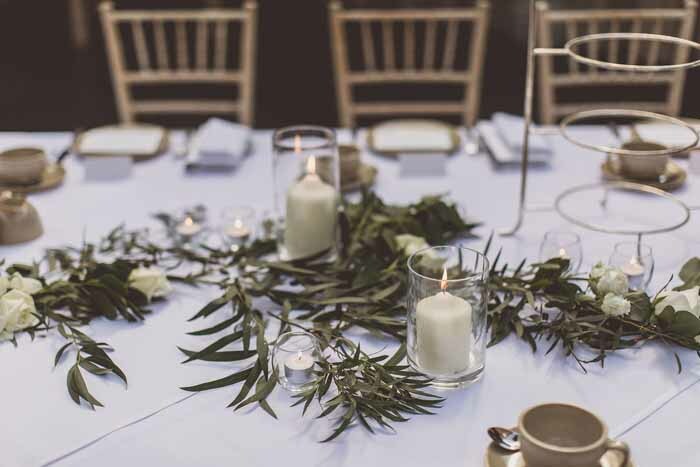 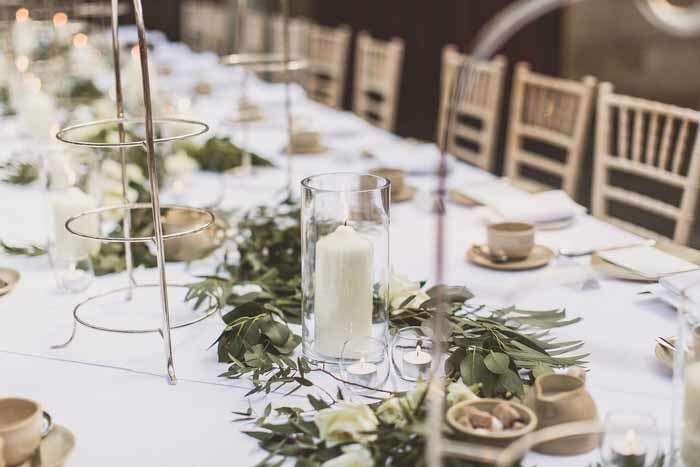 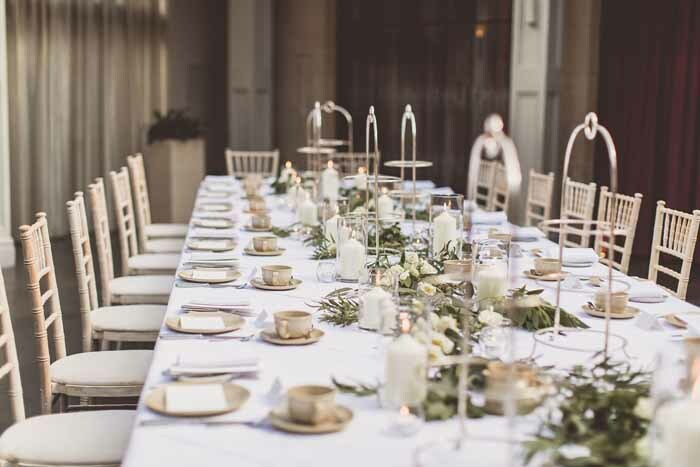 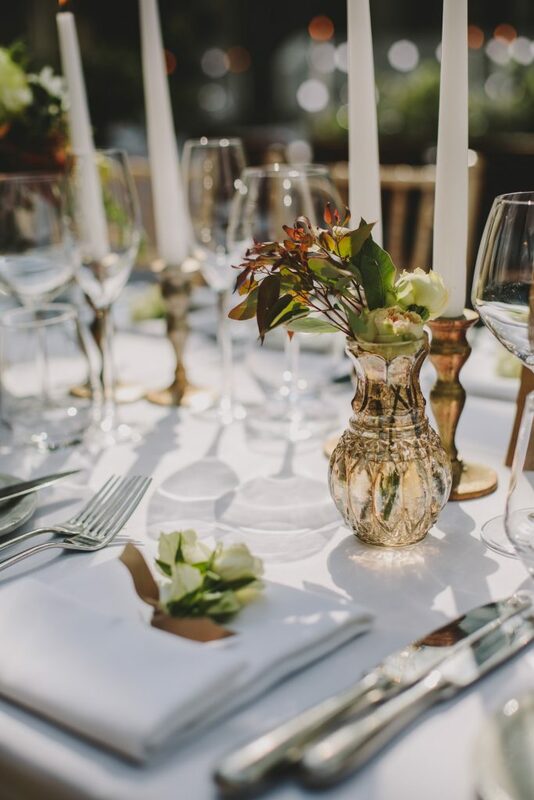 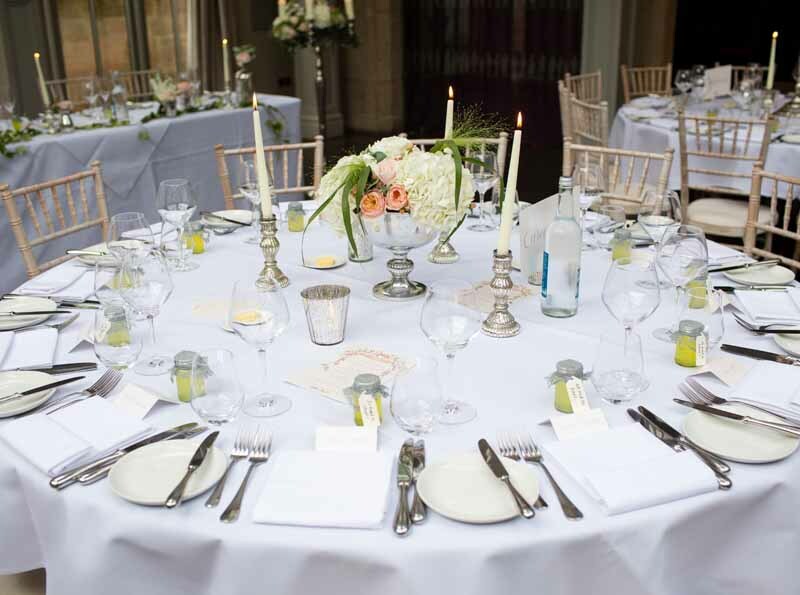 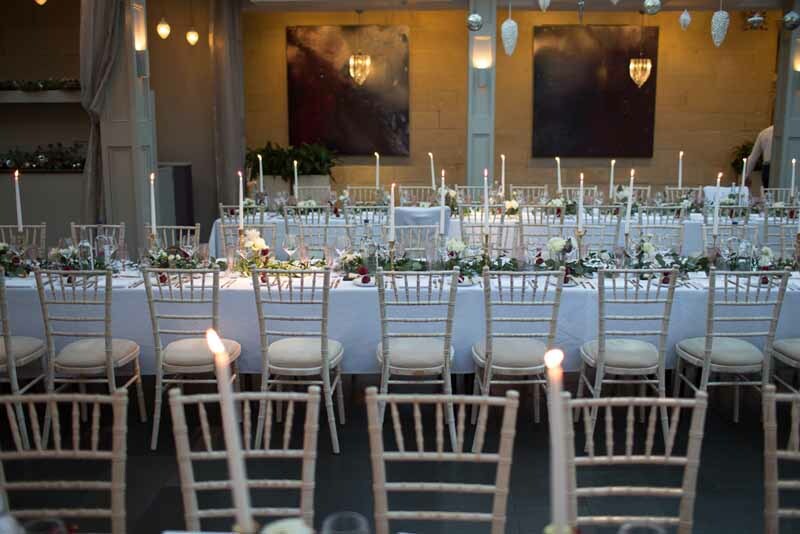 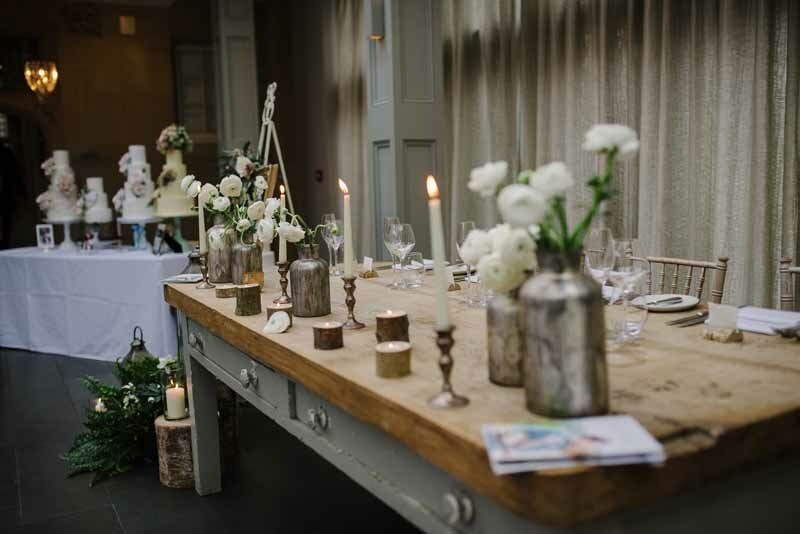 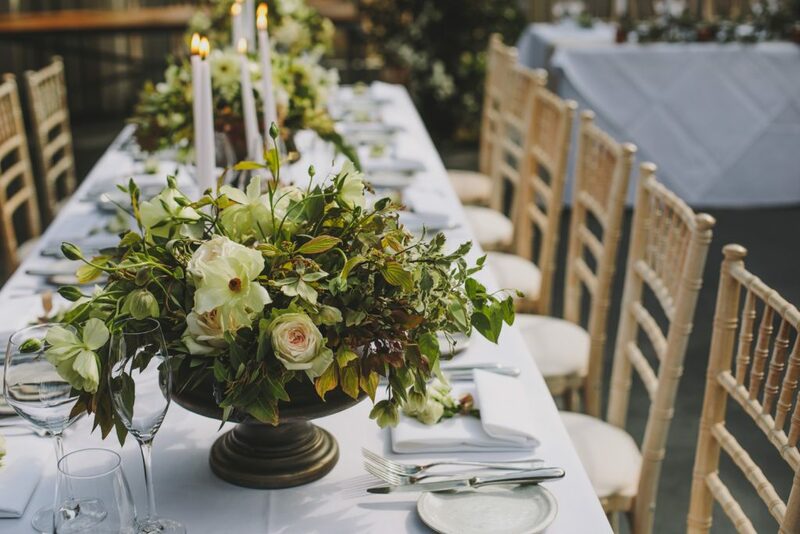 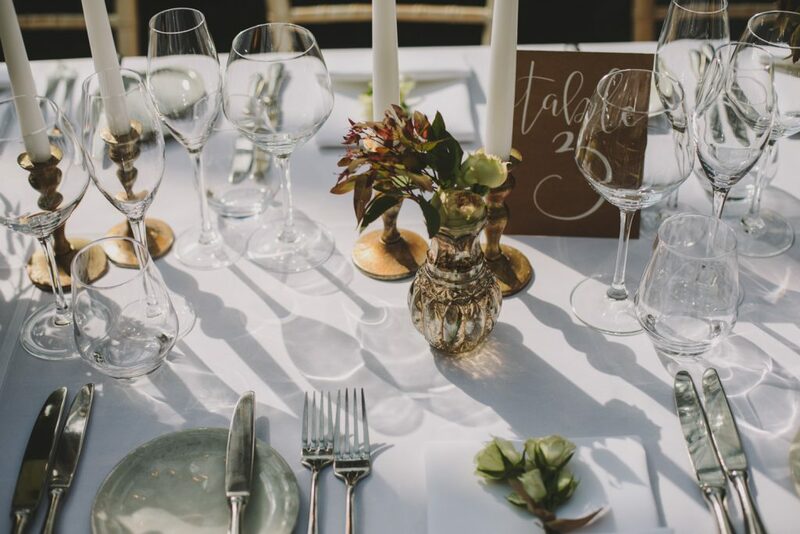 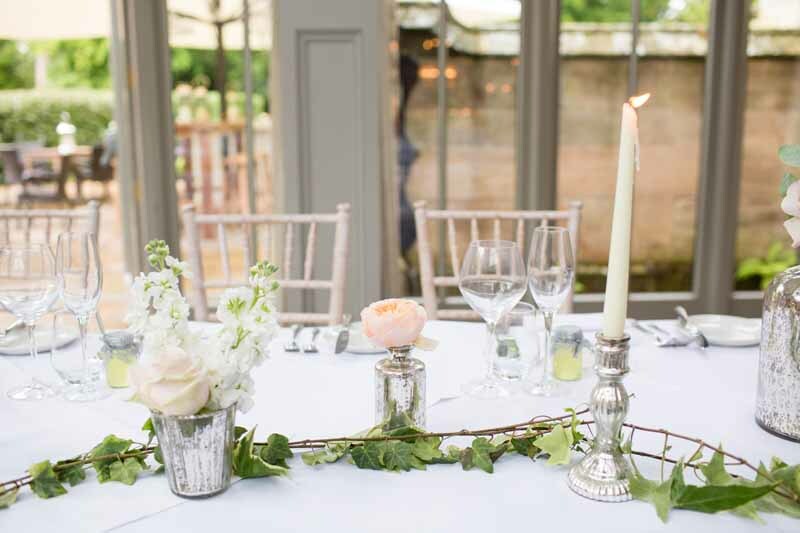 This elegant top table is one of our favourites with tall candelabra with free form flowers to frame the table and a lush centrepiece with trailing ivy along the table,a mix of mercury silver posy vases, elegant candlesticks set out along the table. 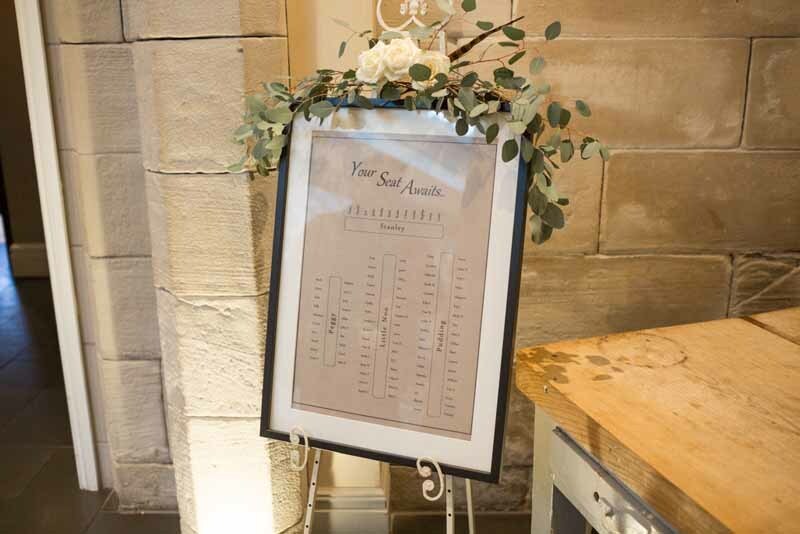 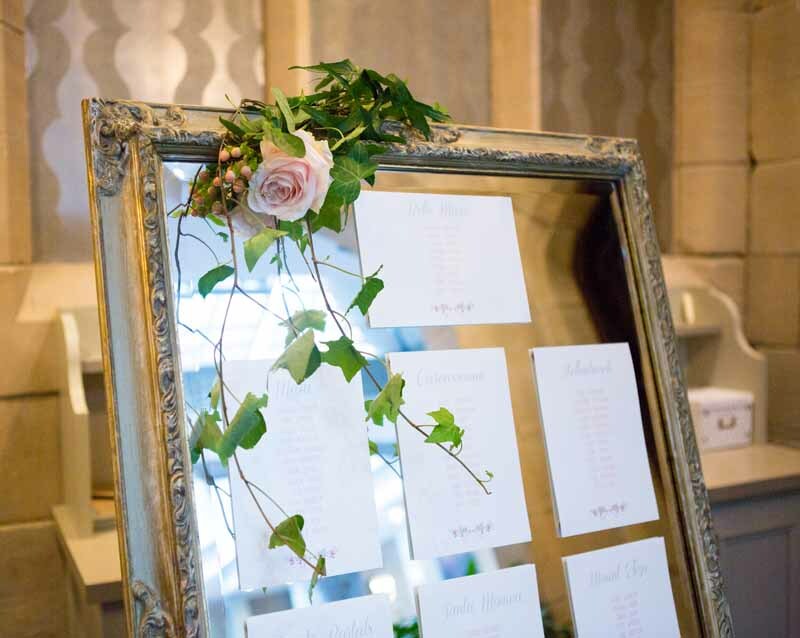 The mirror table plan continued the elegant look for the wedding. 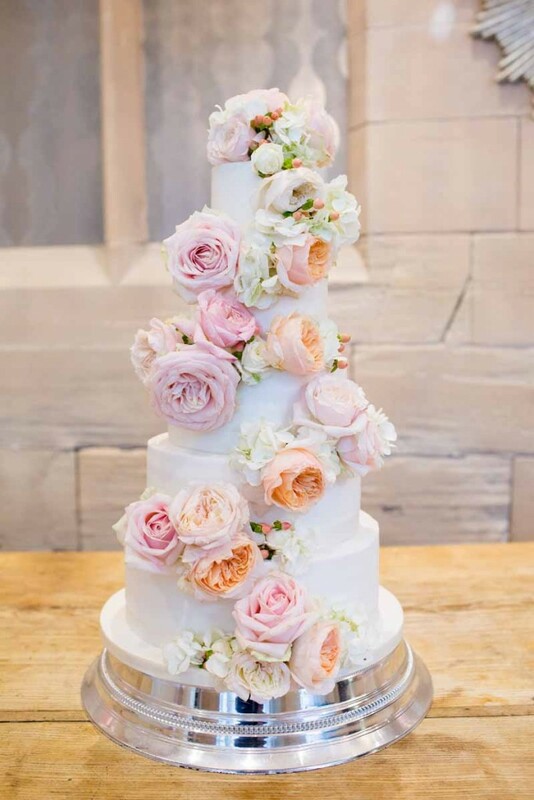 The flowers really are the icing on the cake and we were thrilled to decorate this wedding cake with an abundant mix of roses and hydrangea. 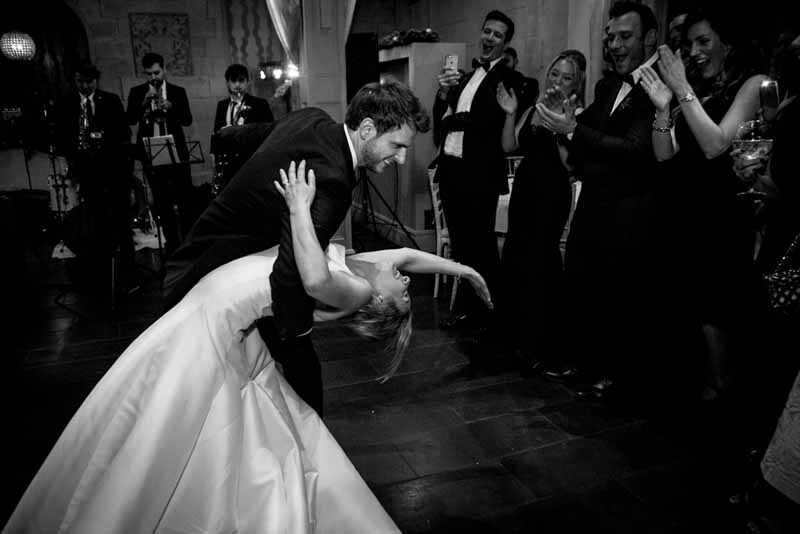 Highlights v.2 from Music Wedding Videos on Vimeo. 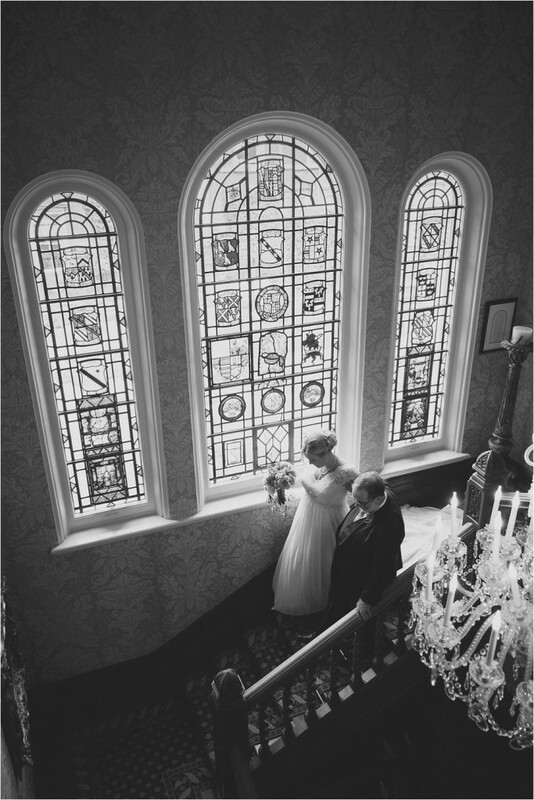 A wedding from our archives today. 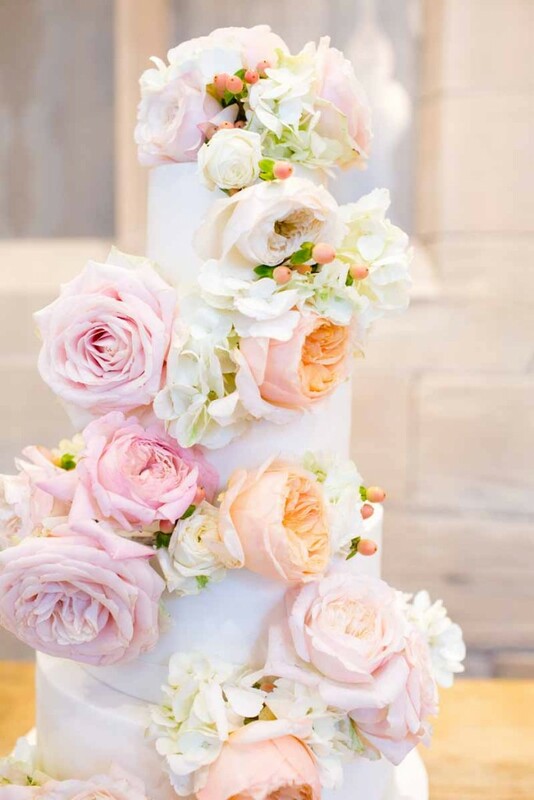 This spring wedding at Hampton Manor was so pretty, with blush pink Sweet Avalanche Roses and lots of mercury silver details. 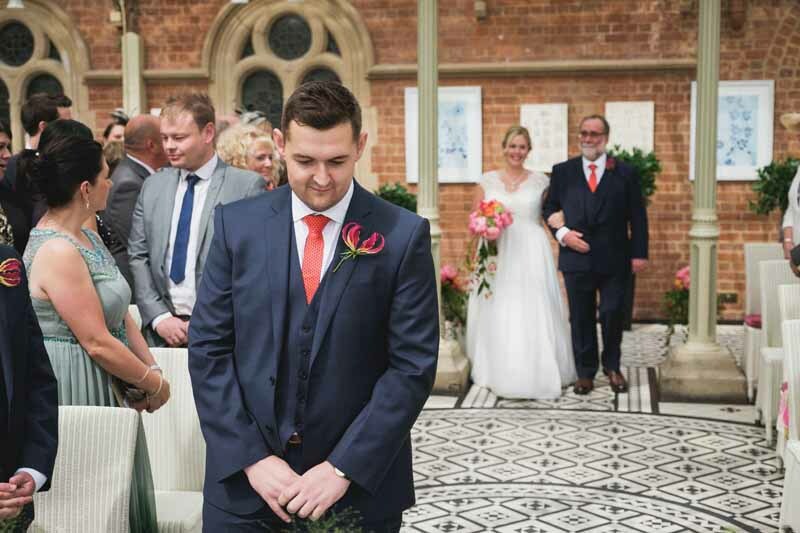 Lotty and Dan were married at Hampton Church in April, very local to Passion for Flowers and a short walk through the gardens to Hampton Manor. What a perfect setting for a spring wedding. 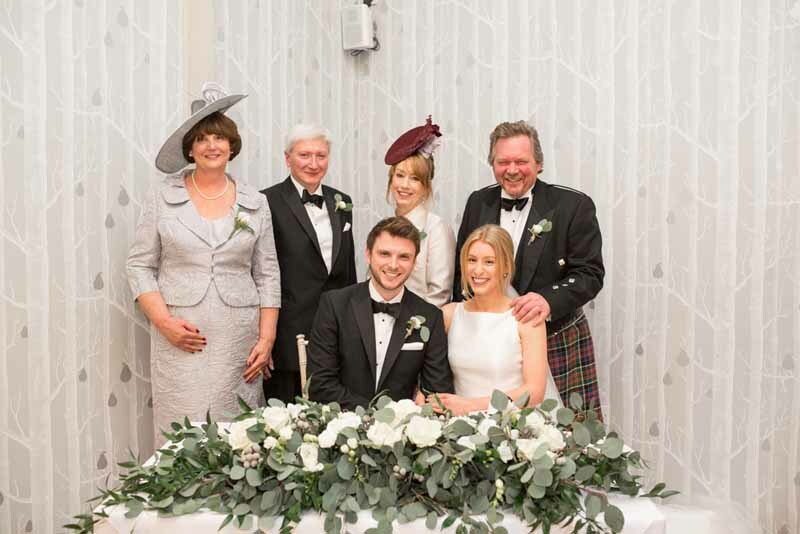 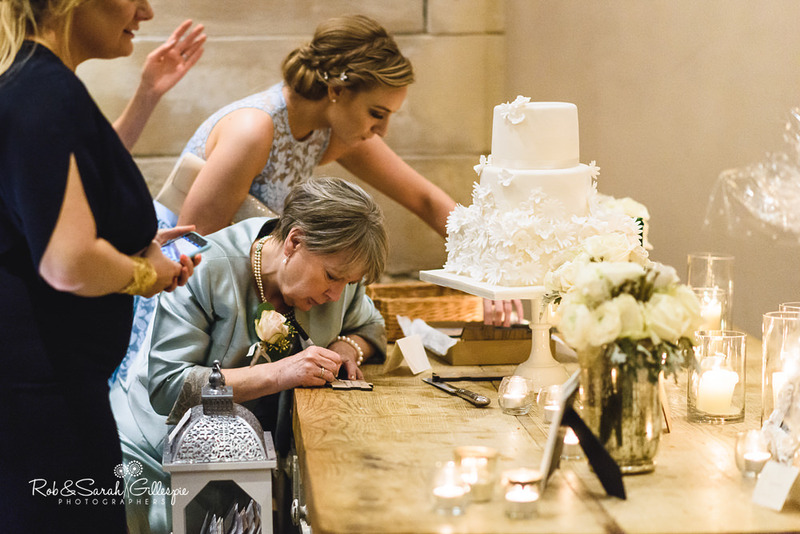 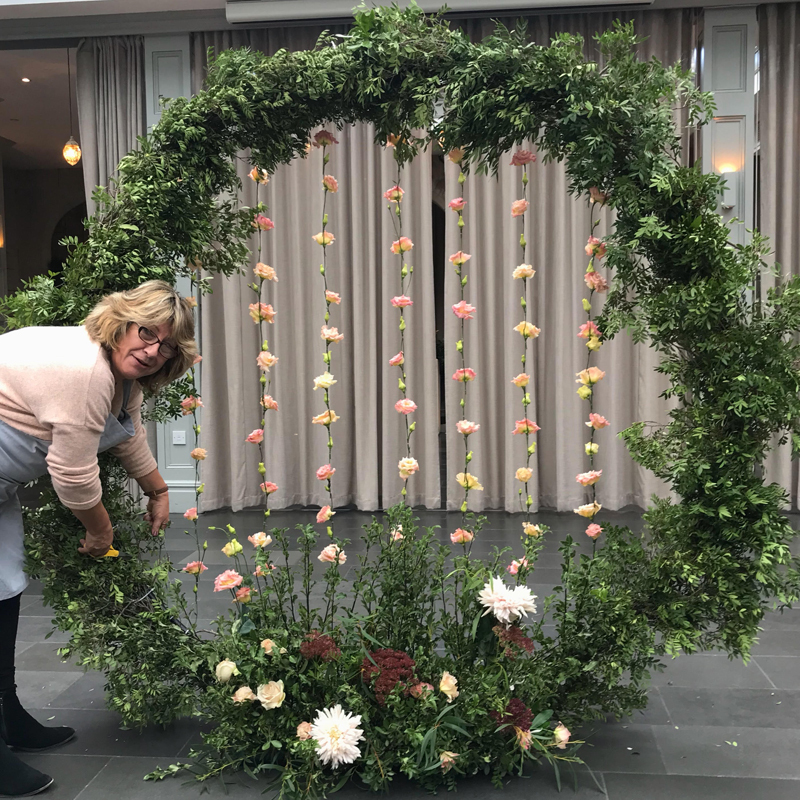 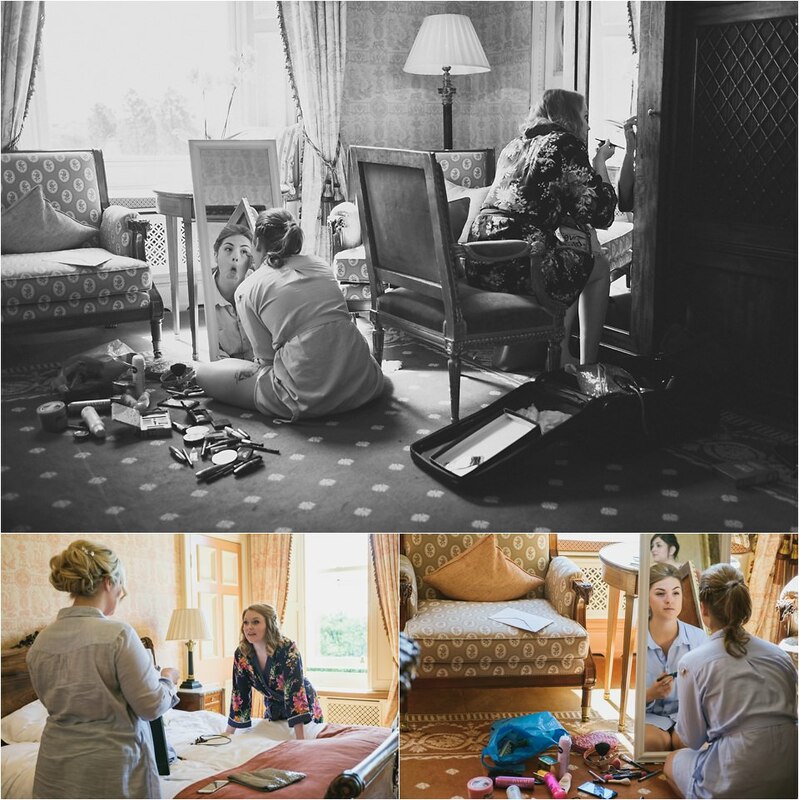 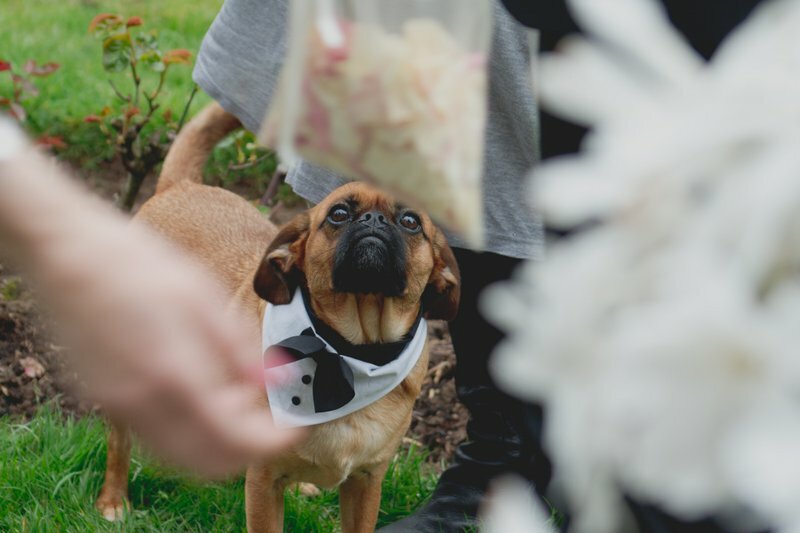 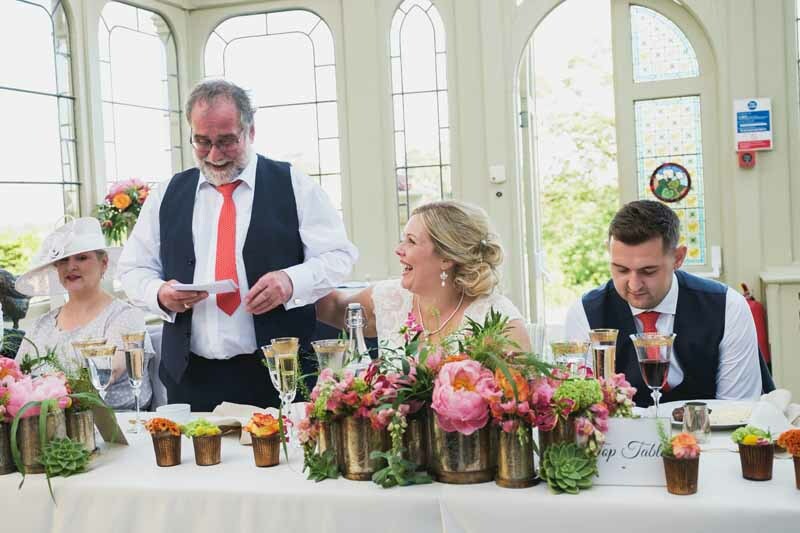 Over the months we met with Lotty and her mum to prepare ideas and to create the look for Lotty and Dan’s romantic pastel pink and mercury silver wedding at Hampton Manor. 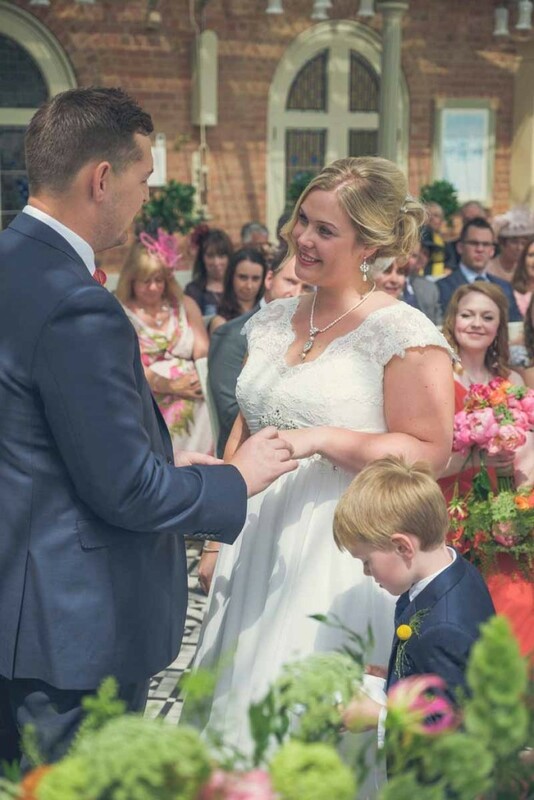 Lotty runs a dance school and wanted to use the Beauty and The Beast fairytale as a thread running through her wedding. 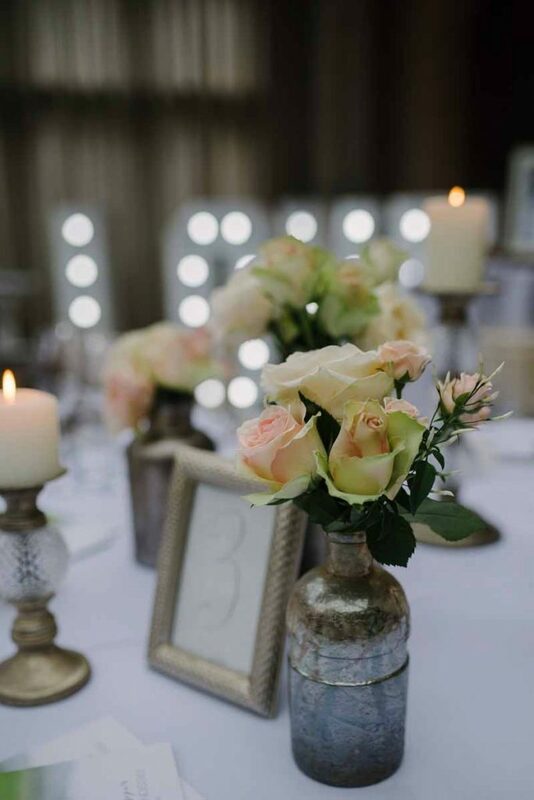 We agreed on pastel pink roses as the key blooms mixed with touches of white and ivory and lots of sparkle and candlelight. 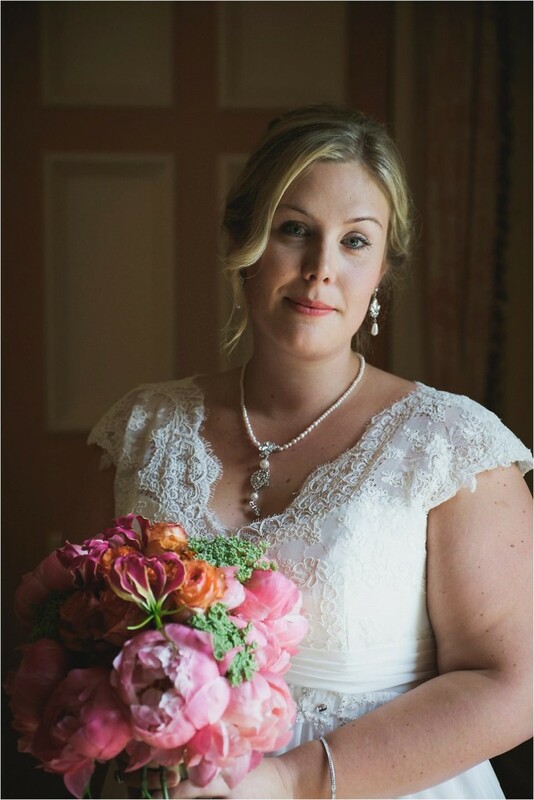 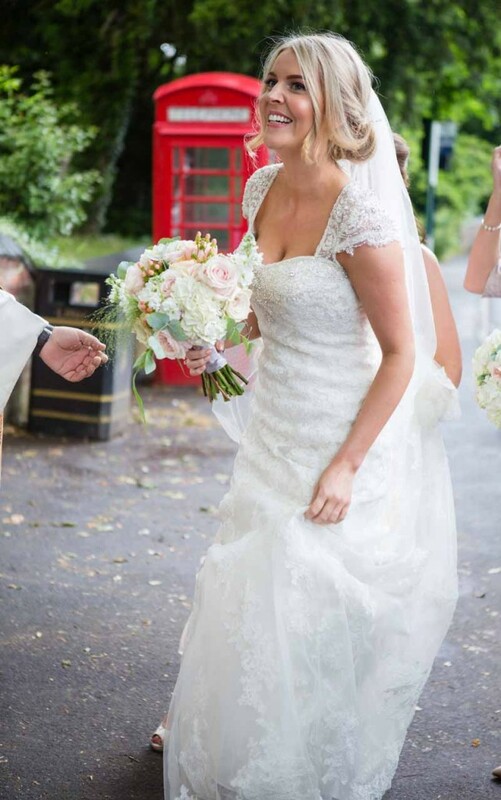 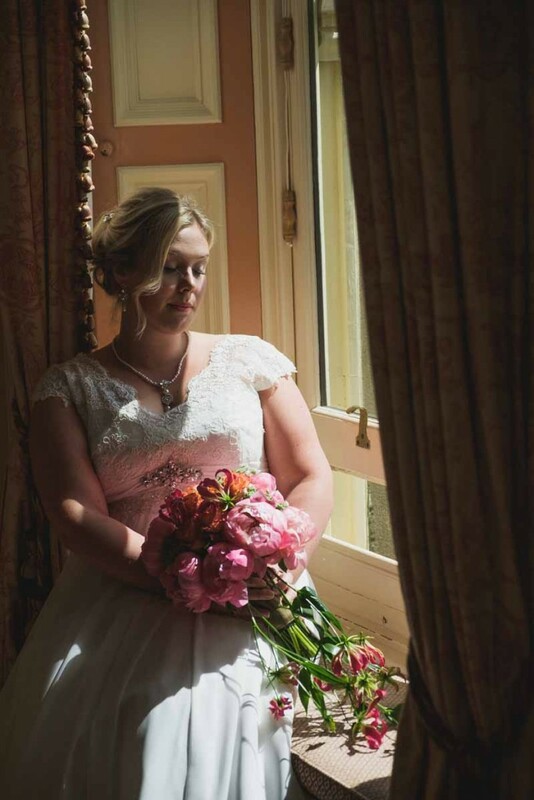 Lotty had a gorgeous lace wedding dress and so we created a romantic feminine bouquet in blush pinks a complete change from her everyday image.Touches of hydrangea softened the look. 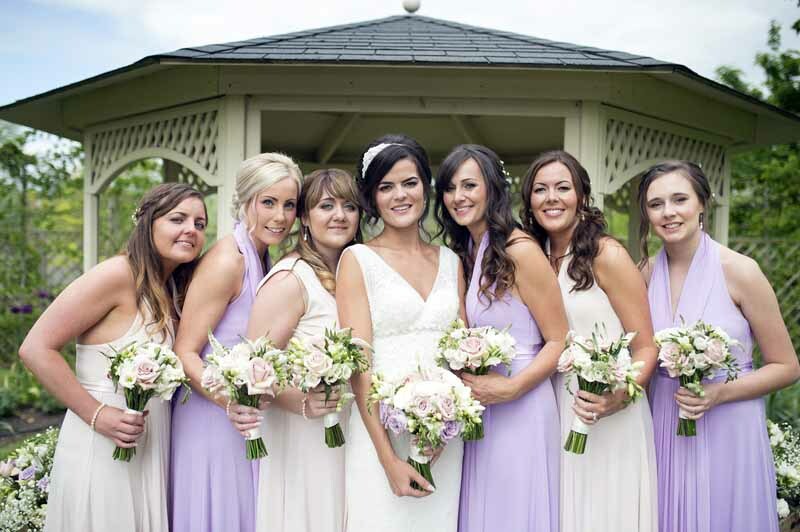 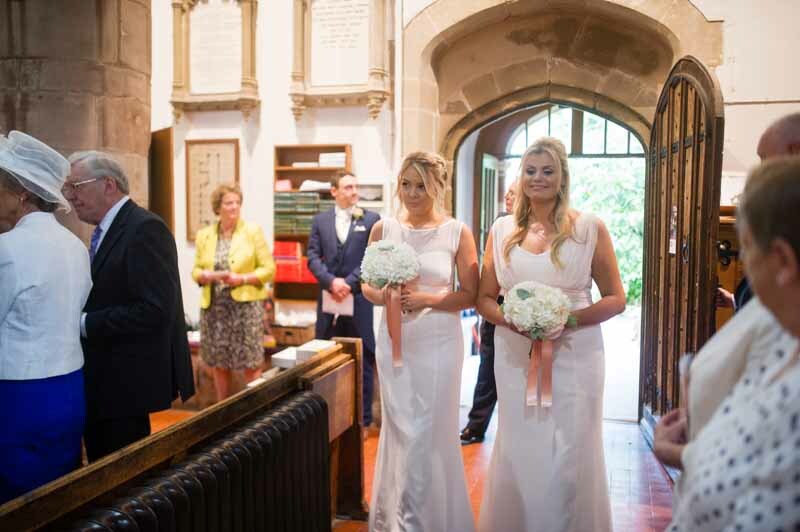 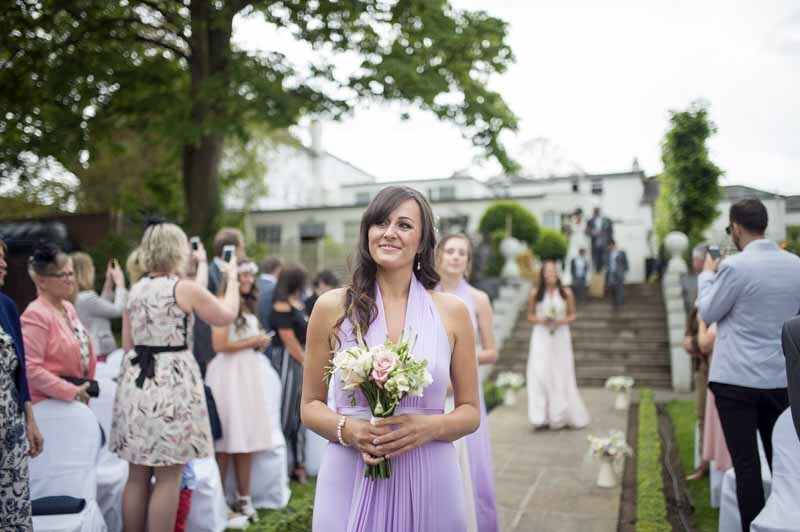 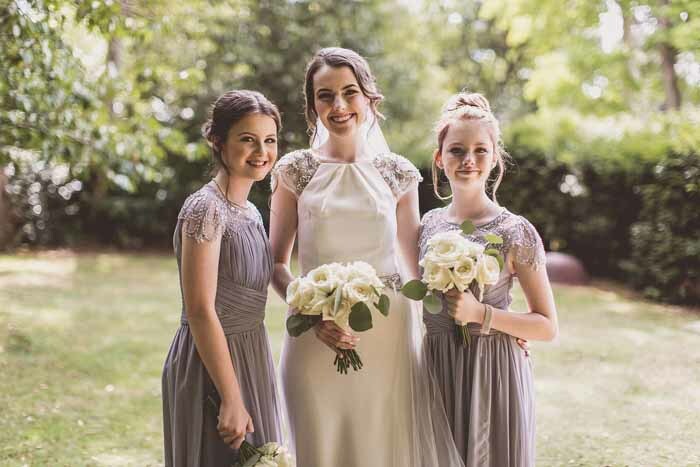 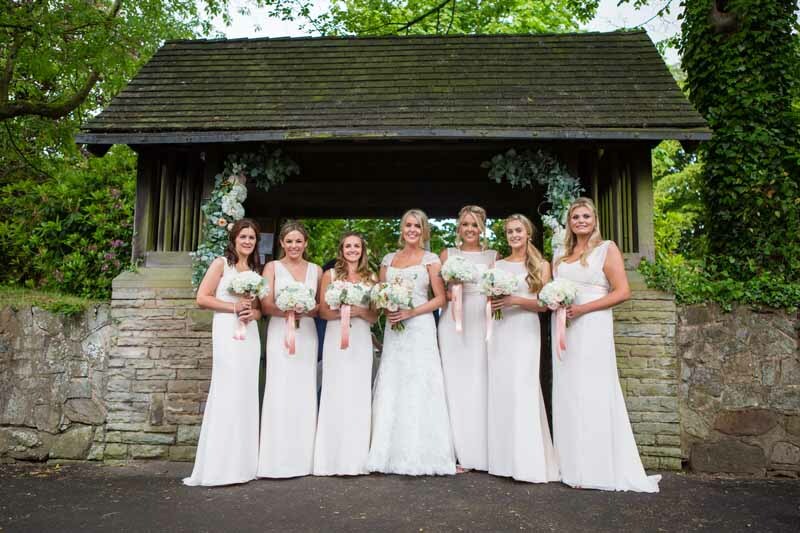 With 5 bridesmaids in soft pink dresses the look continued with the softest of rose bouquets hand tied with lace to complement Lotty’s dress. 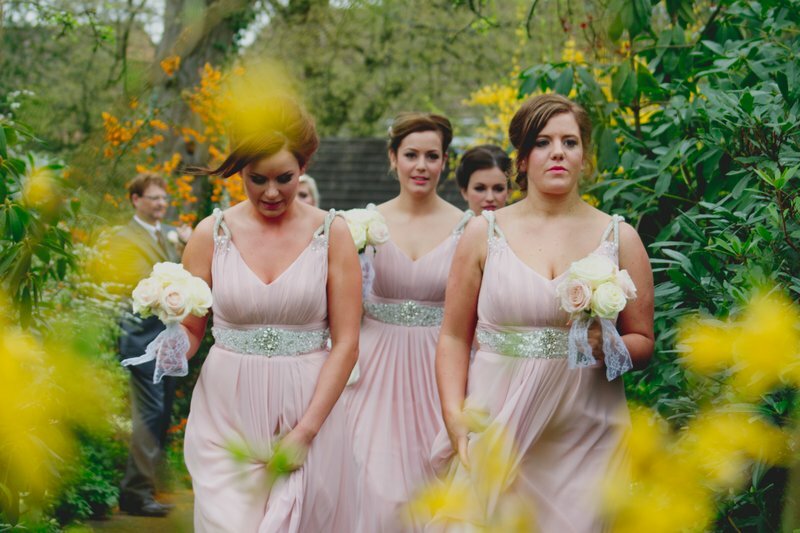 I love their jewel encrusted belts bringing a touch more glamour and sparkle to the day. 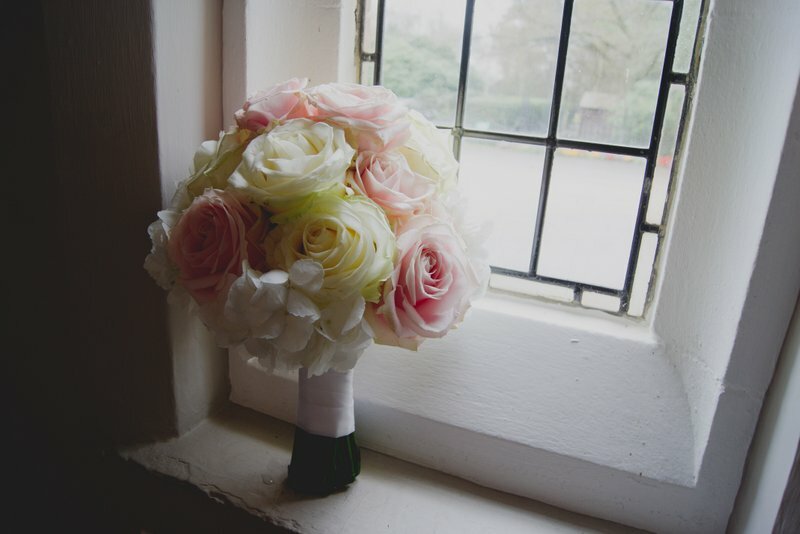 Dan and the boys had pastel pink rose button holes whilst we used the same tones for larger sweet avalanche roses for the ladies. 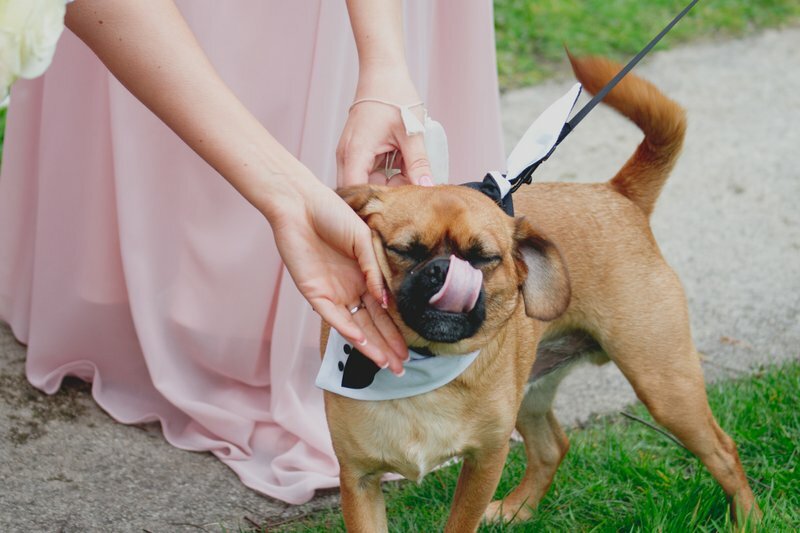 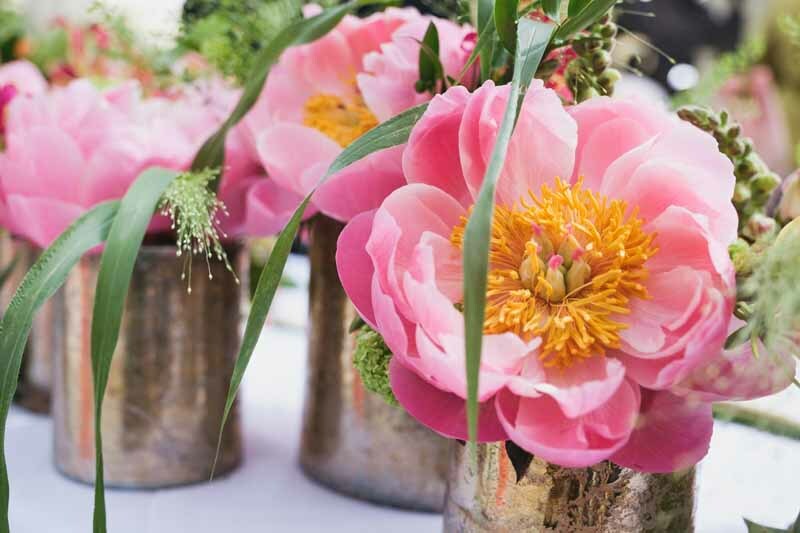 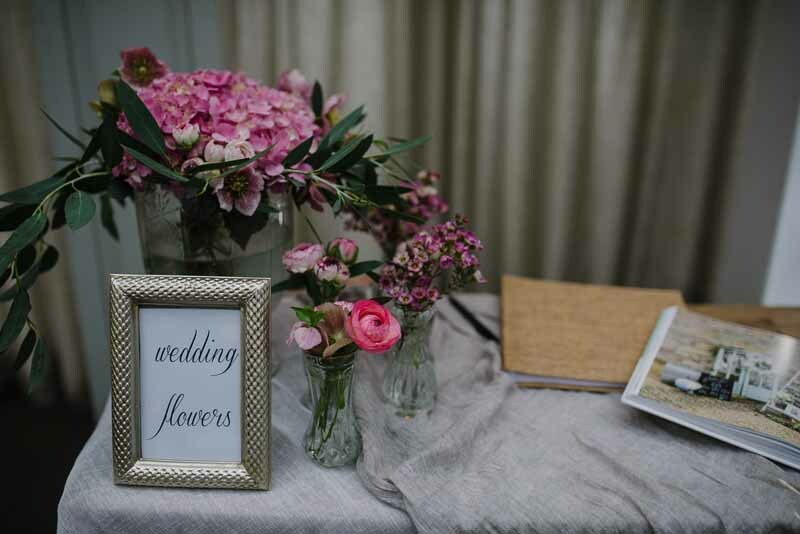 Everything was soft, pink and romantic for this wedding day. 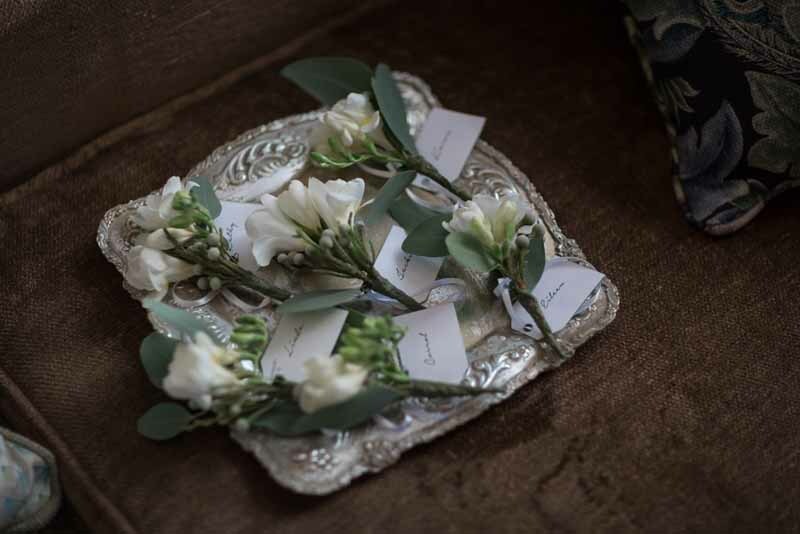 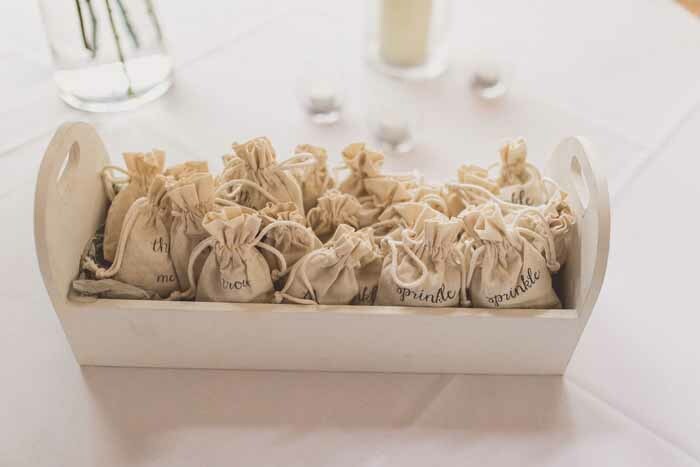 With so many button holes it is important to make sure they have name tags to help with the distribution on the wedding day. 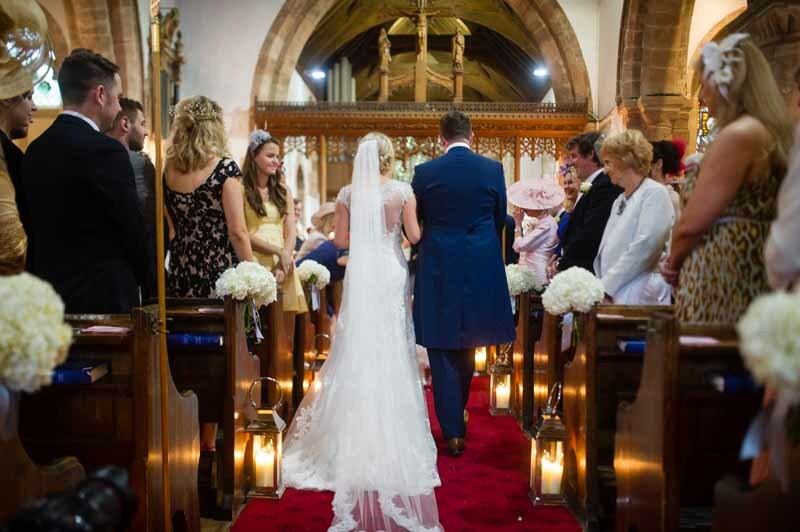 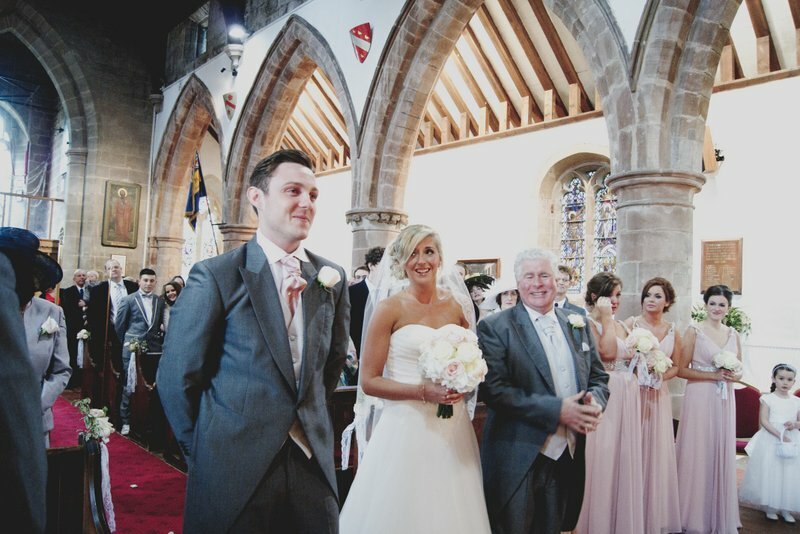 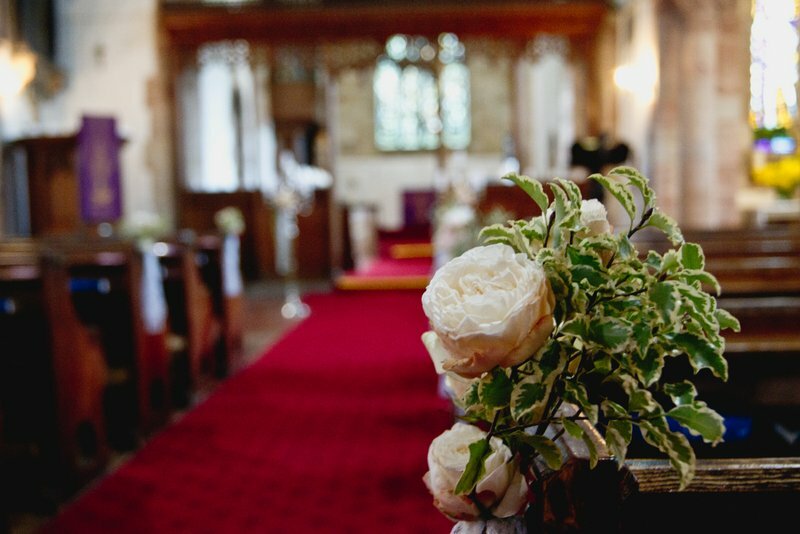 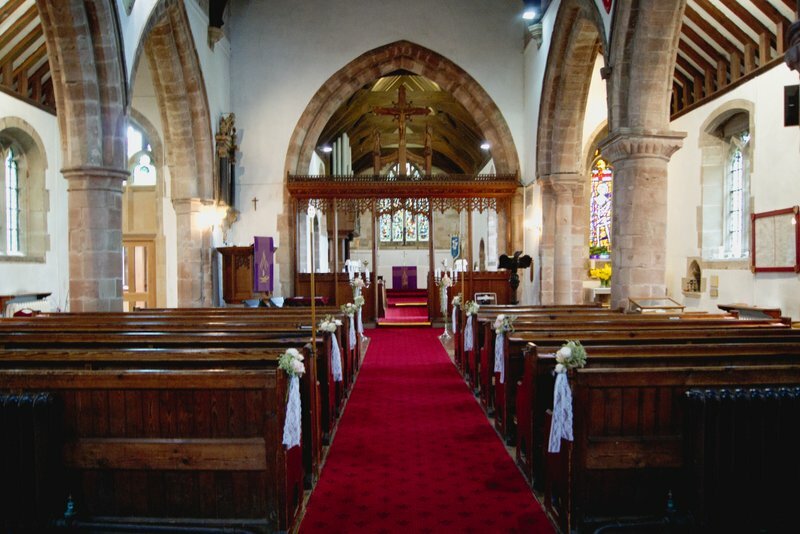 The wooden pews had simple pew ends blush and soft pink roses hand tied with a sprig of pittosporum and lace. 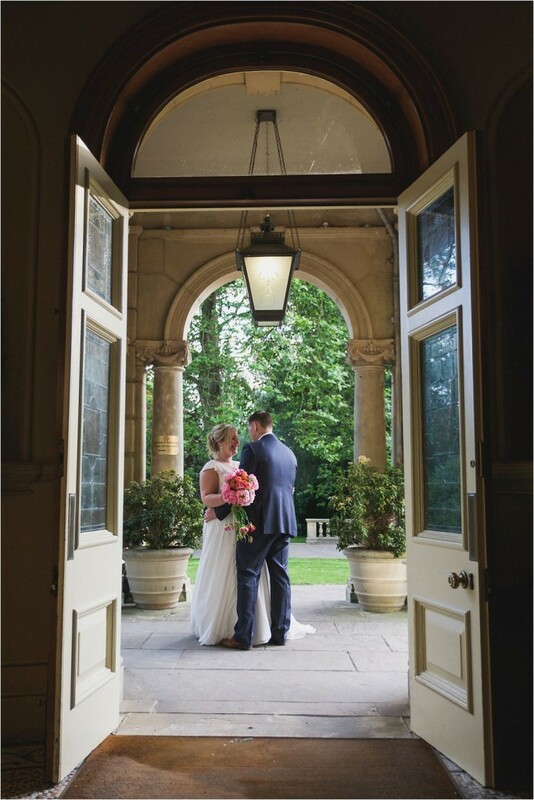 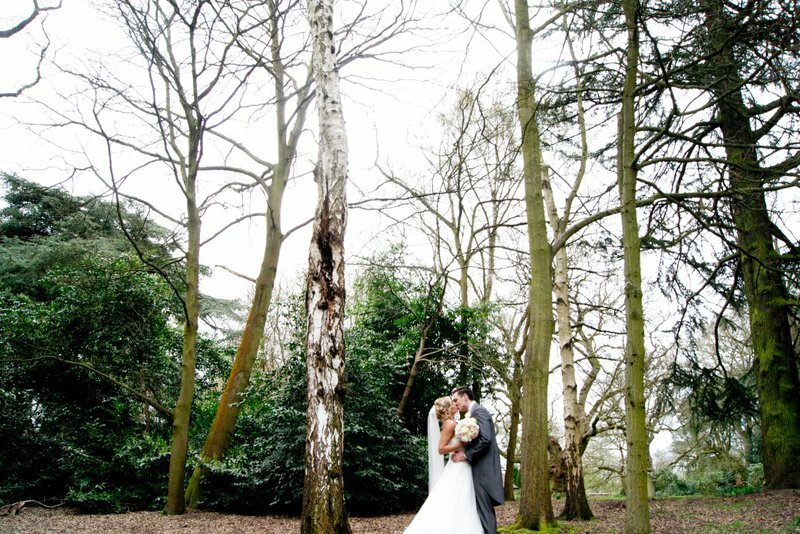 After the service everyone walked back through to the Manor gardens and had a great chance for some photos. 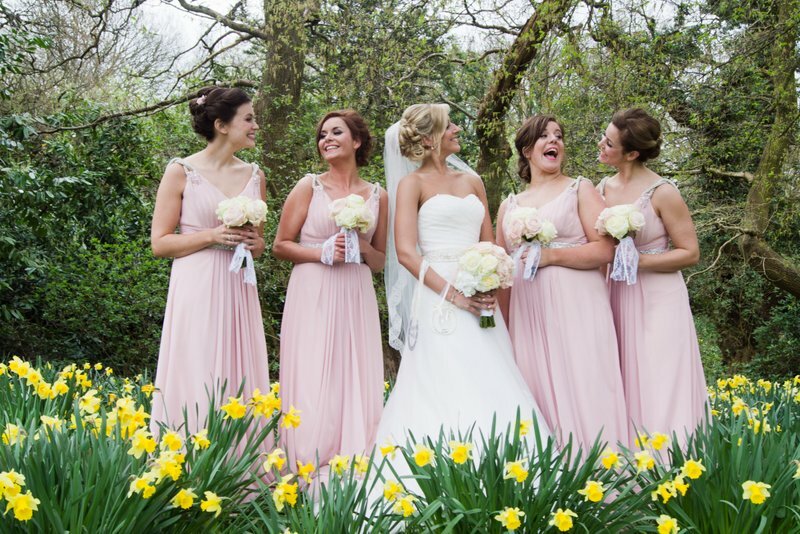 I just love the one with the bridal party Rebecca shot. 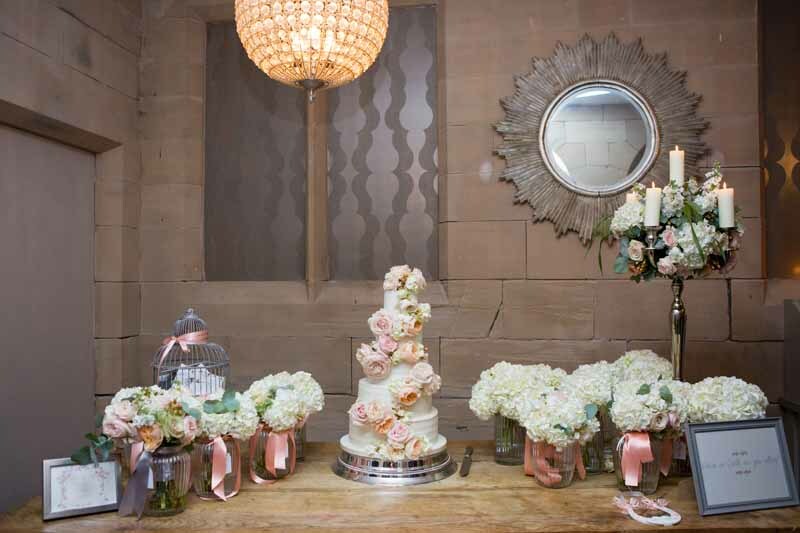 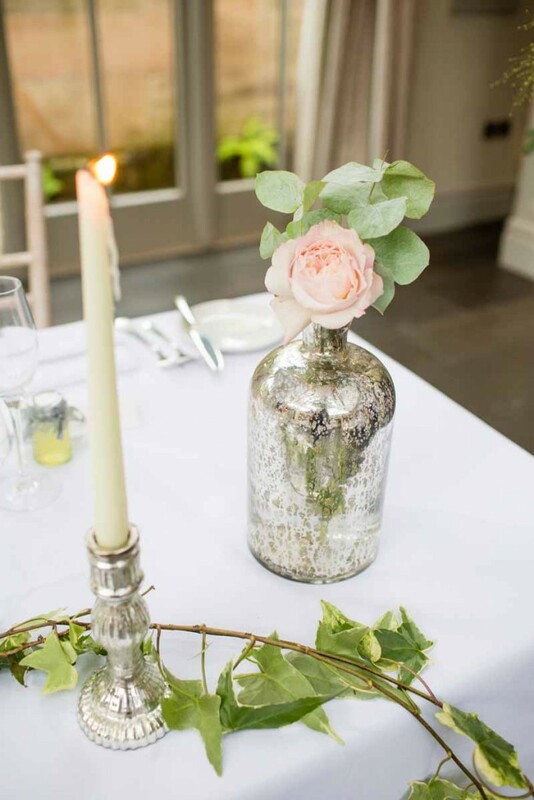 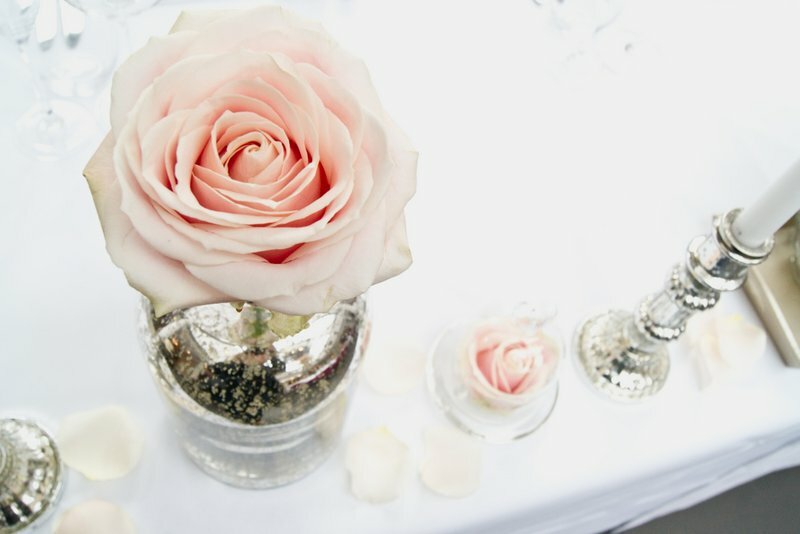 The richness of the mercury silver with the pastel pink roses looked majestic at Hampton Manor. 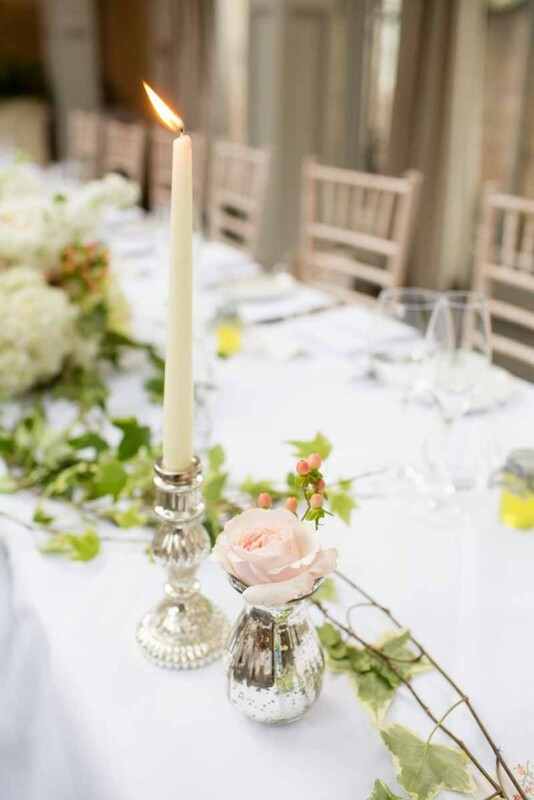 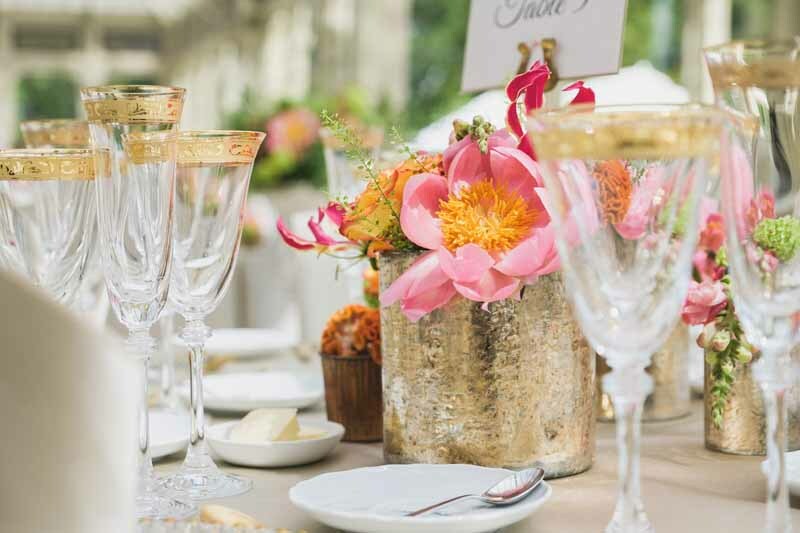 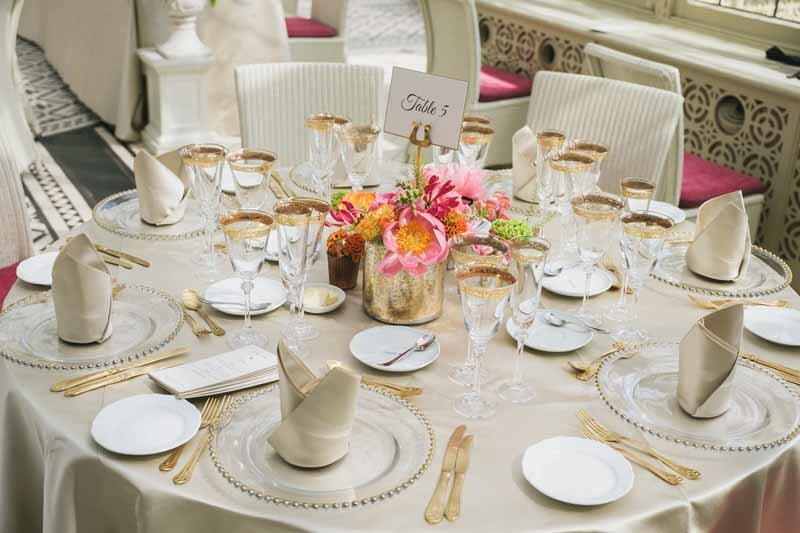 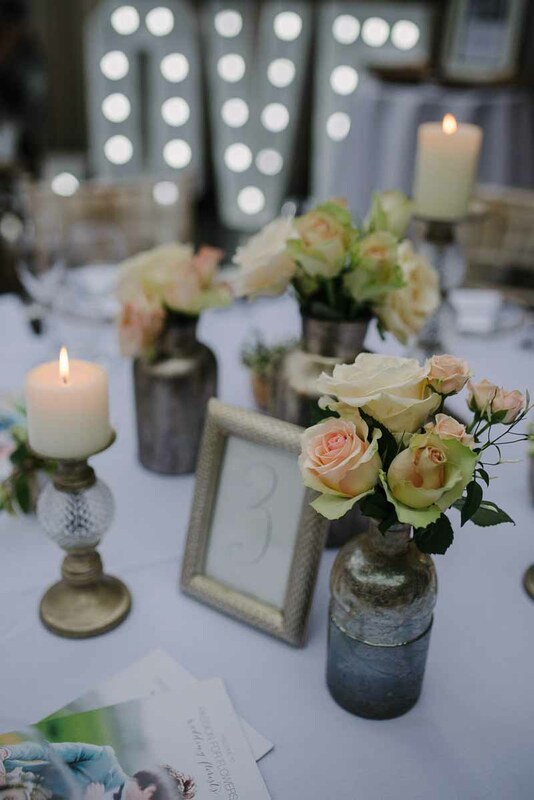 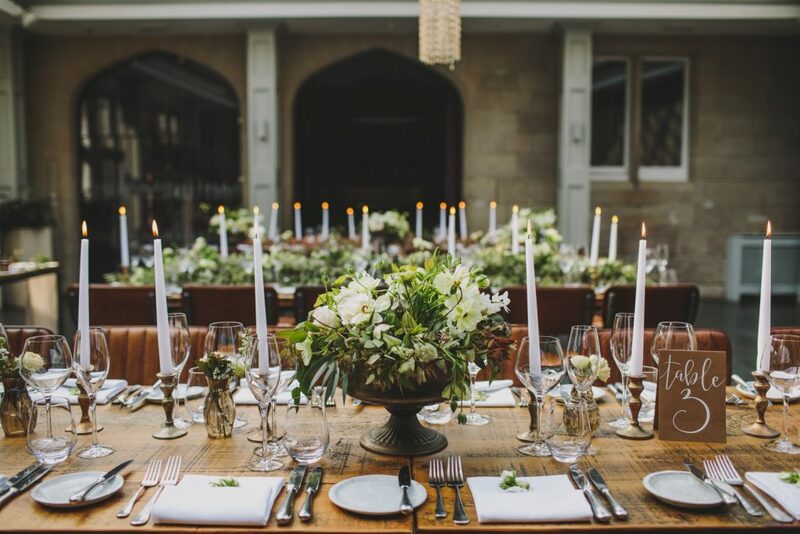 The long top table had the most romantic collection of mercury silver items, candlesticks in a variety of heights with white candles, large hurricane vases and a mix of different shaped and sized mercury silver bottles with filled with soft pastel pink roses. 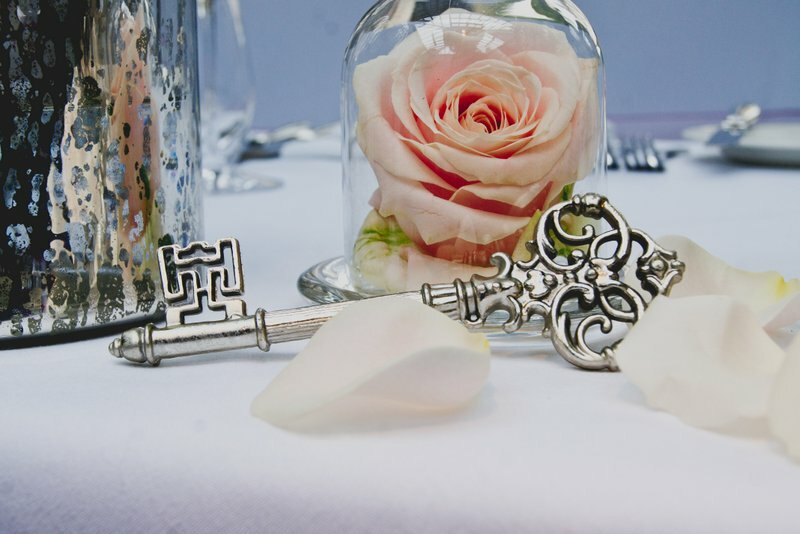 The guest tables had a touch of whimsy with the key to the castle, lots of candlelight and roses in gorgeous bottles in the glass domes. 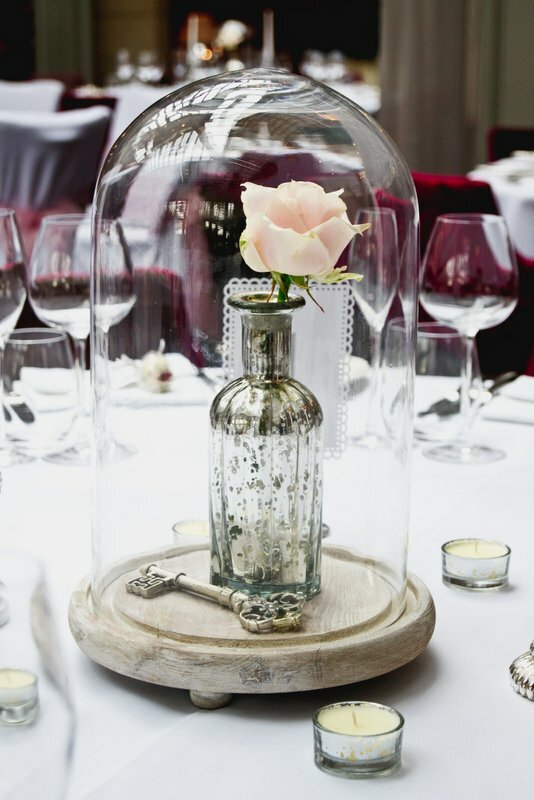 Mini glass domes were added to the top table to link the look. 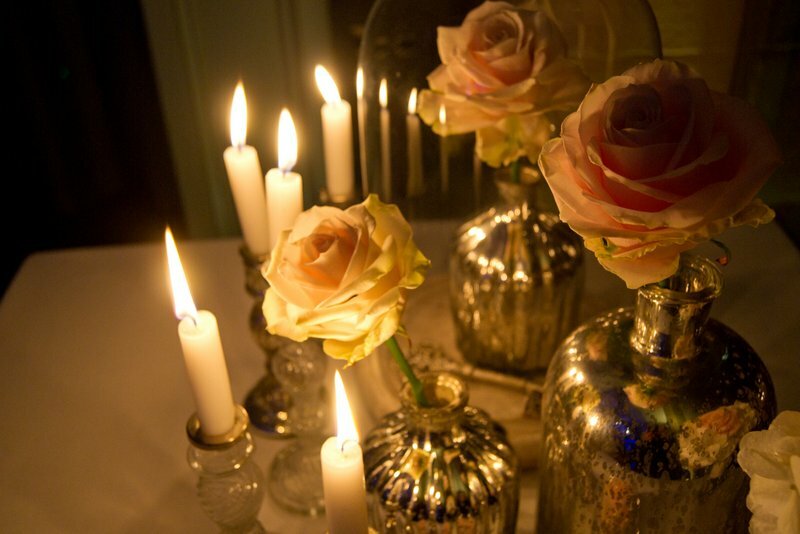 As the candles were lit the romance blossomed. 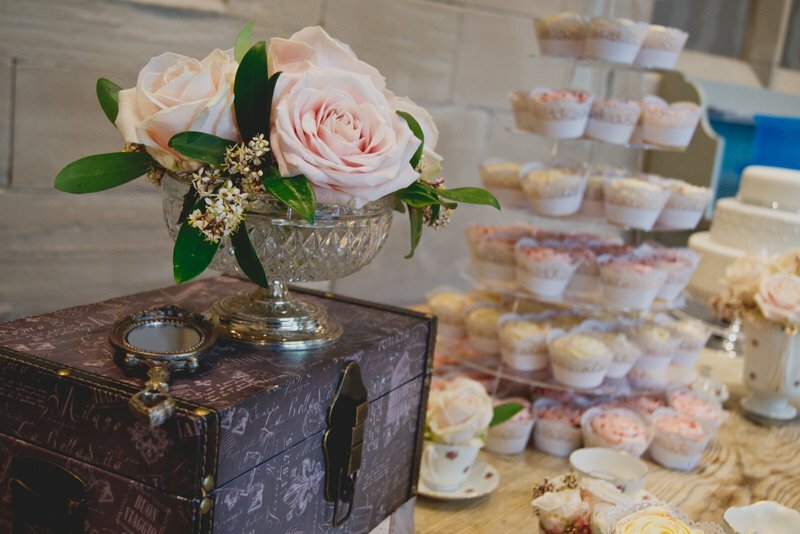 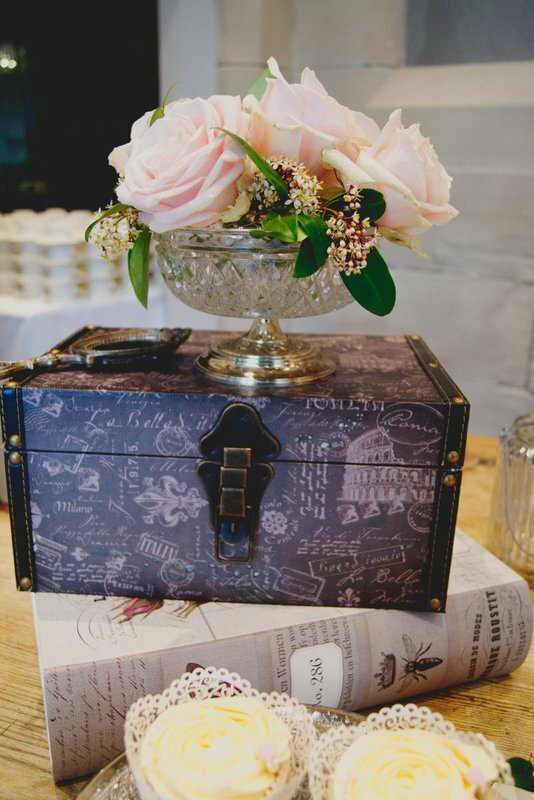 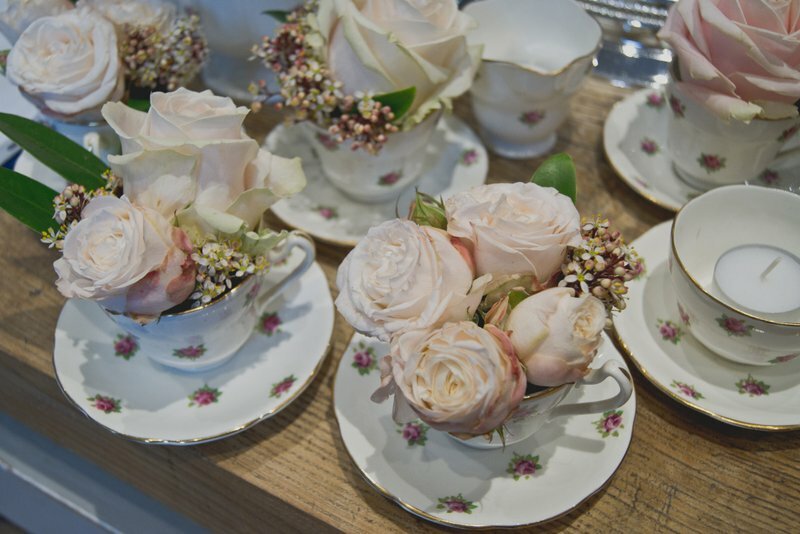 Lotty wanted to incorporate some of her grandma’s rosebud china to the room and it looked soft and romantic on the large wooden display table with the cakes, vintage roses in glass rose bowls and a collection of beautiful boxes. 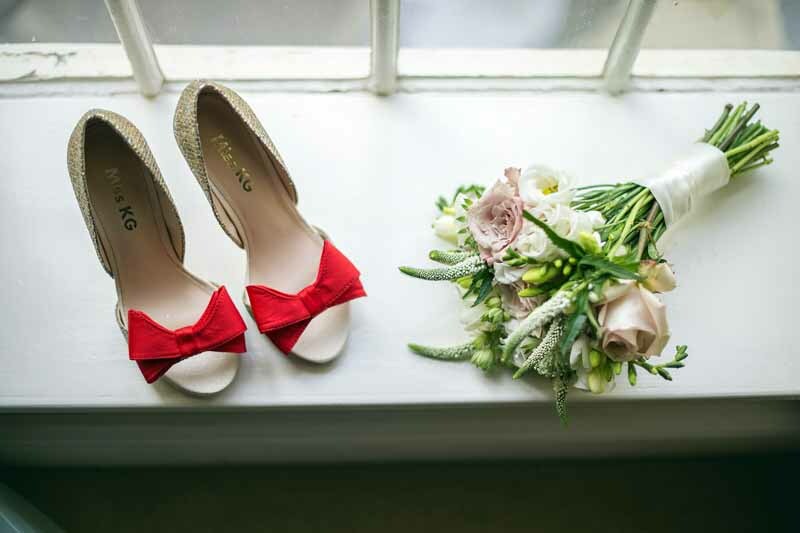 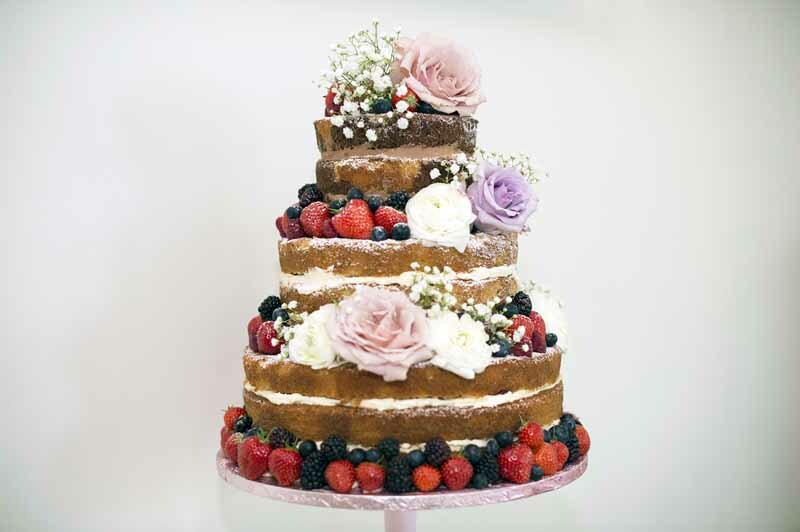 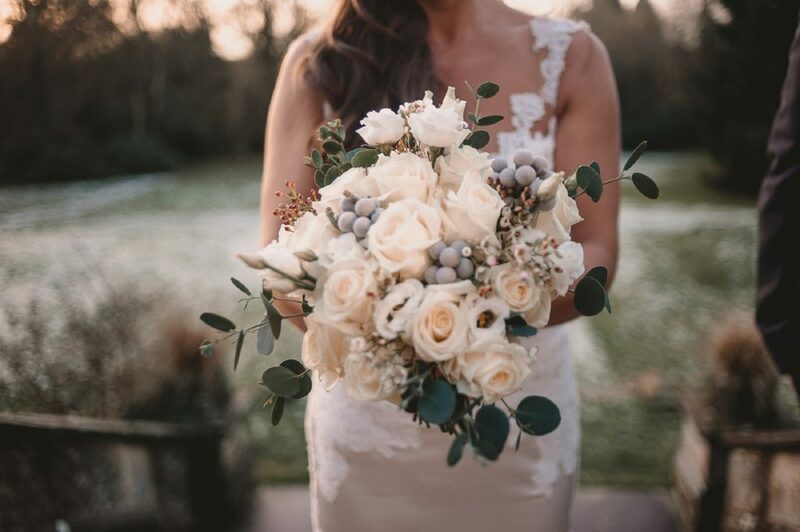 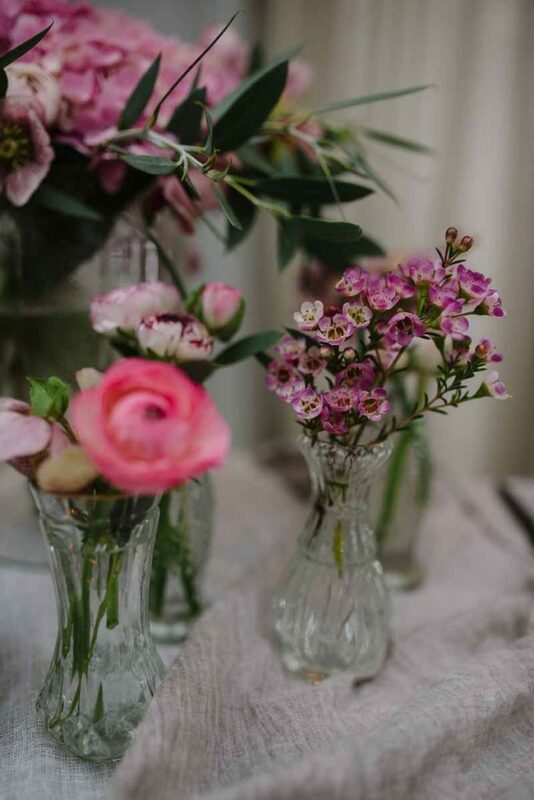 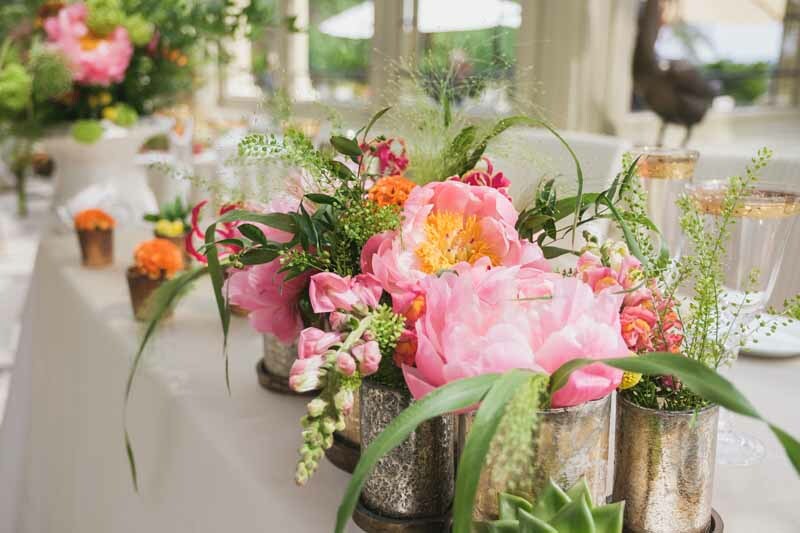 If you are looking for a wedding florist and stylist for your Hampton Manor wedding please get in touch if you like our style and think we could be the florist for you.